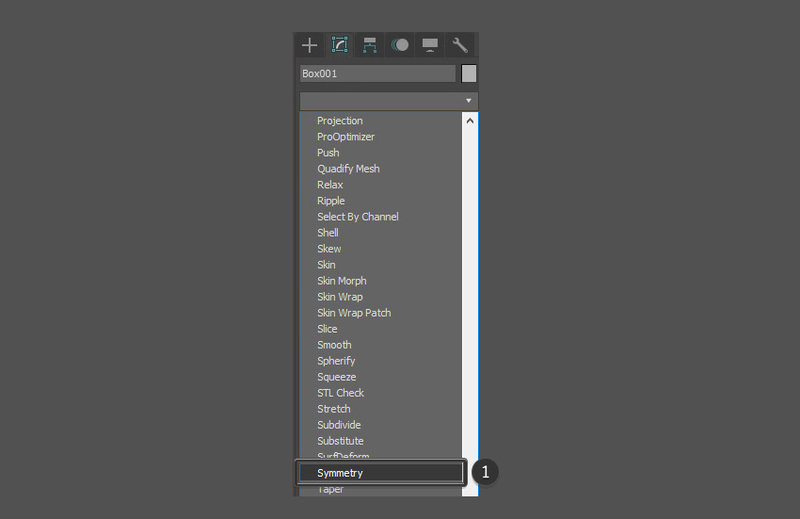 Located near the bottom of the screen there should be a material selection window. 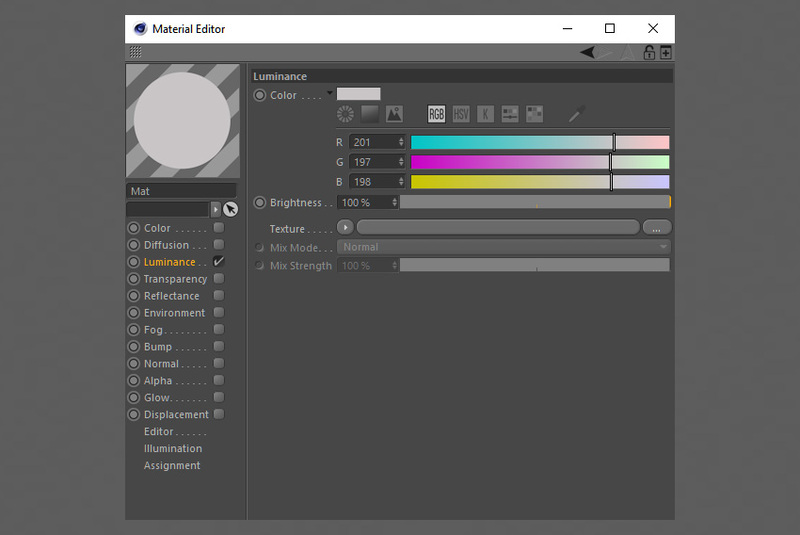 Click on Create > New Material to create a new material to use that you can edit. 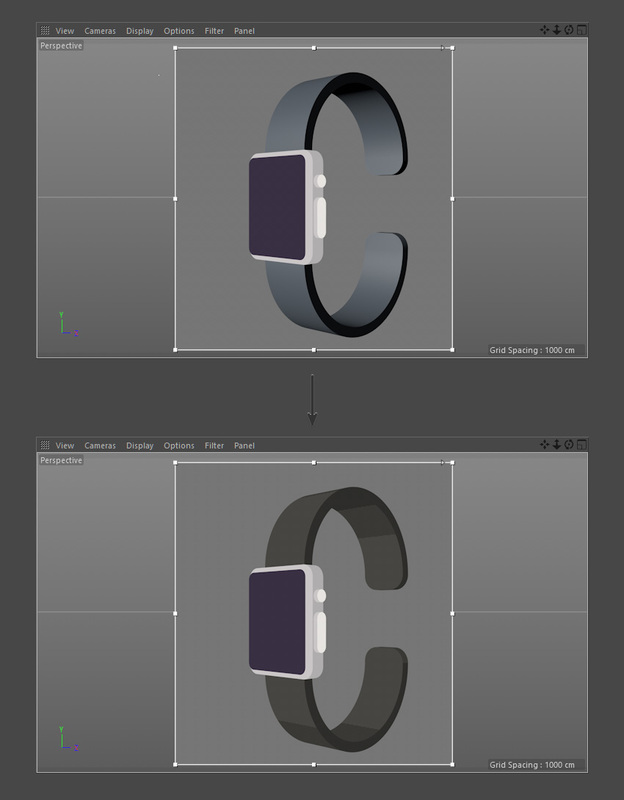 Materials are used to colour in the various objects and parts of the Smartwatch. 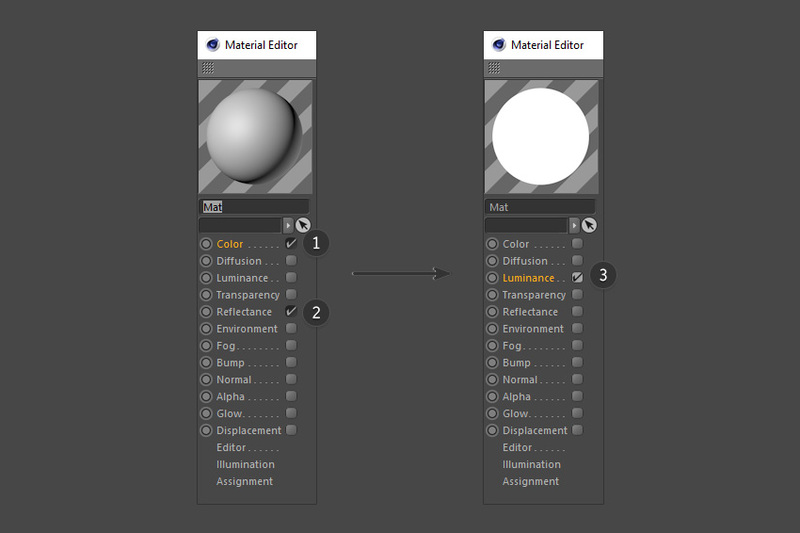 Double click on the new material icon (displayed as a sphere). 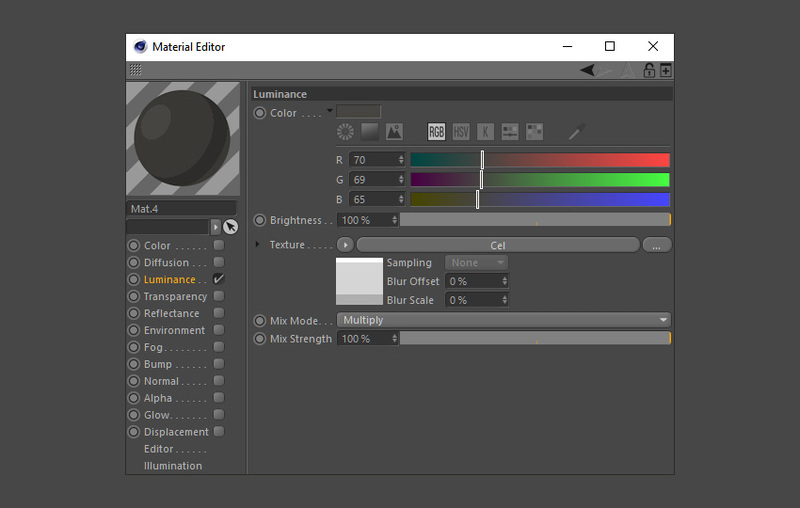 This brings up the Material Editor, where you adjust the various properties of the material such as the colour, transparency and reflectance. 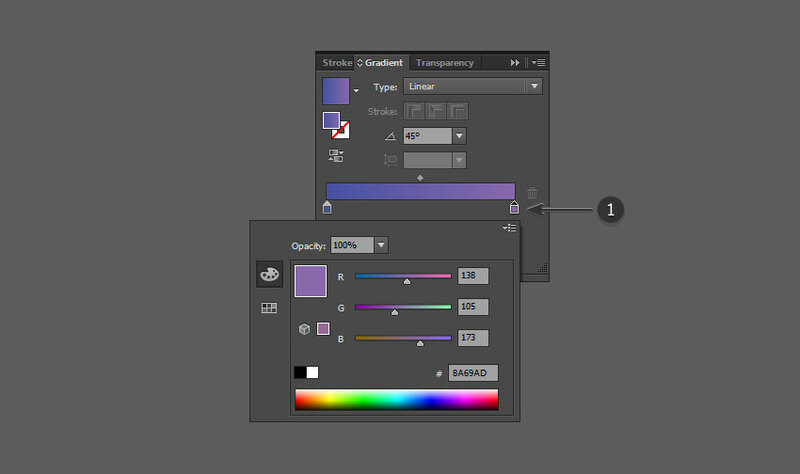 For this particular style you’ll only be interested in flat colour (Luminance). 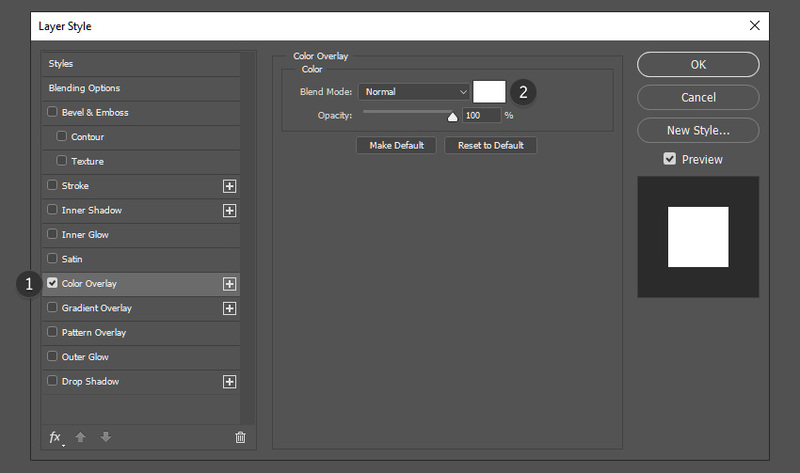 Tick the button for Luminance and untick the boxes for Colour and Reflectance. 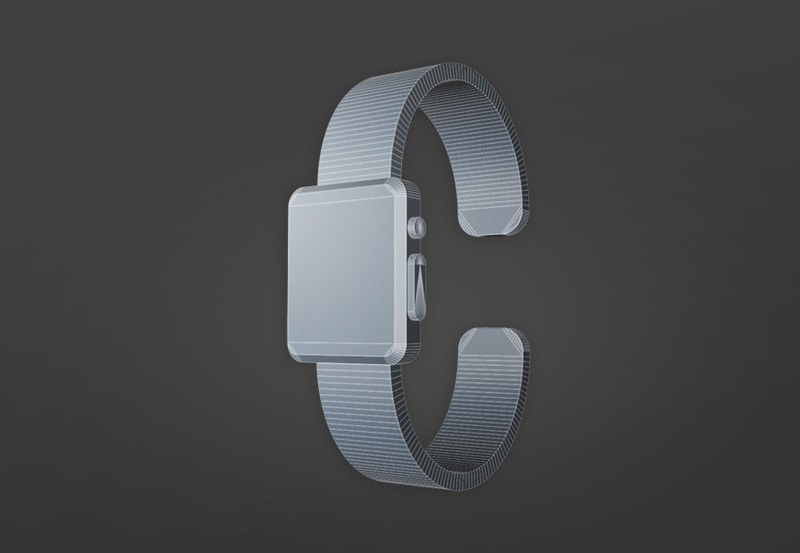 This will give us the cel shaded look for our final image of the Smartwatch. 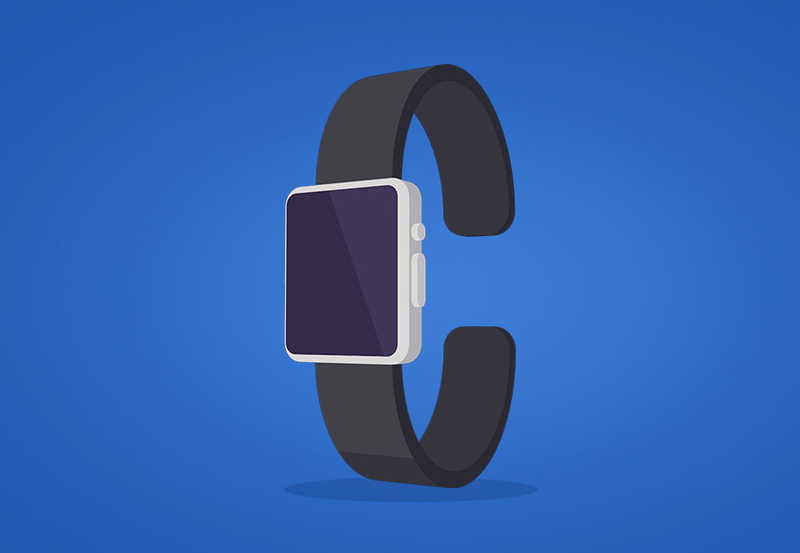 Colour the Smartwatch, starting with the body, by adding the material to the object. 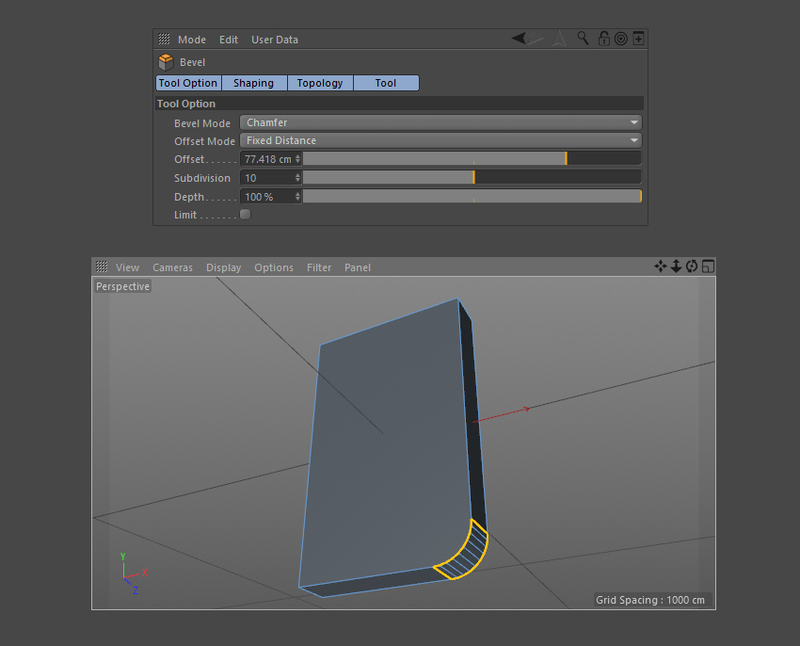 Simply drag and drop the material to the object using the mouse. 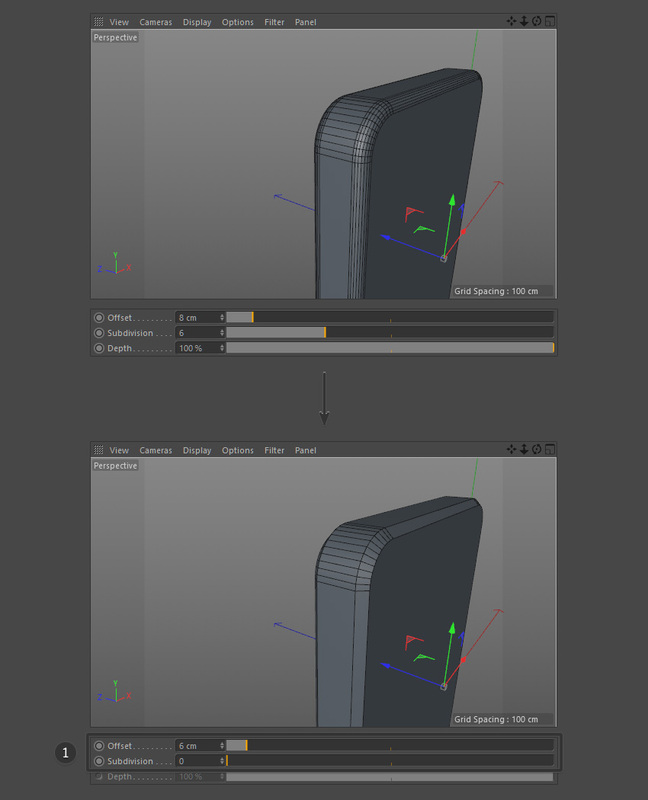 Drag and drop the material onto the object listed on the right of the screen. 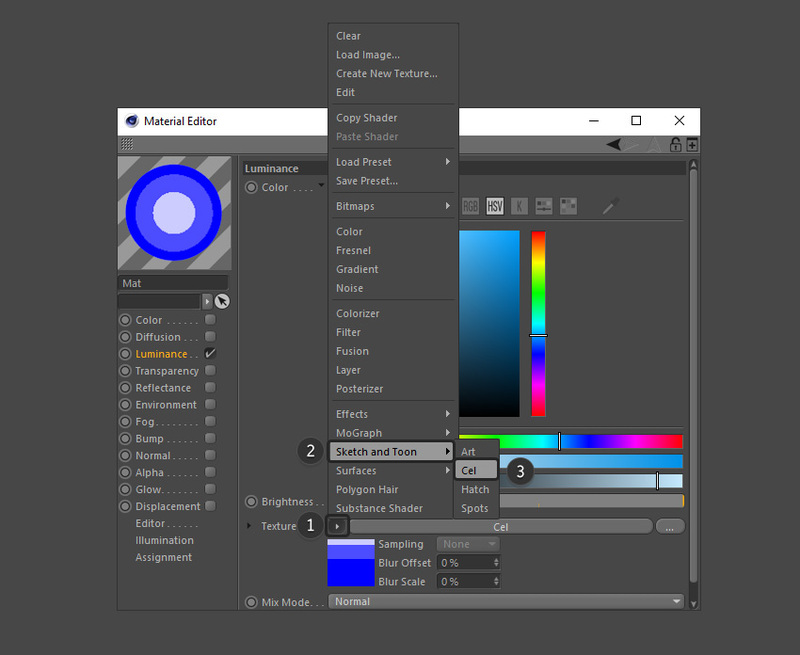 The Material Editor gives you many different options for choosing and picking the colour. These include RGB, HSV etc. 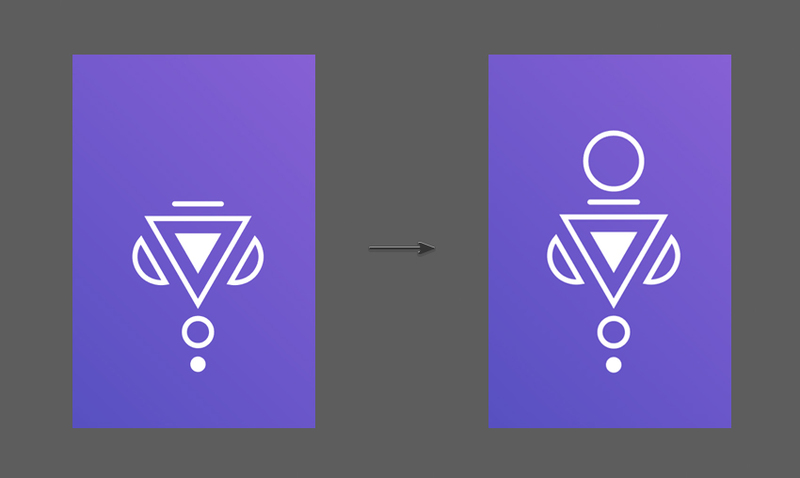 Choose whichever option you’re most familiar with as a flat colour. 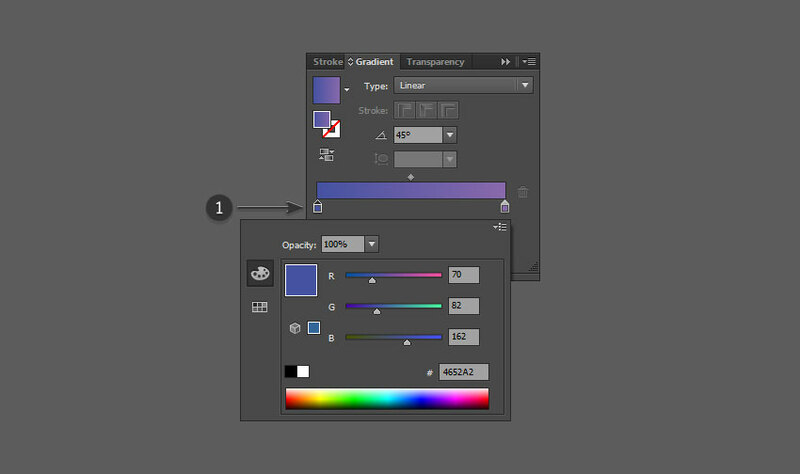 Because of the Multiply shading mode, the different colour shades also appears in the material. 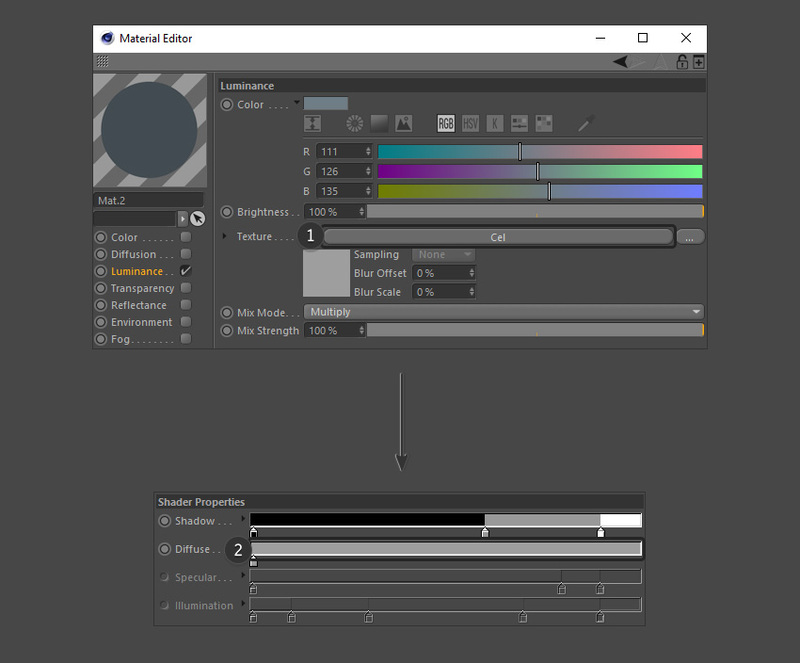 If the material has already been applied to the model, the colour of the model is automatically adjusted to the new material colour. 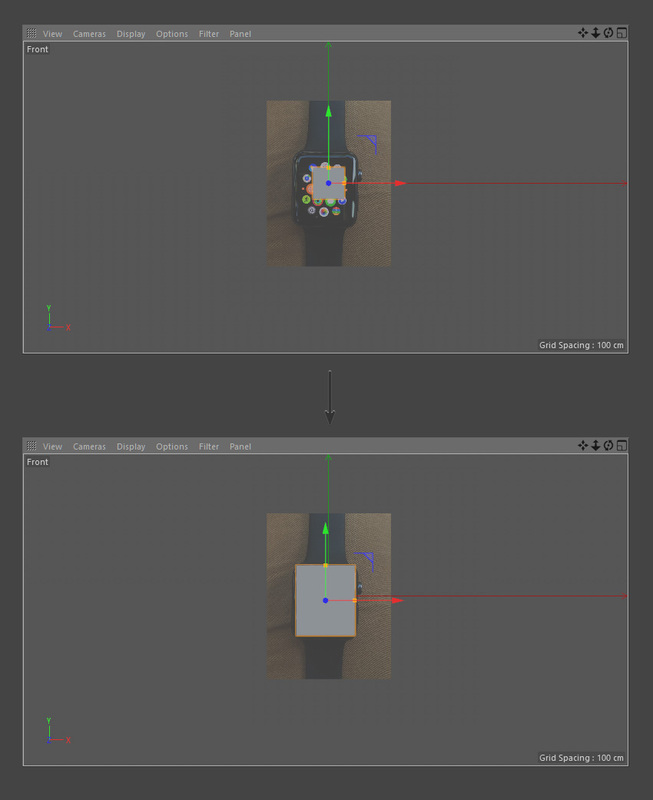 This is useful if you change your mind on a certain colour or a certain part of the Smartwatch model. 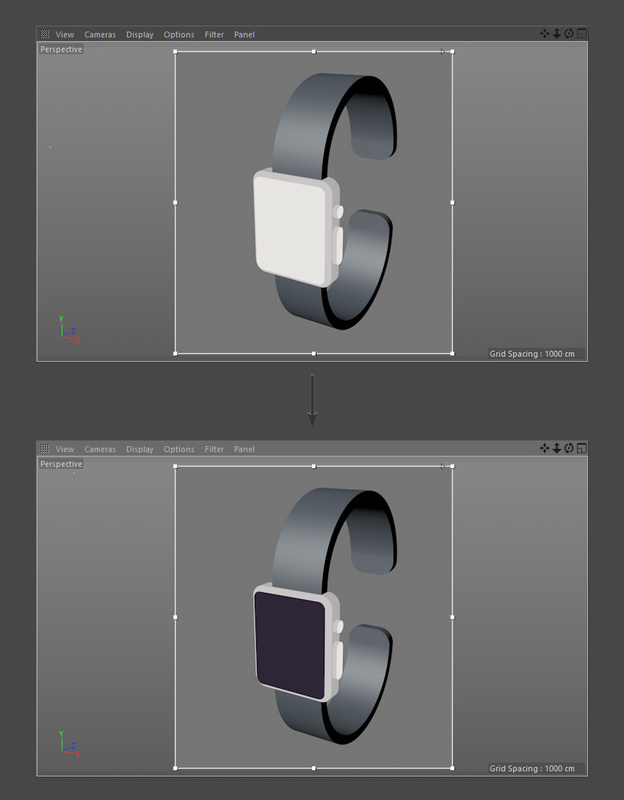 Because you’ve already applied the material to the model, the colour of the Smartwatch is automatically adjusted to the new material colour. 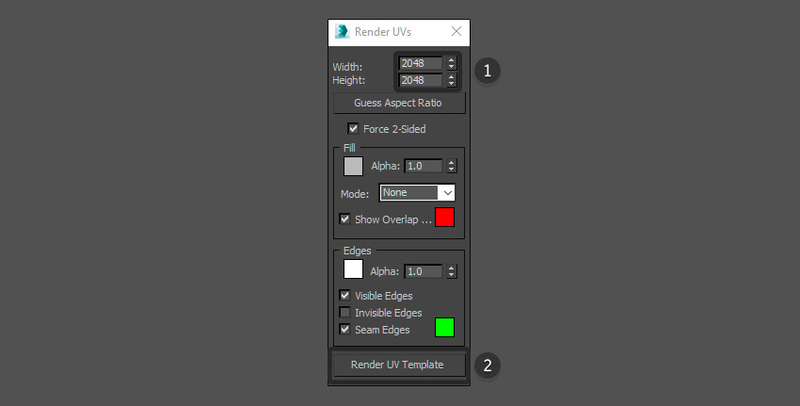 To get a better idea of the shading and how our render will turn out as you work on it, click and hold on the Render Button and select Interactive Render Region from the menu. 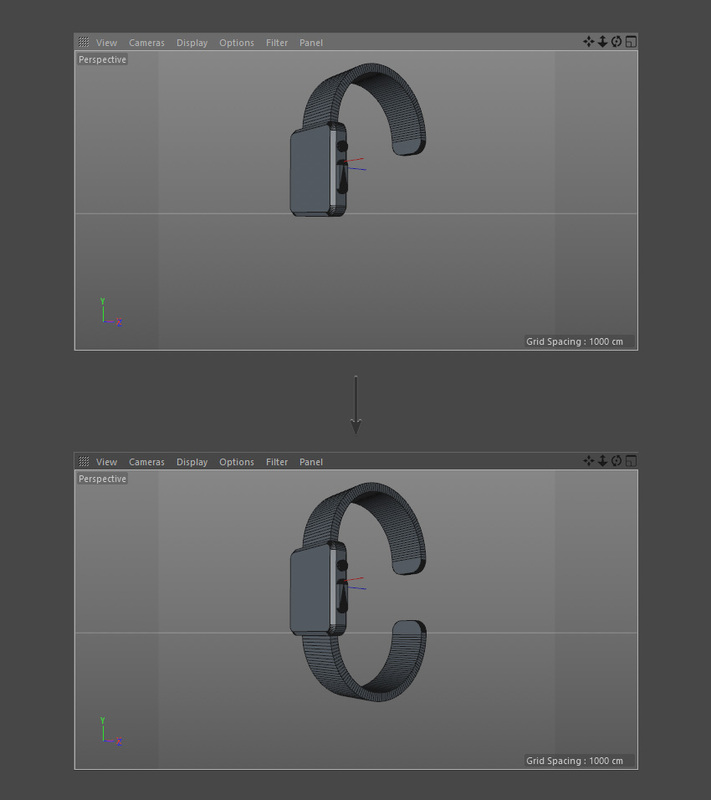 Use the mouse to adjust the window so that it fits around the Smartwatch model. 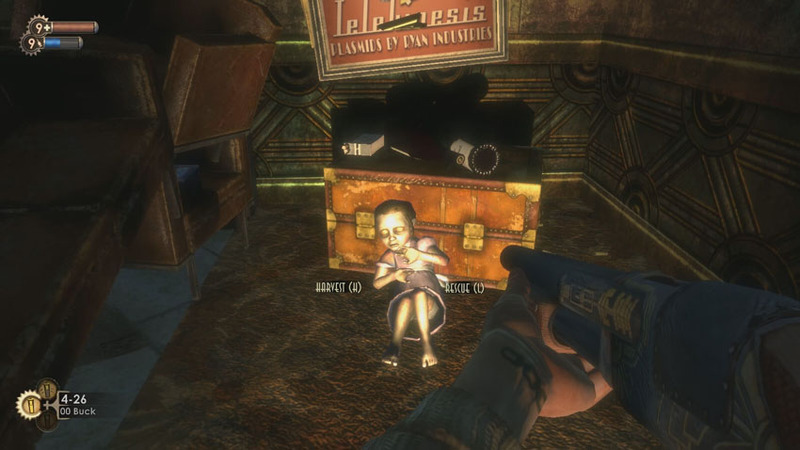 Look for the very small arrow on the right hand side of the window and use the mouse to drag it to the top right corner of the box (this increases the resolution). 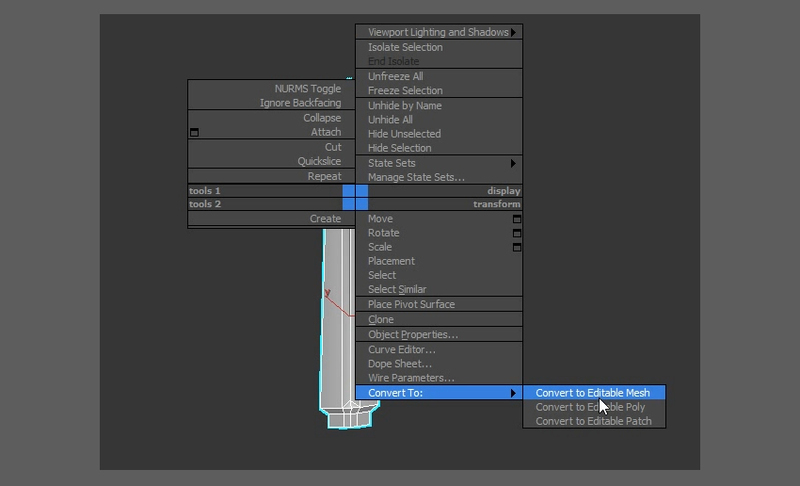 Change the light source in the Default Light window. 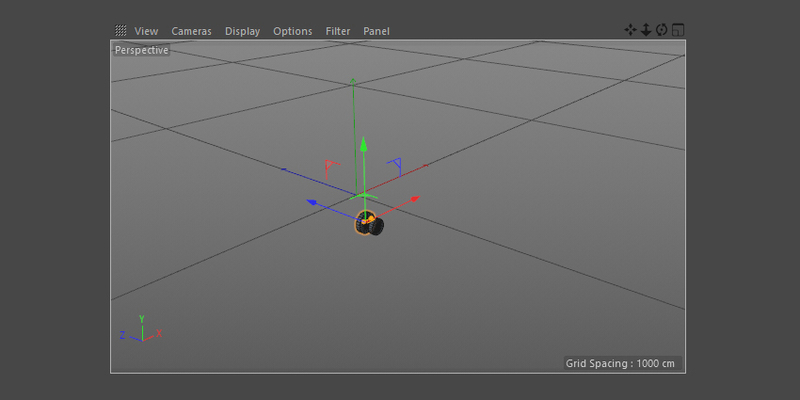 Click where you’d like the light source to come from on the sphere and it’ll sync with the view port. 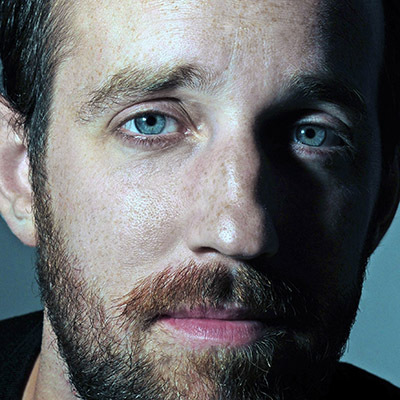 Experiment with different lighting positions to come up with a lighting situation that you like. 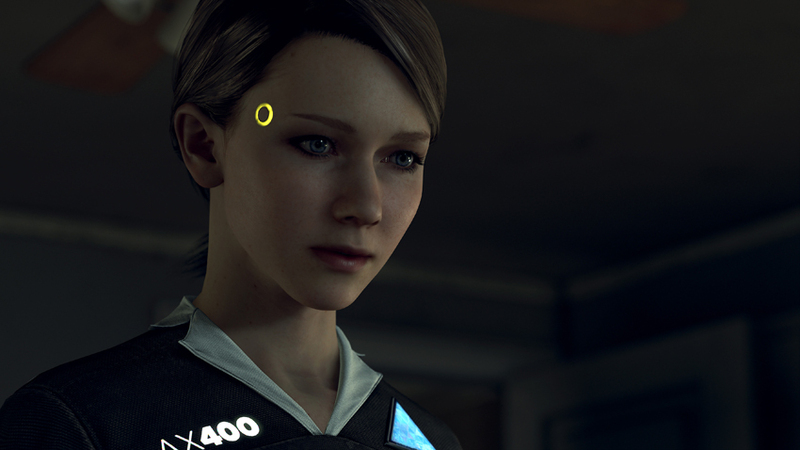 This is adjusted at anytime so you can change the lighting again if you changed your mind. 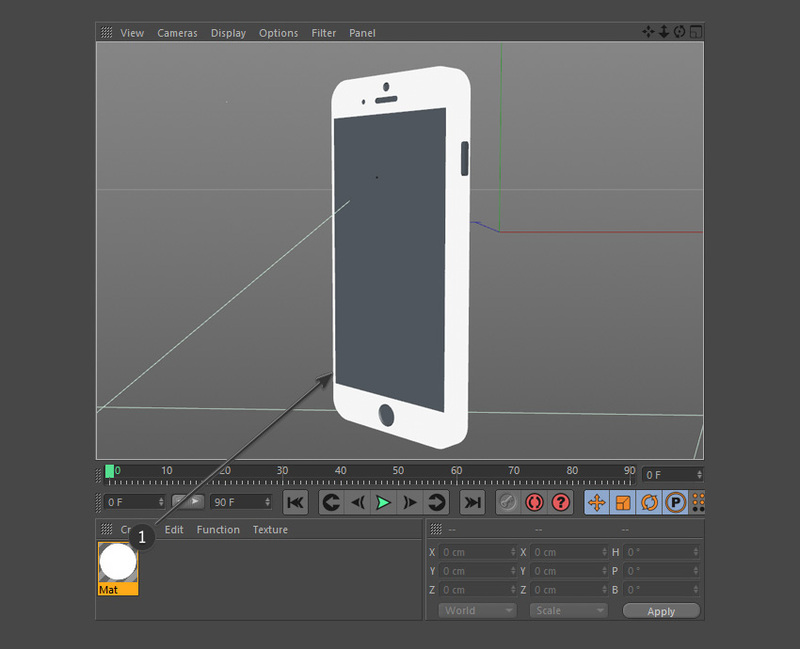 To set up the basic lighting, go to the Floor button located in the top menu bar. 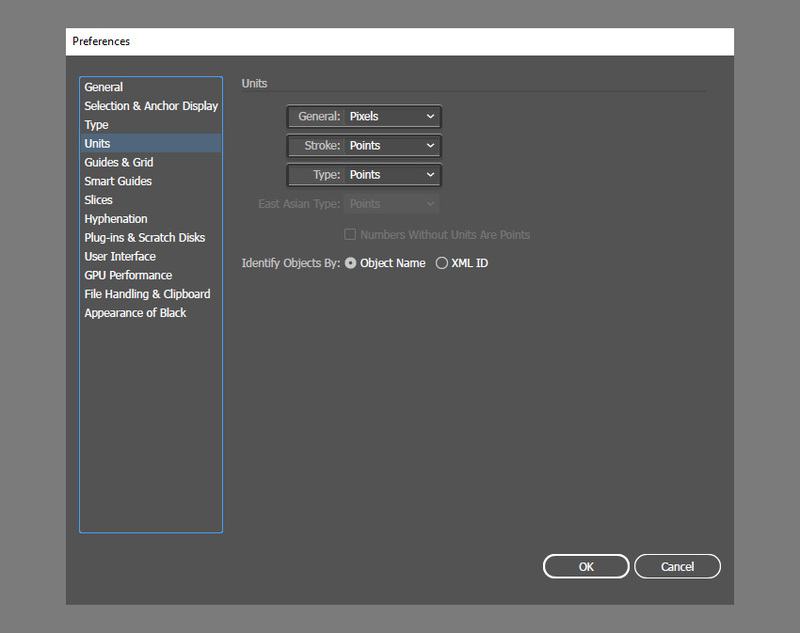 Left Click-Hold and then select Physical Sky from the menu. 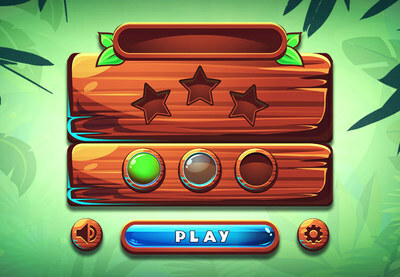 Ensure that Physical Sky is selected in the menu on the right, a new menu appears on the bottom right of the screen. 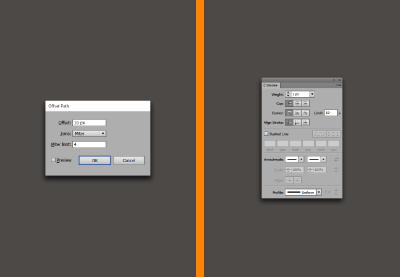 Select the Time and Location tab and choose a time using the left and right arrow keys. 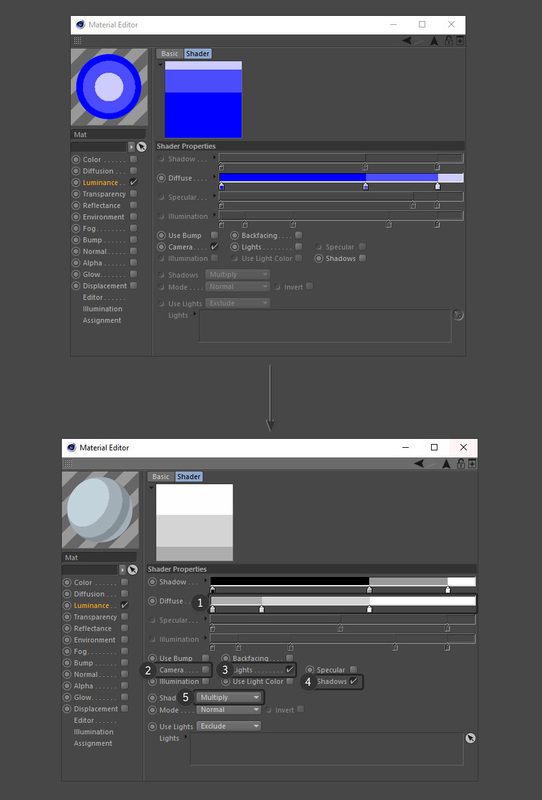 This changes the lighting of the scene (according to the time of the day). Choose a suitable time to light up the scene. 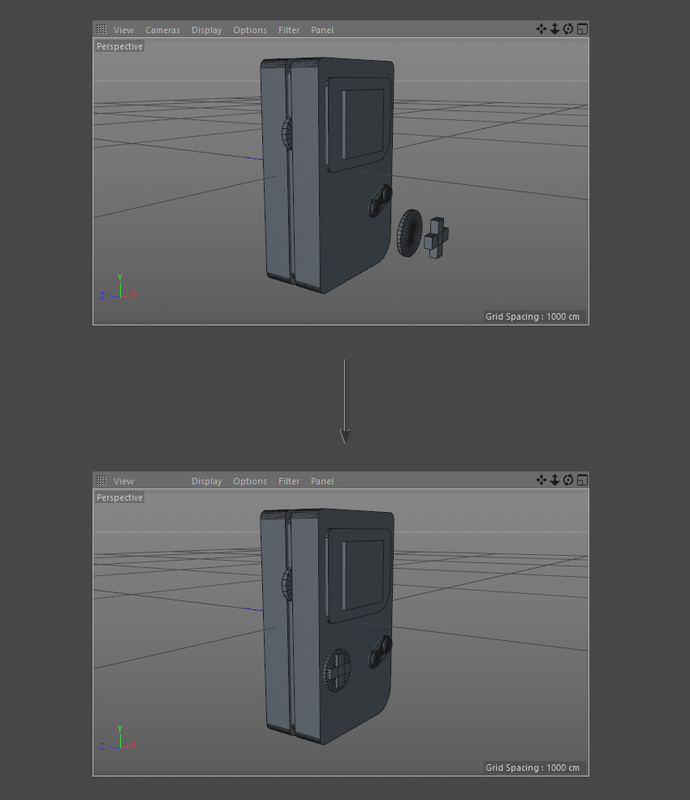 You’ll see how the lighting affects the scene in the viewport. 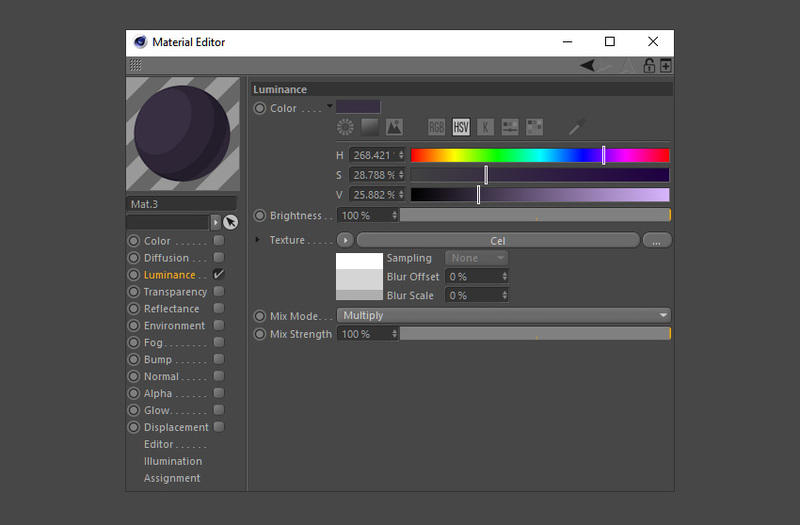 Create a new material. 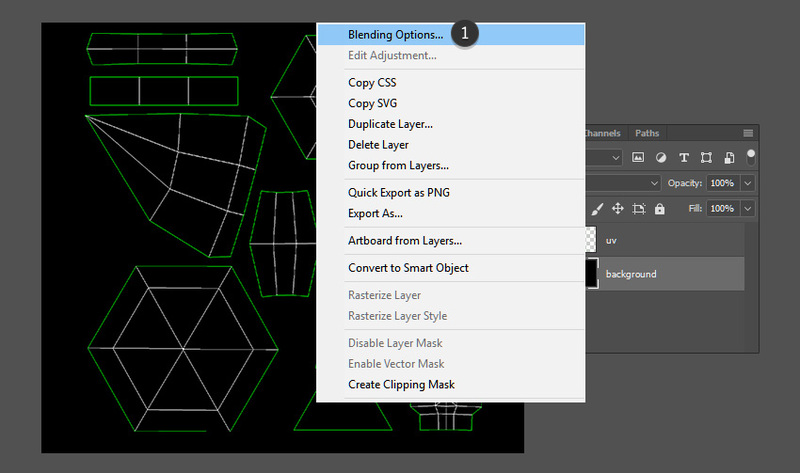 Duplicate a previous material in order to keep the settings from before. 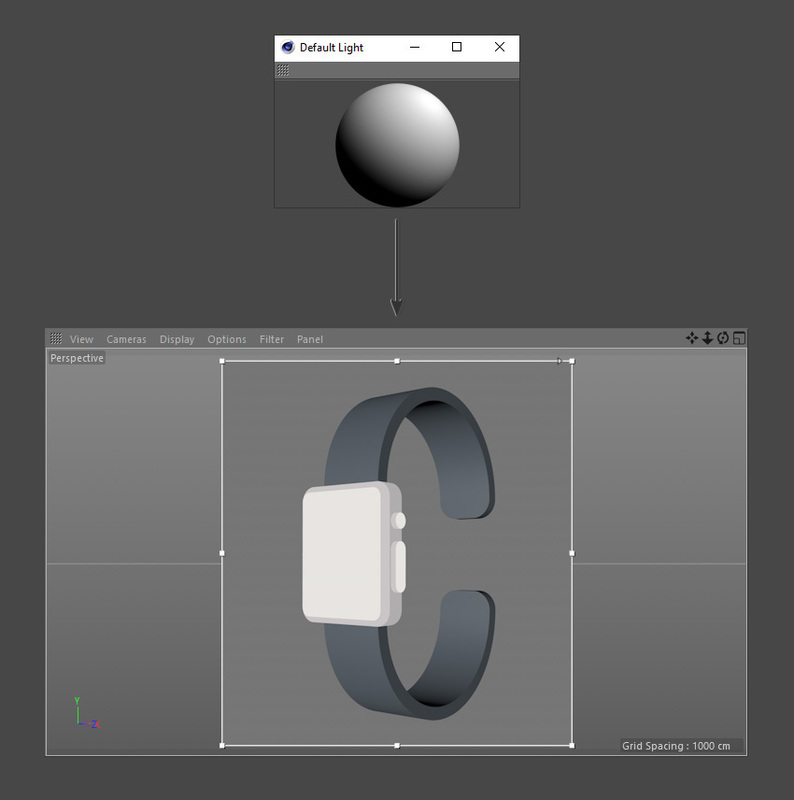 Apply the new material to both of the wrist straps by either clicking on the material and dragging it to the objects via the viewport or via the object list window. 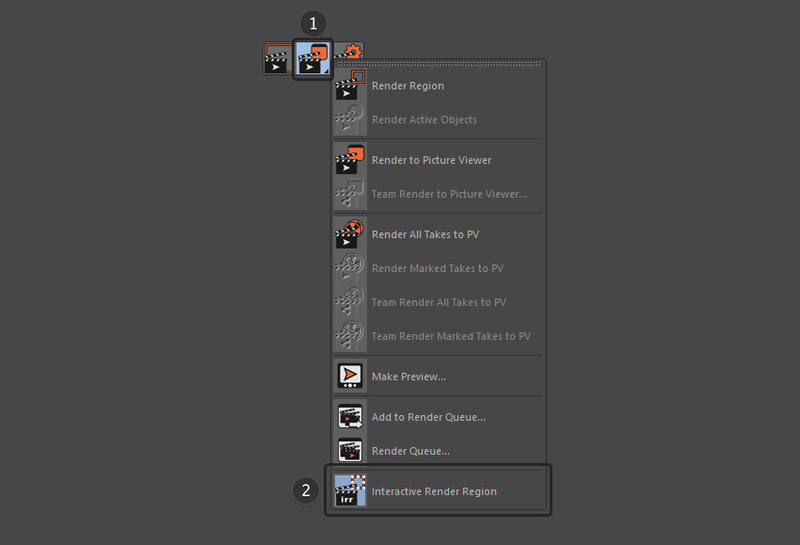 In the Render Settings menu, change the options to what you need. 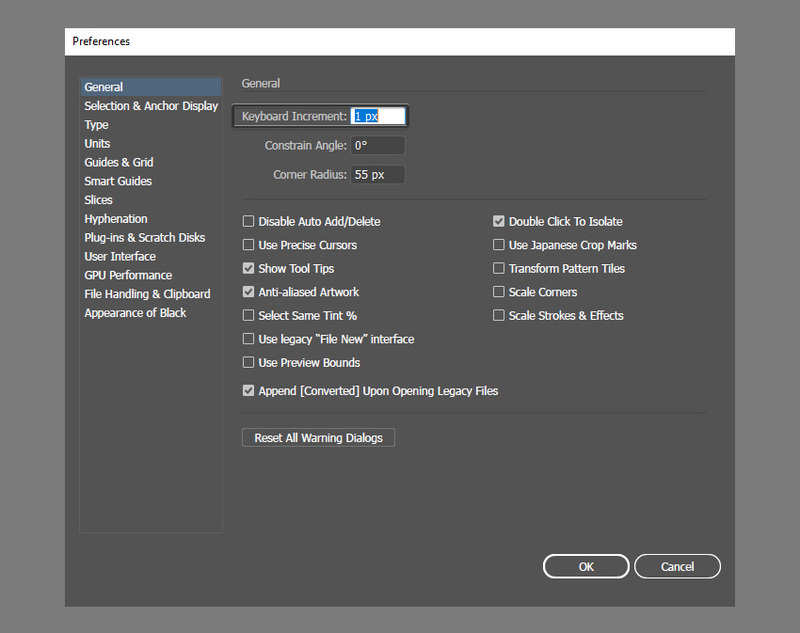 First you will need to tick the Save Settings to select a file location, file format and alpha channel. 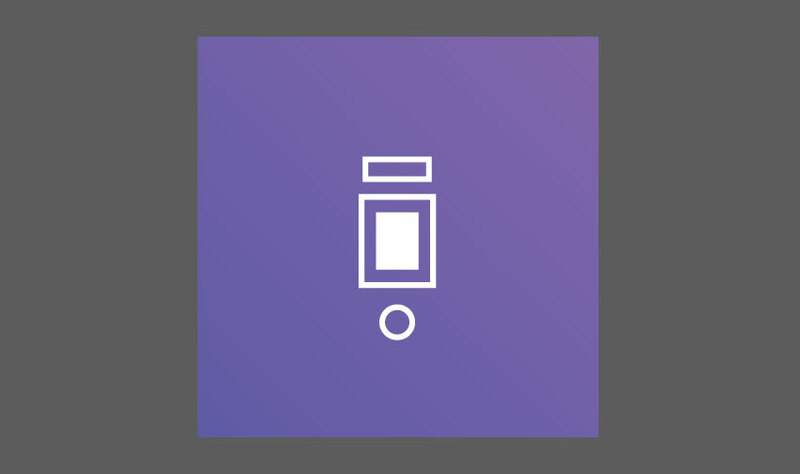 Select Alpha Channel if you wish to keep the background see through. 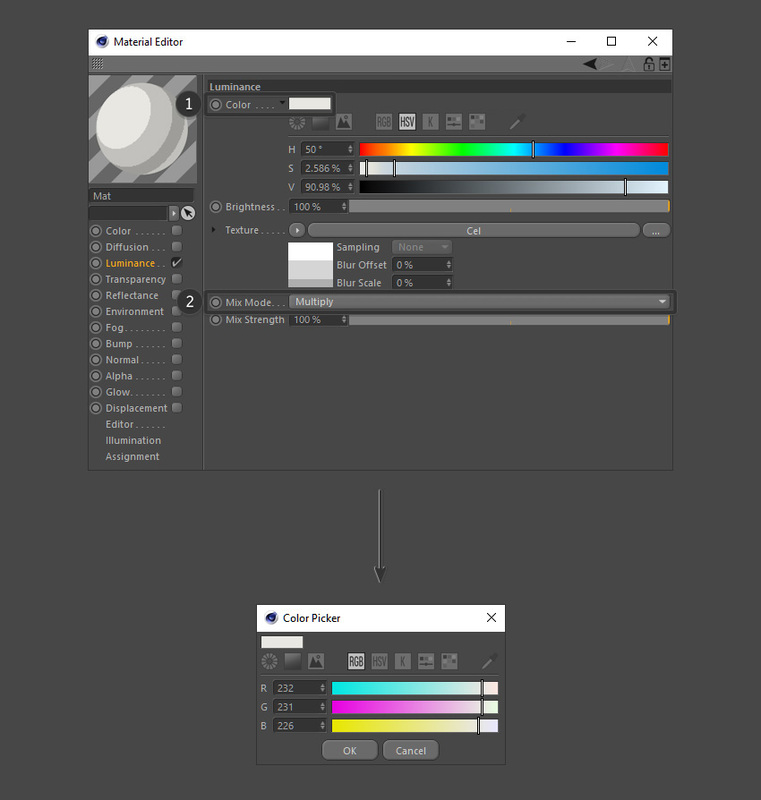 This is useful if you wish to add a background to the image in Adobe Photoshop. 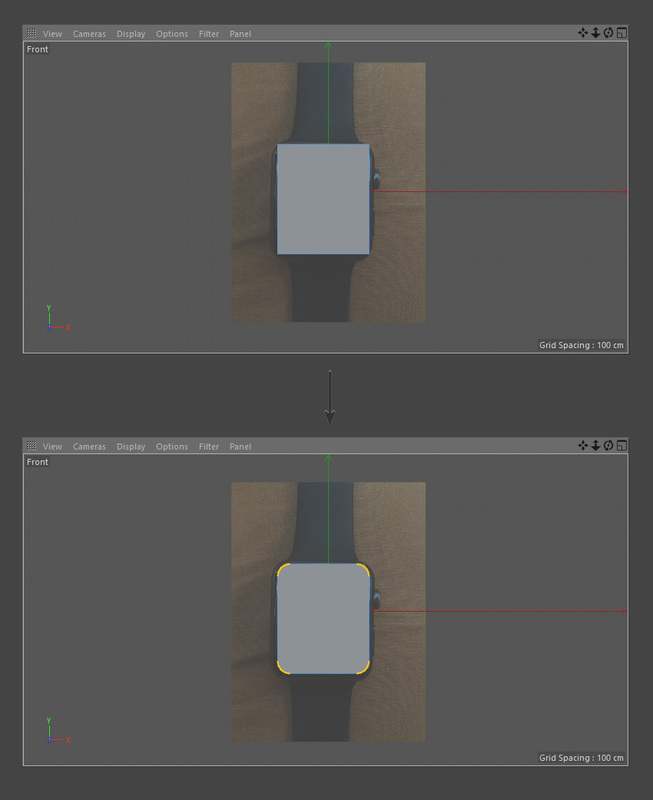 To ensure that the Smartwatch render is nice and sharp, go to the Anti-Aliasing settings. 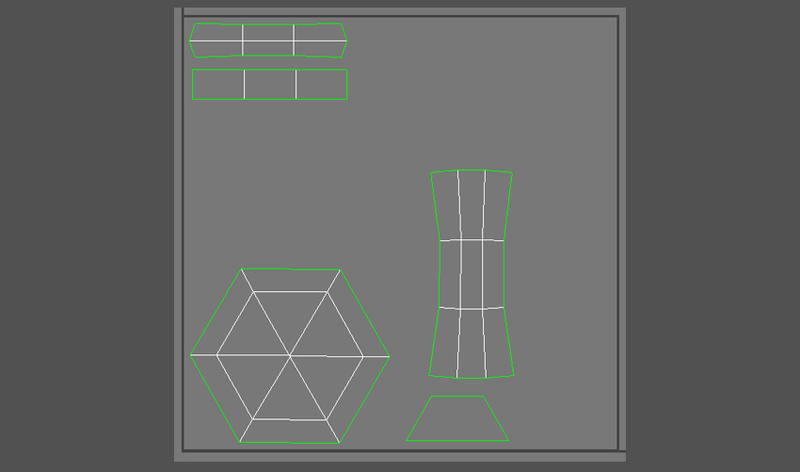 Select Cubic (Still Image) which can be found under Filter. 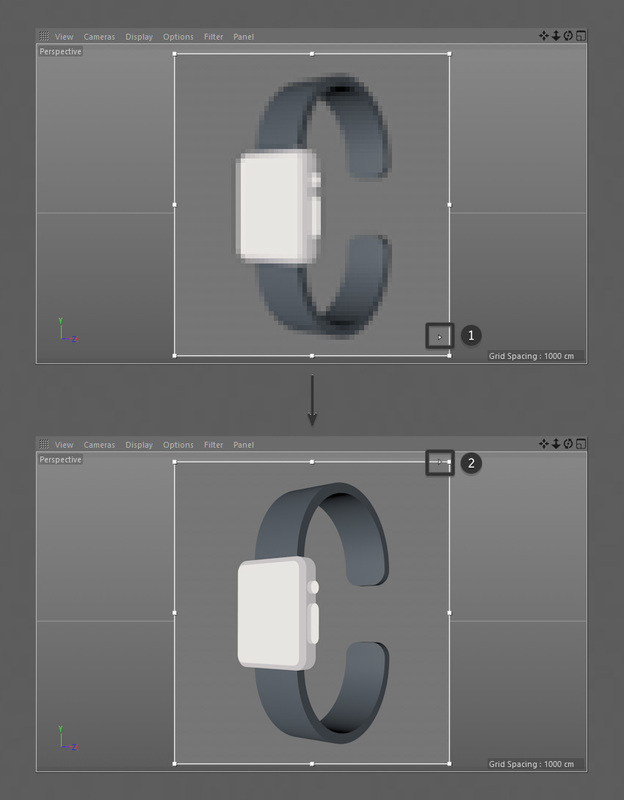 To create the final image of the Smartwatch, click on the Render button. 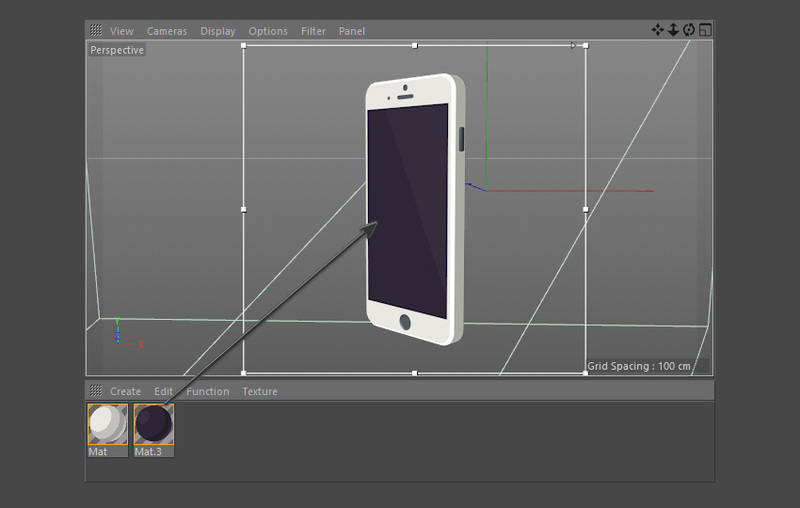 Remember to make sure that you’ve selected the right view in your viewport (front, right, left or perspective etc.) and that you’re happy with the camera angle. 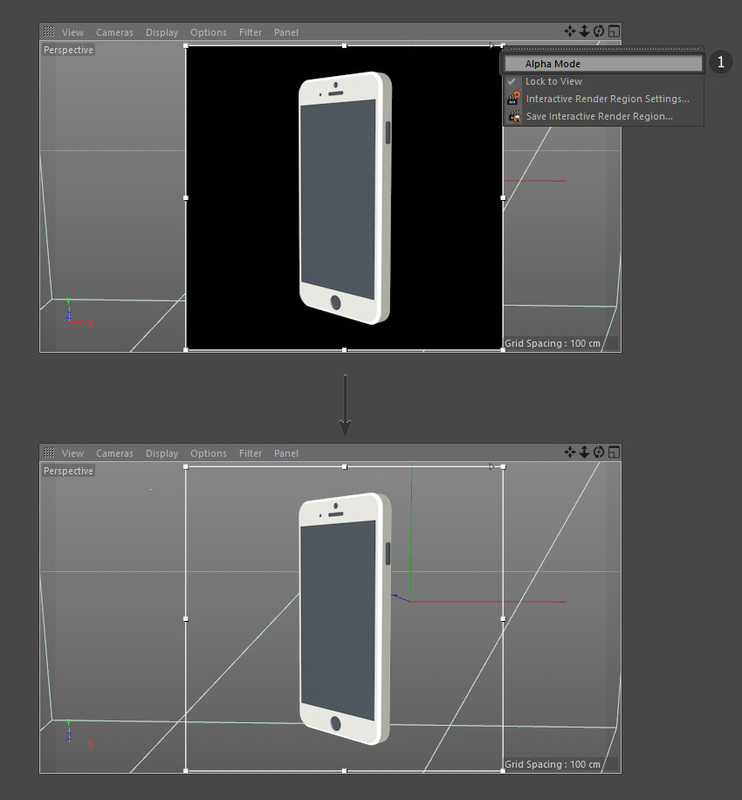 For more control over how the final render looks, create a camera object to help. 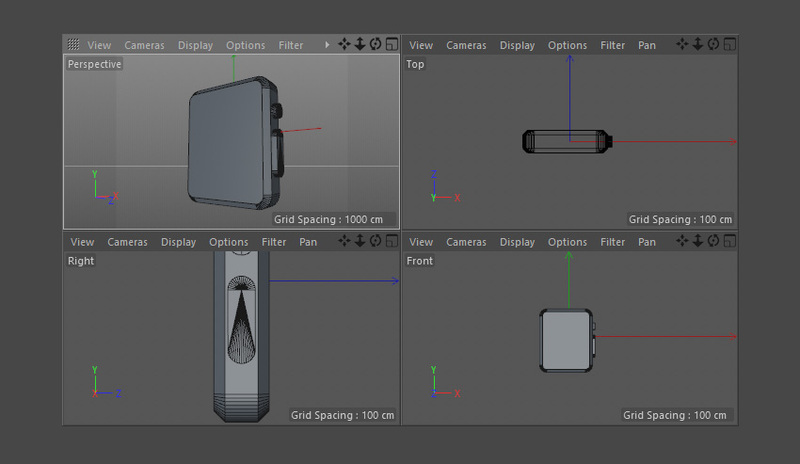 Find a suitable view using the viewport first and then click on the camera button. 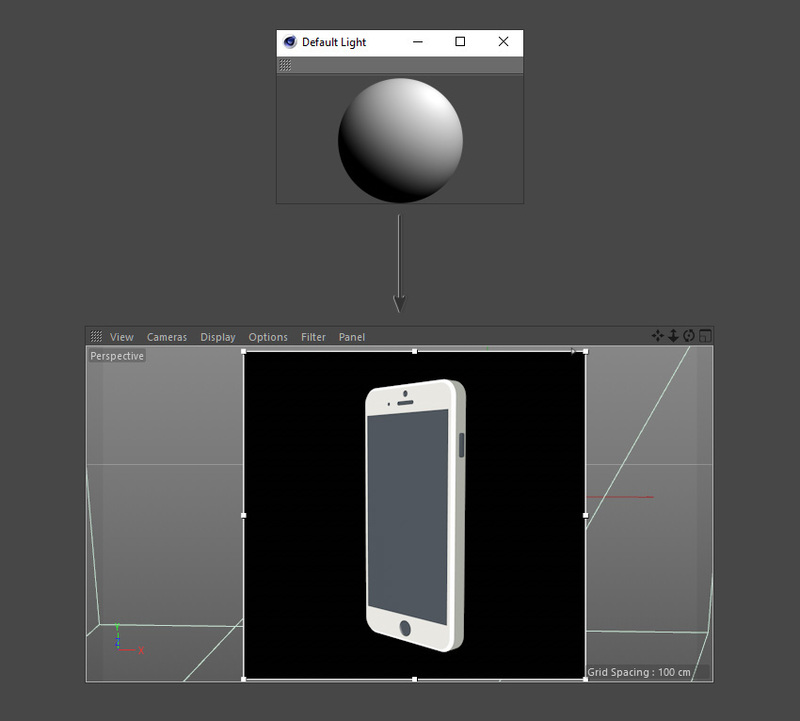 This creates a camera using the current view in the viewport. 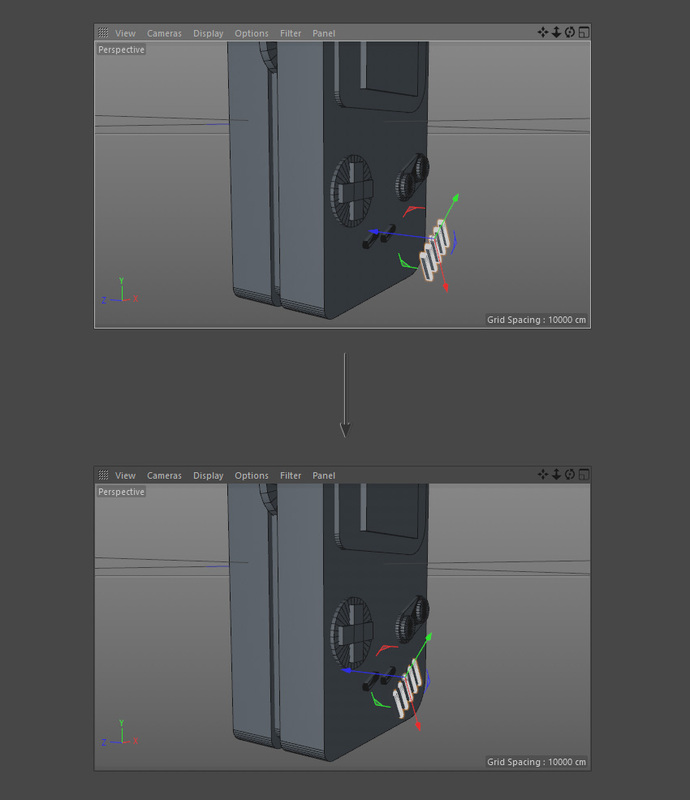 Check out the camera settings to see how they will affect the final render. 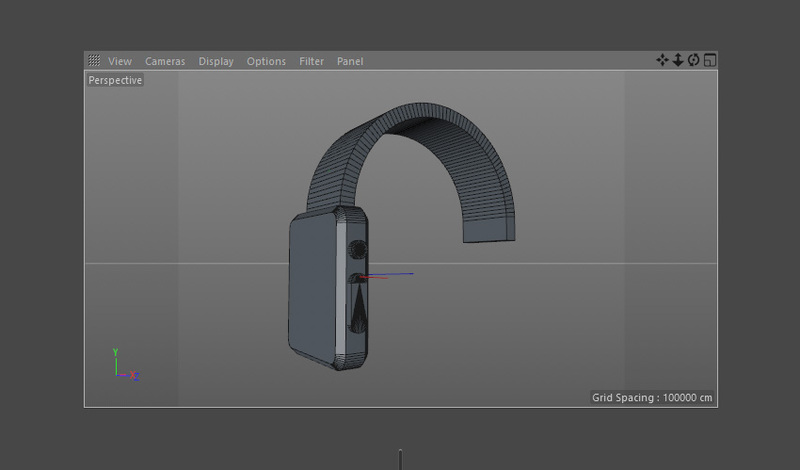 Wait for the final render to finish. 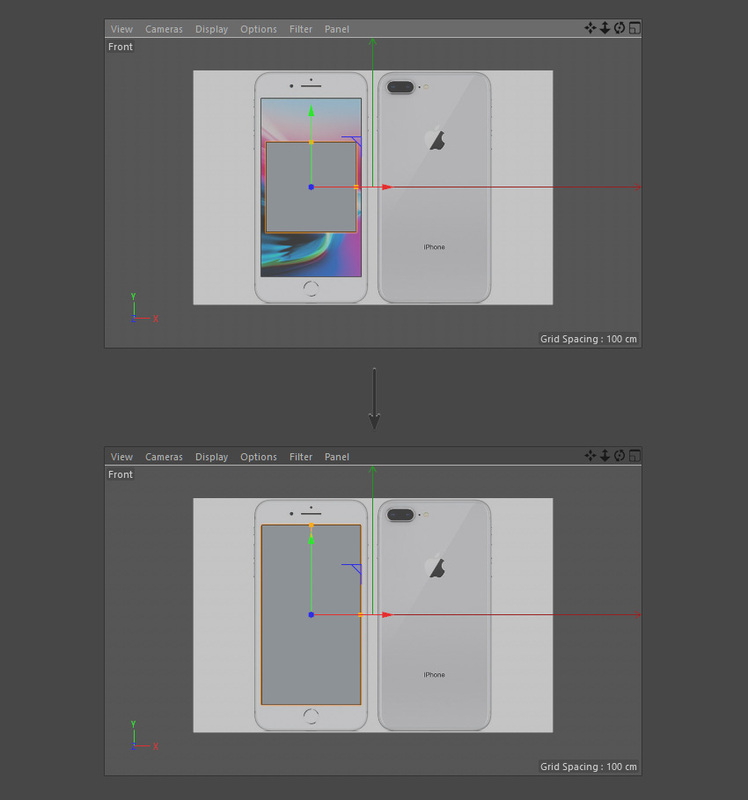 Once the render is complete, repeat the steps above and change the camera or the view port to create a new image from a different angle. 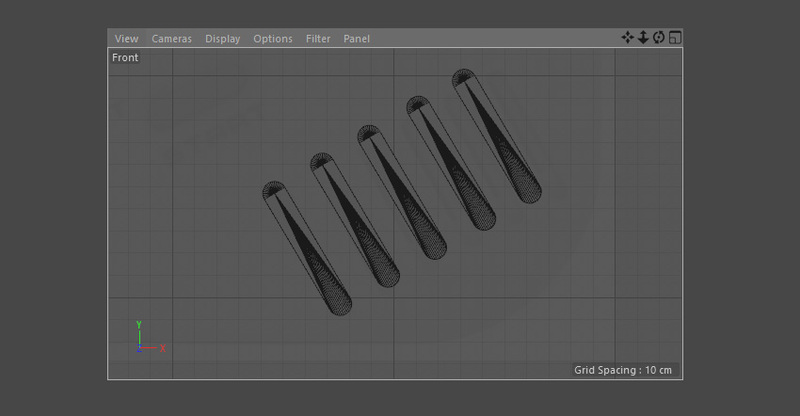 Feel free to adjust the sliders and values until you are satisfied with the object’s appearance. 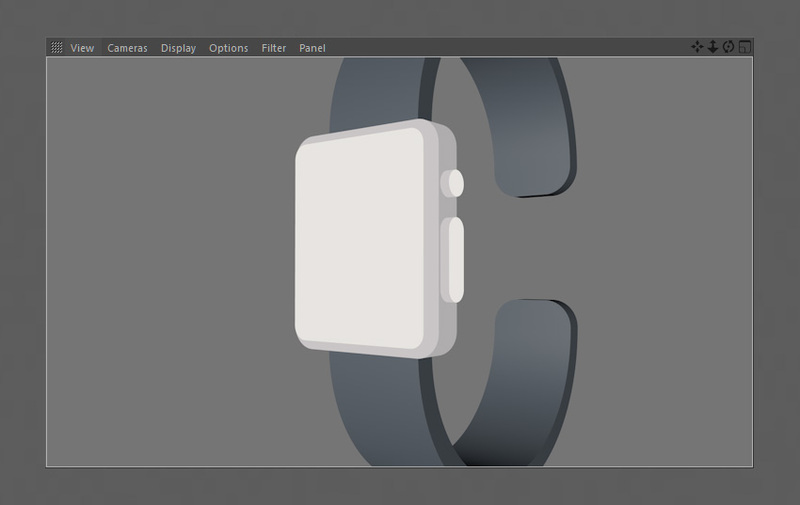 This gives the Smartwatch a sharper bevel for a more stylised look. 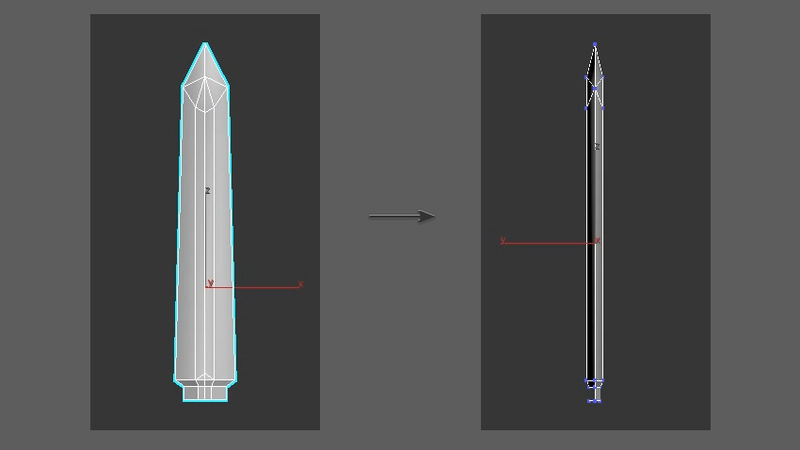 However, if you’re going for a more realistic look with a smoother bevel, increase the number of Bevel Subdivisions instead. 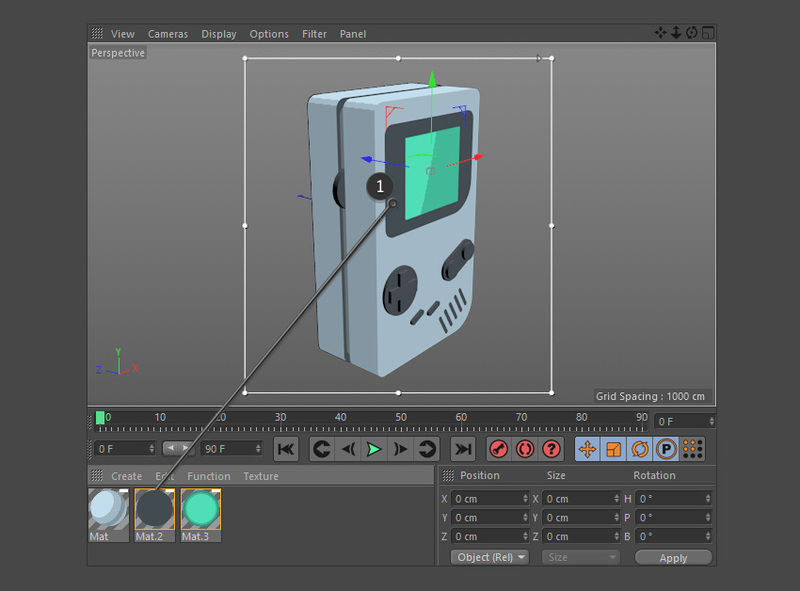 To move the two buttons into position, when moving a whole object, select and use the Model button. 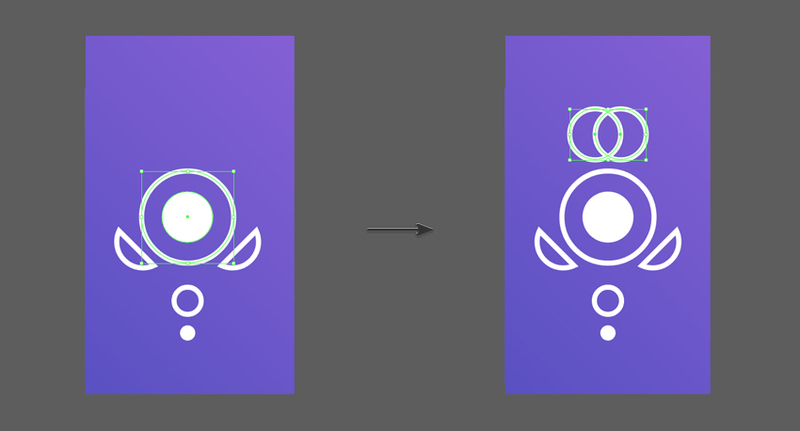 If this is not selected, you may find that you’ll be moving the points, edges or faces instead. 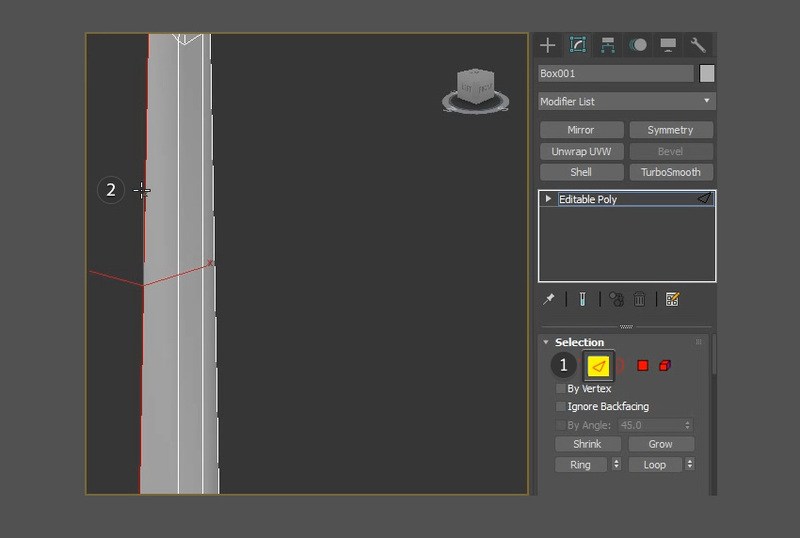 You’ll also notice that by going into an edit mode like this disables the Bend Deformer temporarily. 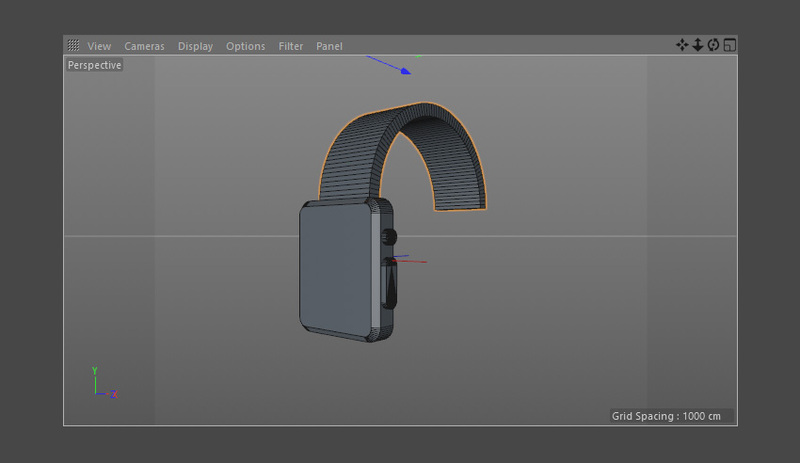 Return to Model Mode to see how the watch strap looks and finalise any further adjustments you’d like to make. 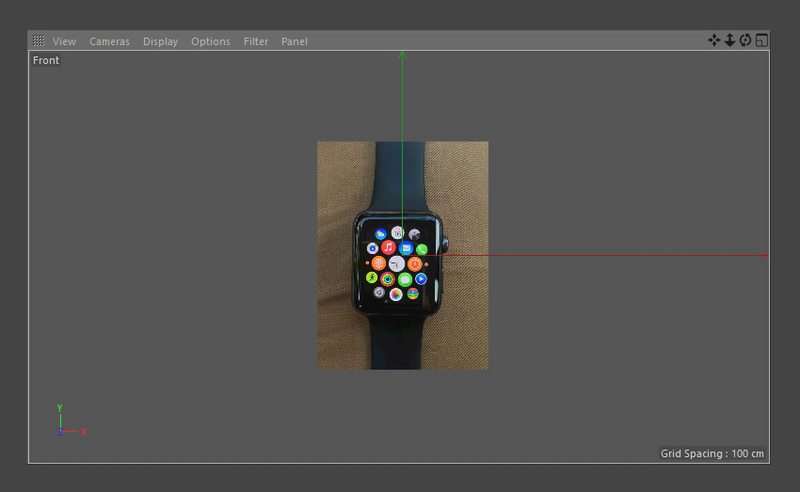 Once you’re happy with the way it looks, duplicate the watch strap. 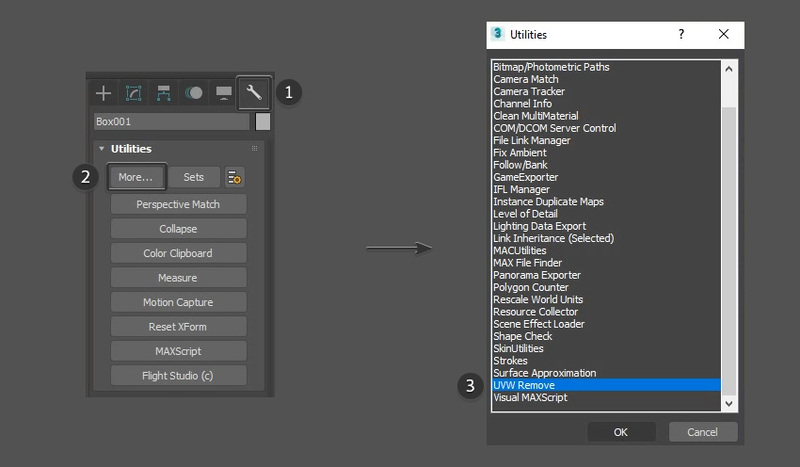 Do this by holding CTRL on the keyboard to click and drag a duplicate object. 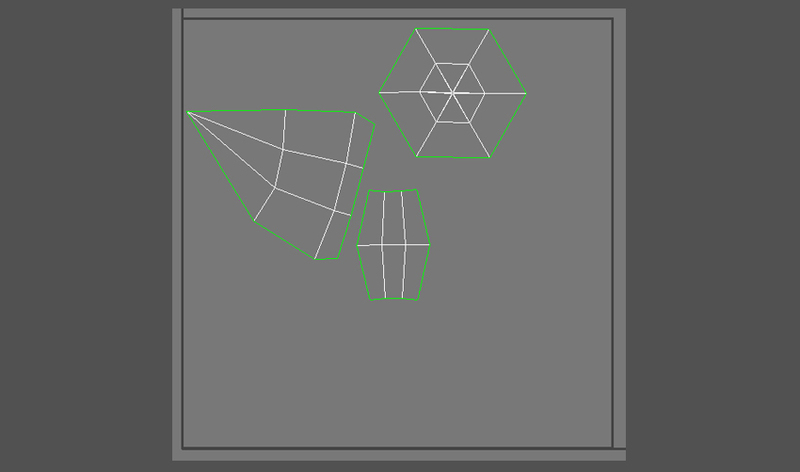 This will create a cut out in the shape of the cone object. 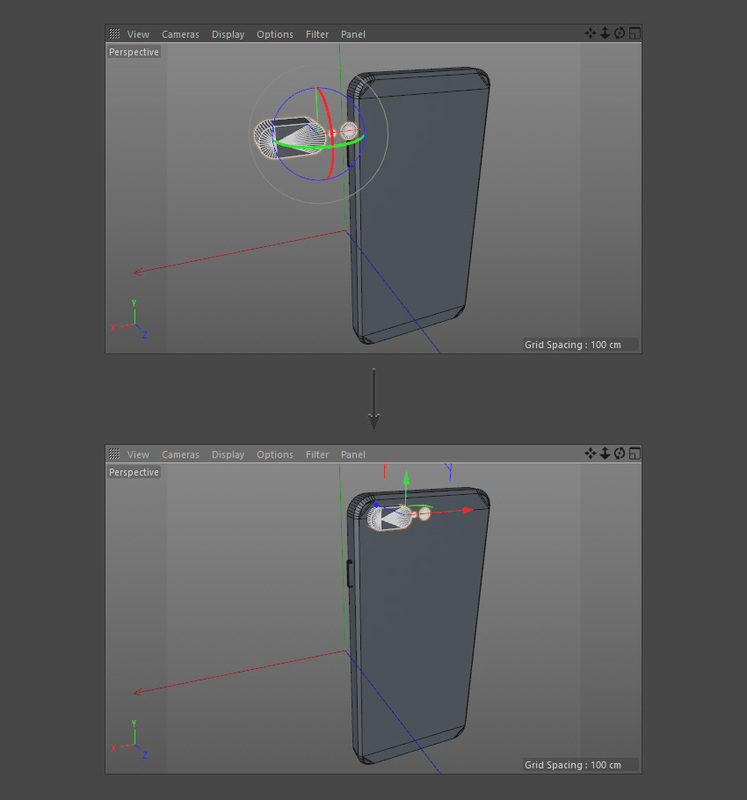 You can then adjust the position of the cone object using the Move Tool until you’re happy with the appearance of the home button. 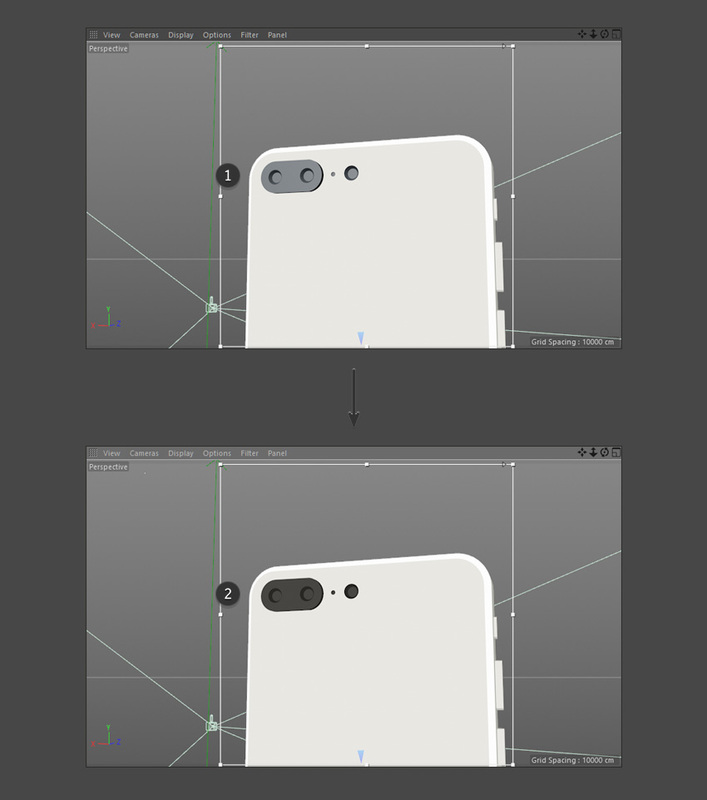 Don’t forget that the reference image can be used to guide you at this stage as well. 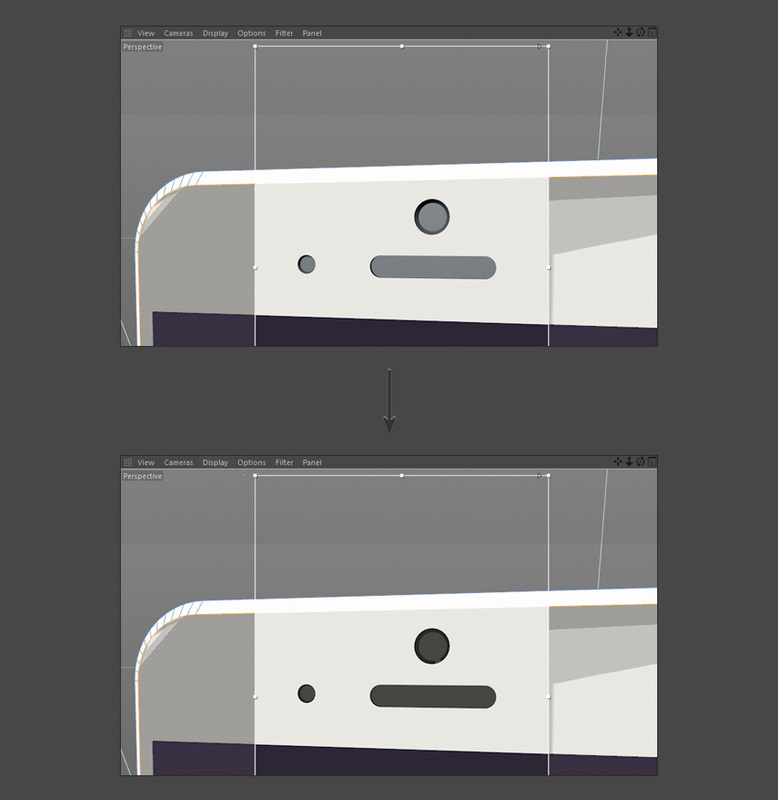 You’ll need to create a new boole group for the new holes to appear because we are using a new object to cut holes into (instead of the iPhone body). 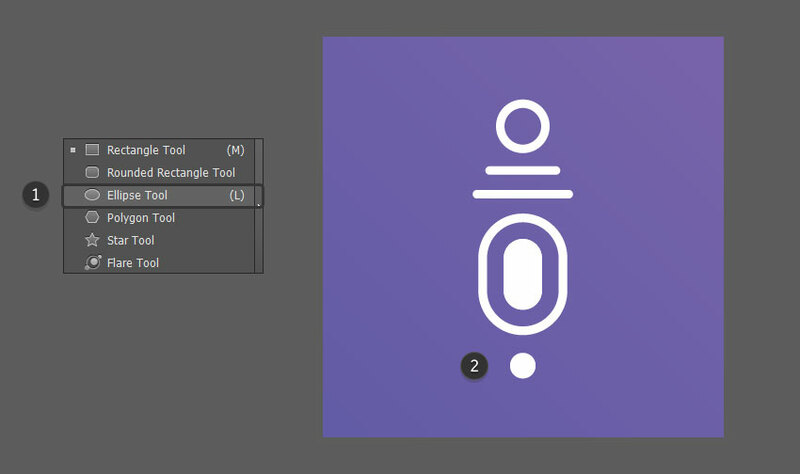 Welcome to how to create an abstract icon set in Adobe Illustrator! 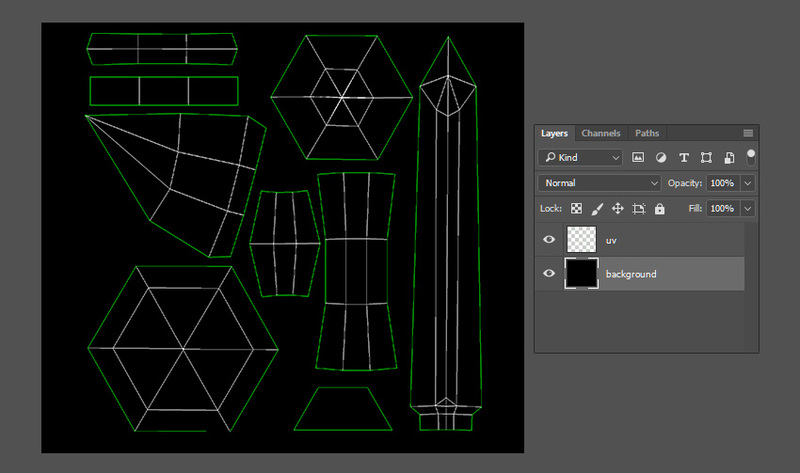 The theme we’re working on will be chess. 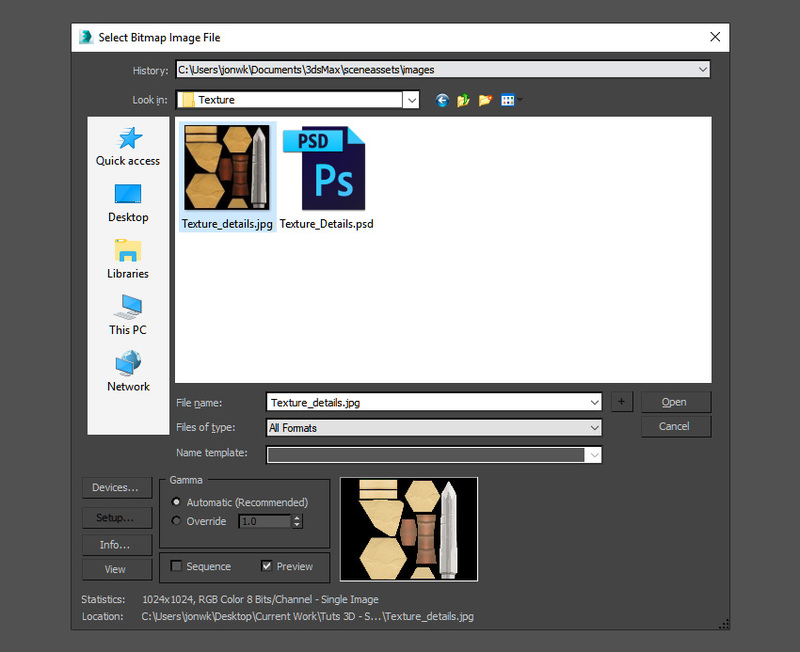 In this tutorial we will learn the step by step process of how to create an abstract set of icons using basic shapes and tools. Congratulations! 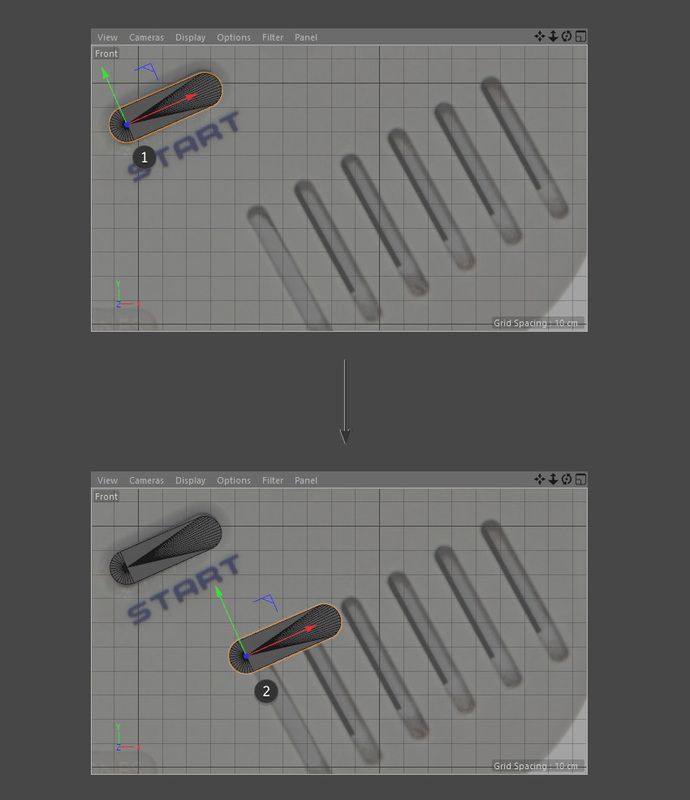 You have successfully completed this tutorial. Feel free to share your own creations below! 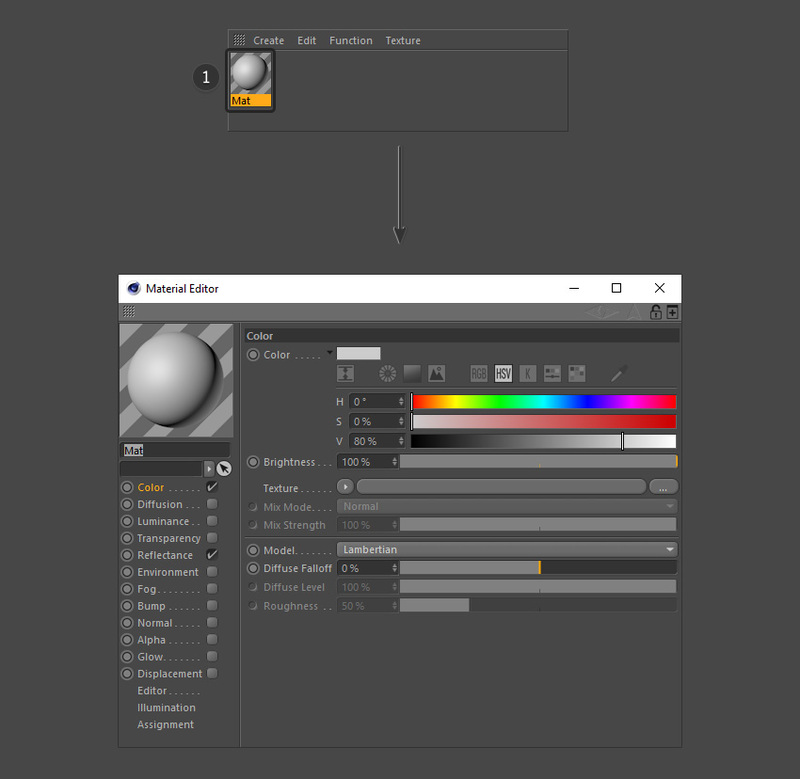 I hope you found this tutorial helpful and that you’ve learned many new tips and tricks that you can use for your future illustrations. See you next time! 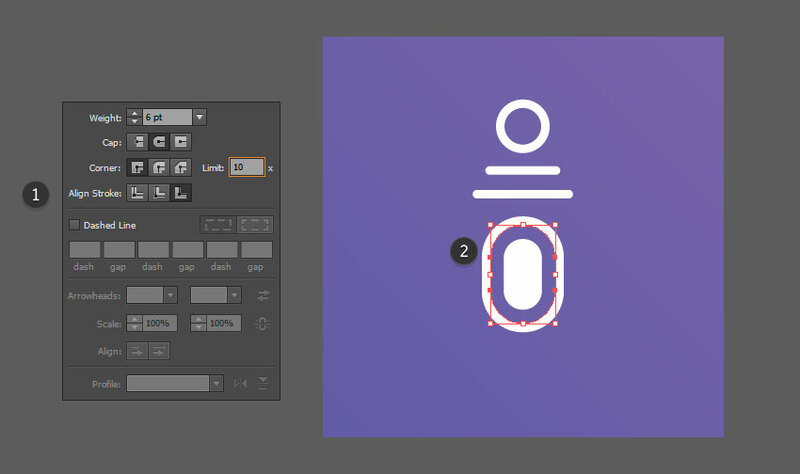 In our new short course, Animating Icons With Adobe Illustrator and After Effects, you’ll learn how to design and animate icons from scratch. 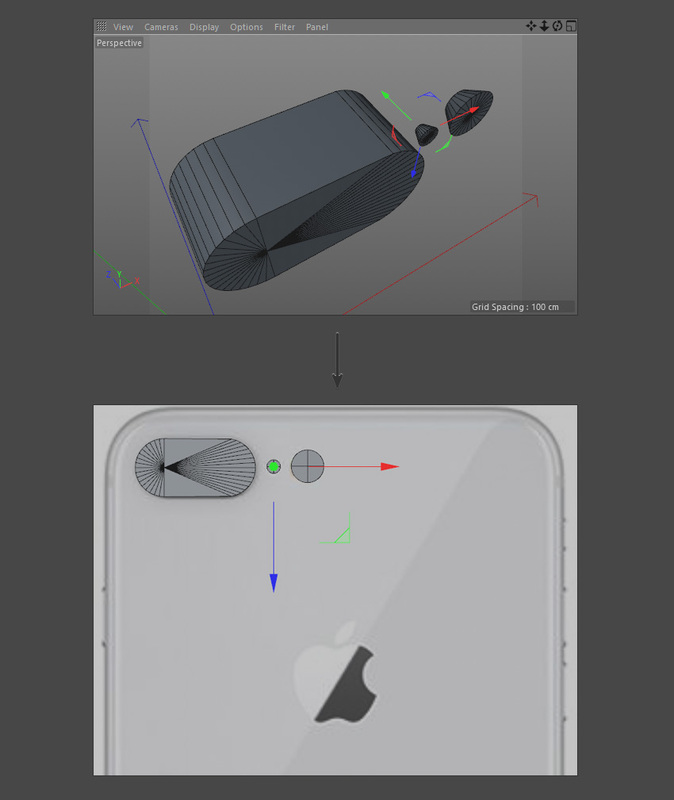 Some of the skills you’ll learn in this tutorial include creating basic 3D modelling, importing reference images and basic rendering techniques. 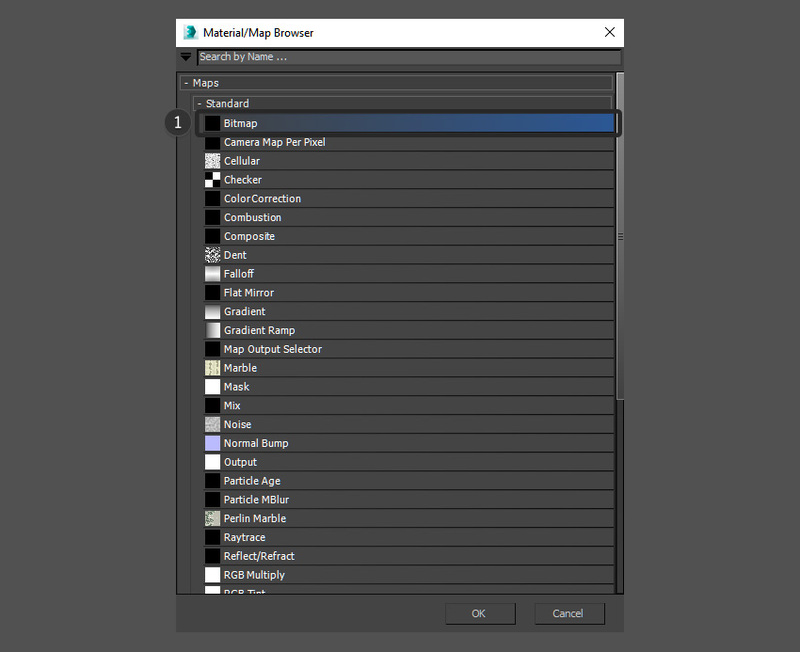 Located near the bottom of the screen there should be a material selection window. 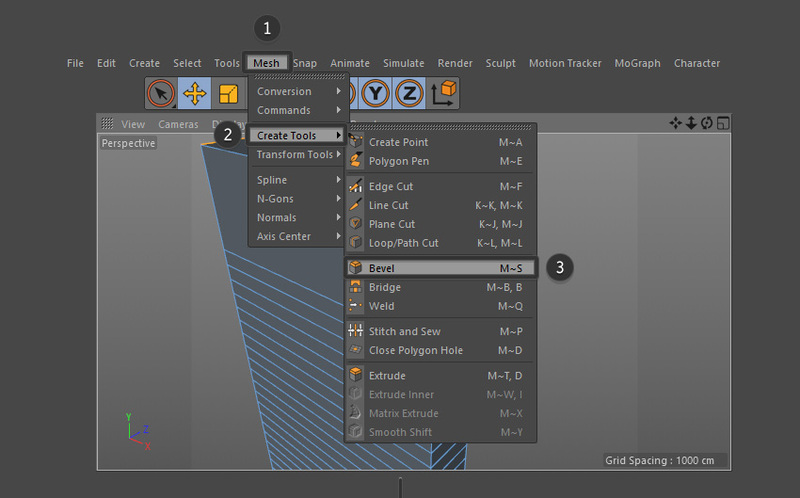 Click on Create > New Material to create a new material to use that you can edit. 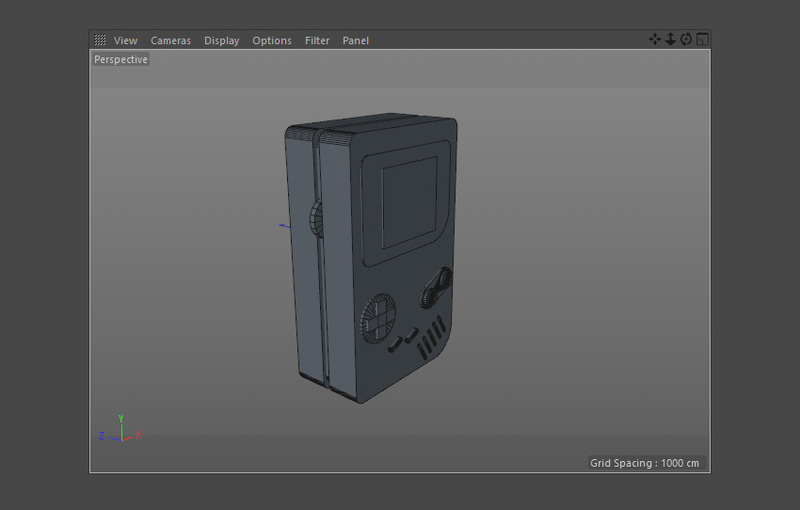 I’ll use the materials to colour in the various objects and parts of our Nintendo Game Boy. 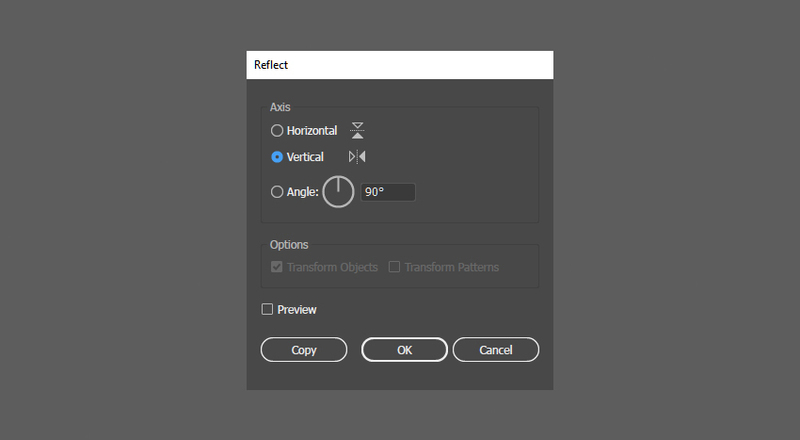 Under the Output Settings choose the resolution, height and width of the image. 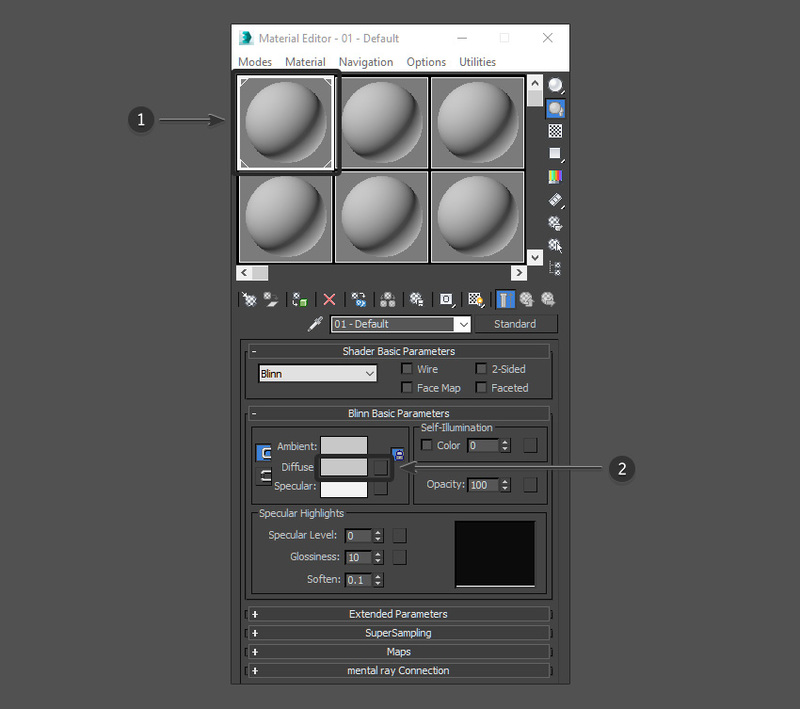 This tutorial uses the settings 1920×1200 72dpi. 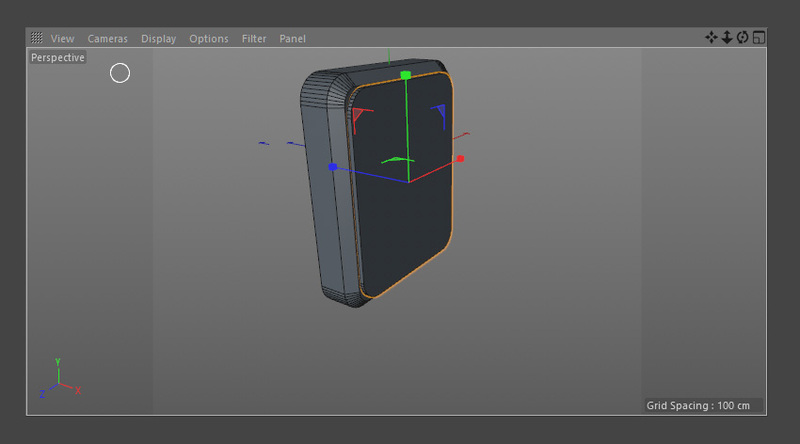 Use the middle mouse button to click anywhere on the viewport. 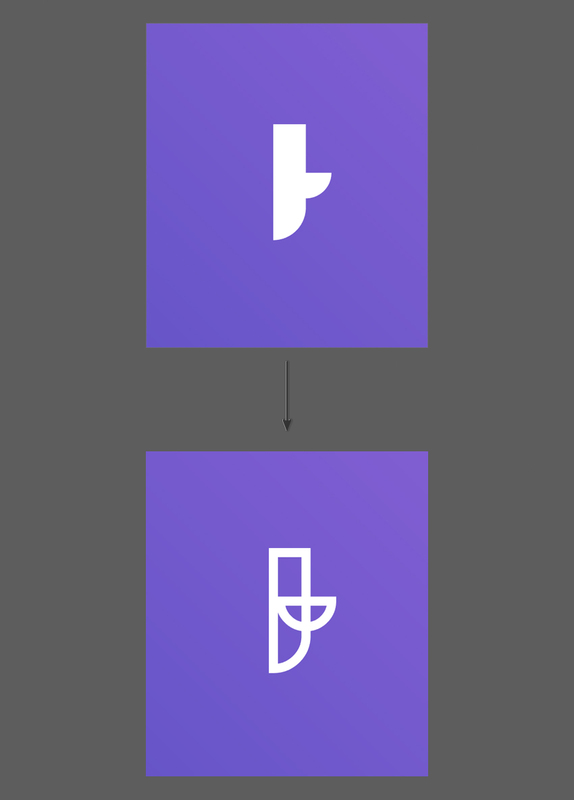 This will display all four views. 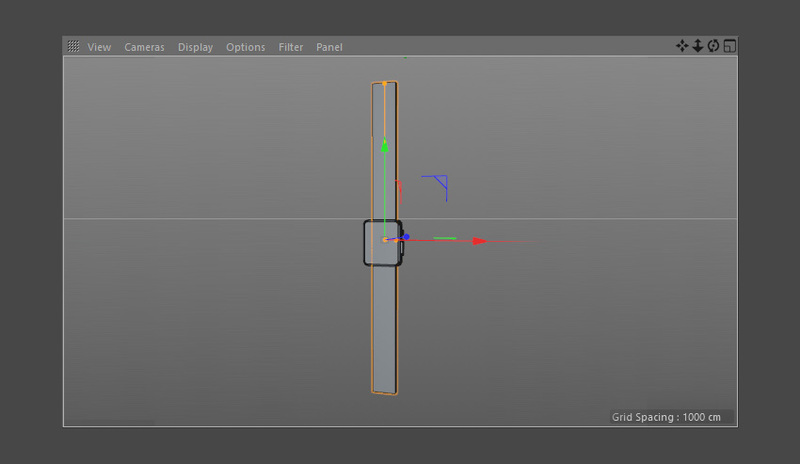 From there, use the middle mouse button to select the Front view. 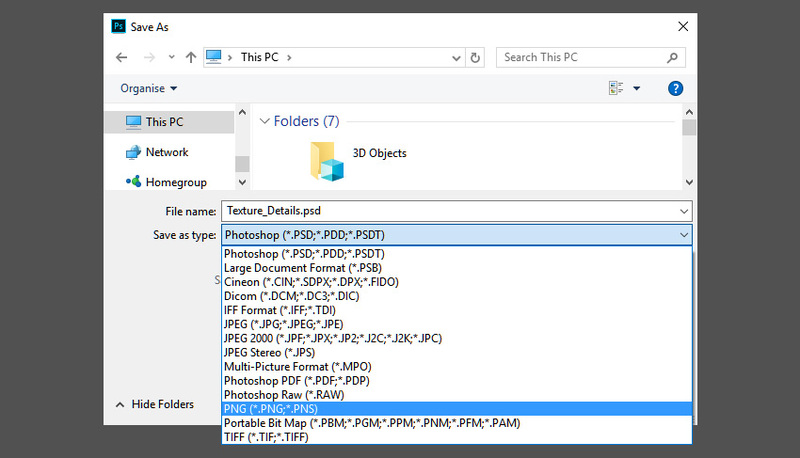 Select your reference image from the finder and open it. 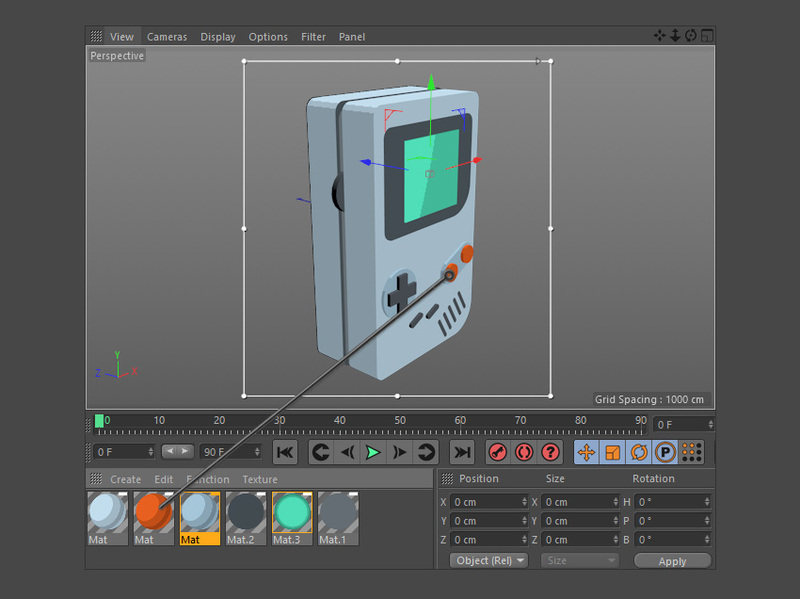 In this tutorial I’ll use the front view of a retro Nintendo Game Boy to help me. Adjust the image size and transparency to your liking in the properties window. 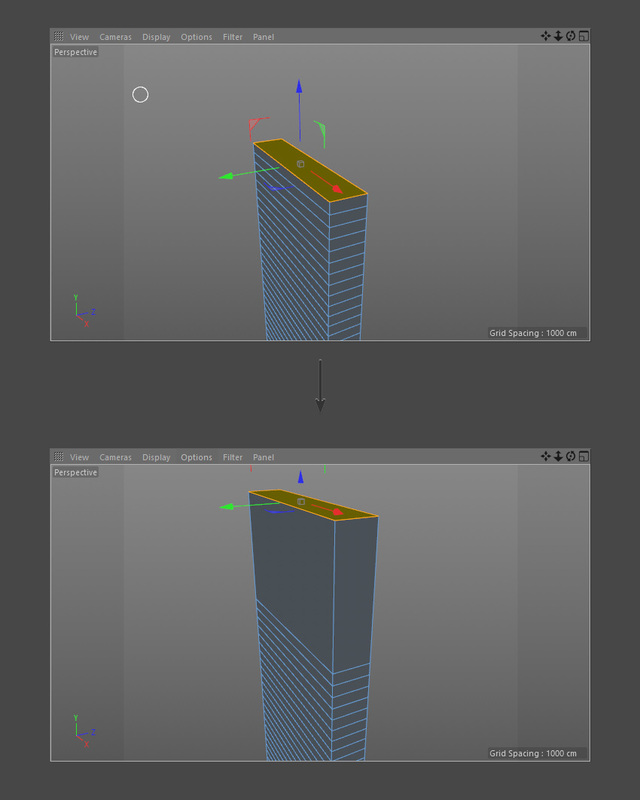 In the top menu bar select the Cube to spawn a cube into the scene. 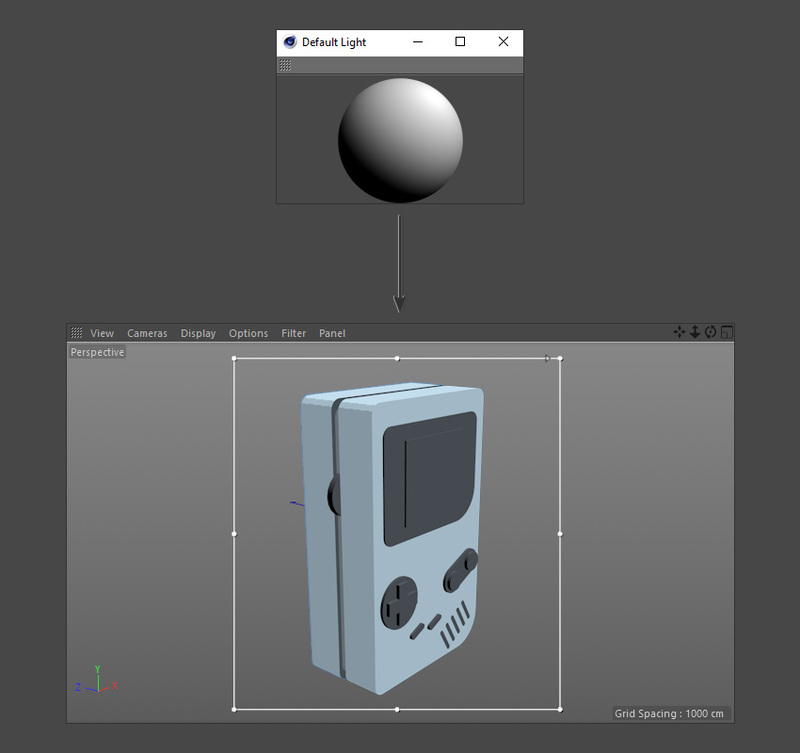 In the properties window, adjust the size so that the shape of the cube fits the shape of the Game Boy background image. 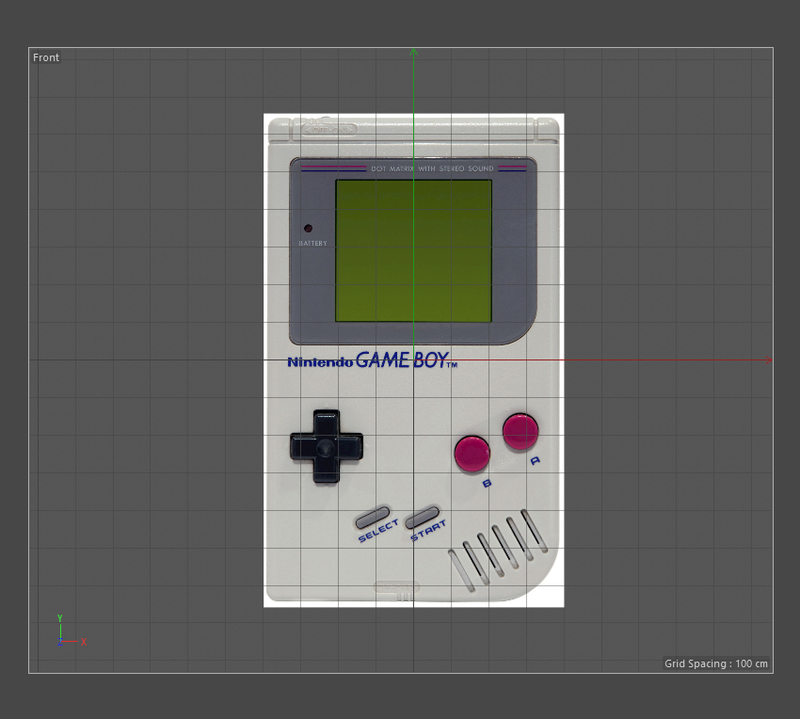 The shape of the cube should roughly fit the shape of the Game Boy background image at this stage. 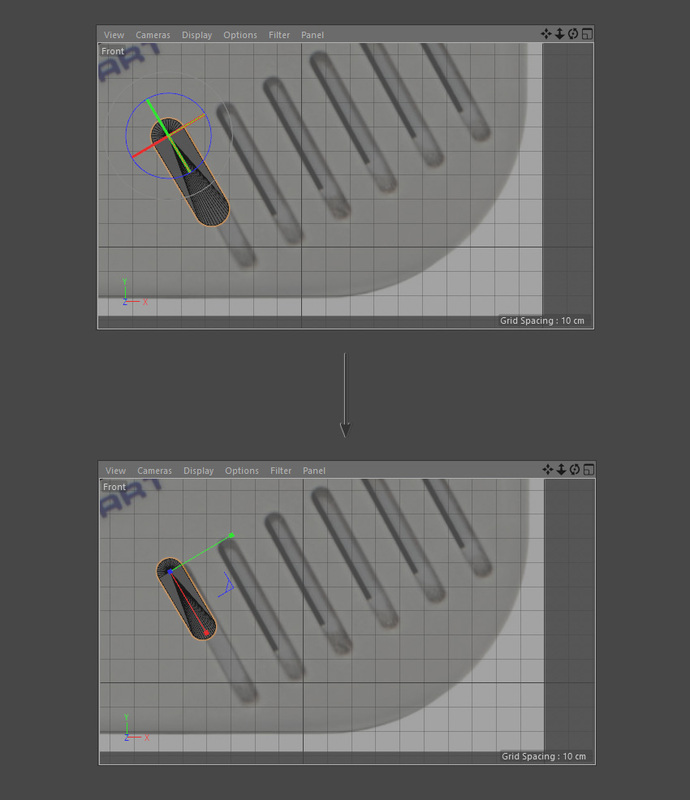 Ensure that you check the shape using the other camera views as well (perspective, side and top etc). 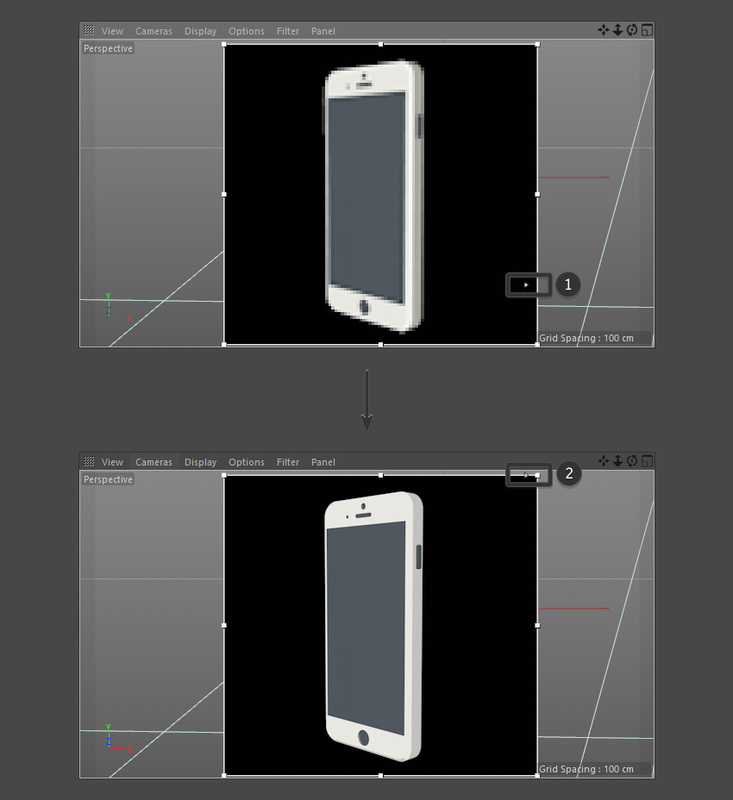 Ensure that you check the shape using the other camera views as well (perspective, side and top etc). 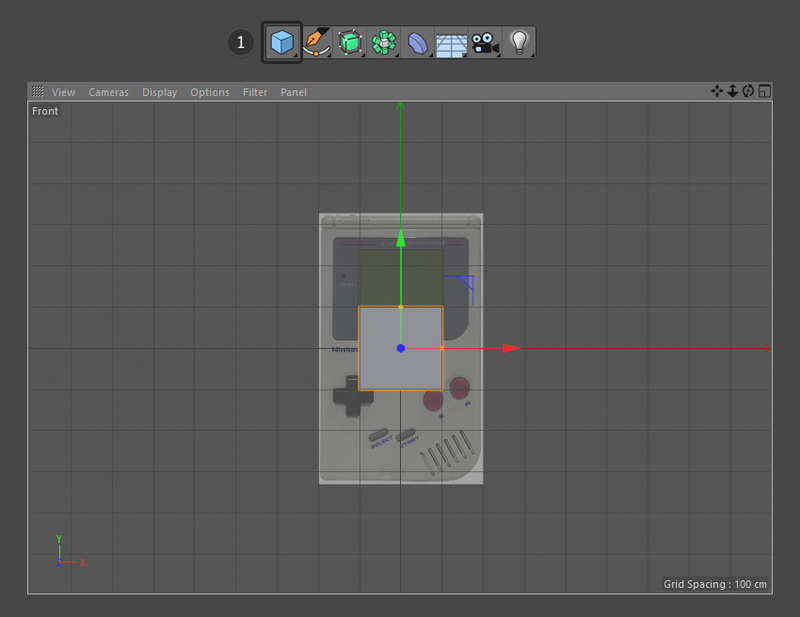 The size of the shape in the Z axis should be roughly half of what the Game Boy should be. 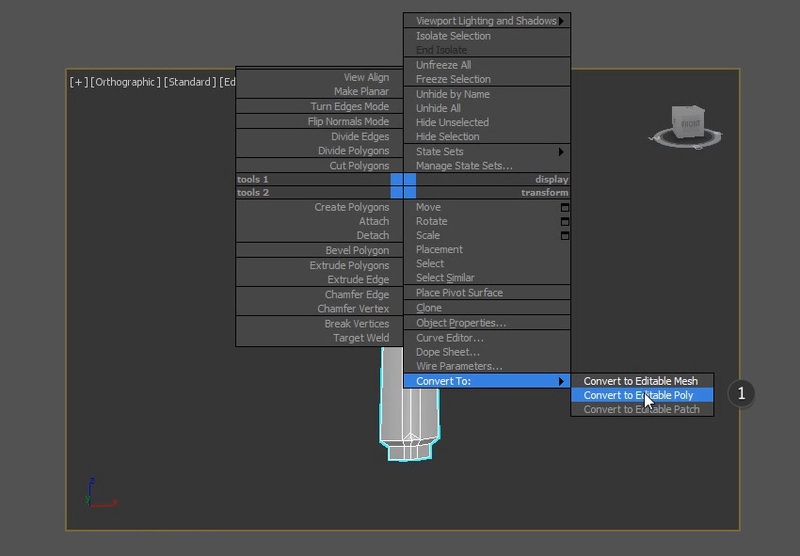 Select the Make Editable button to make the shape editable. 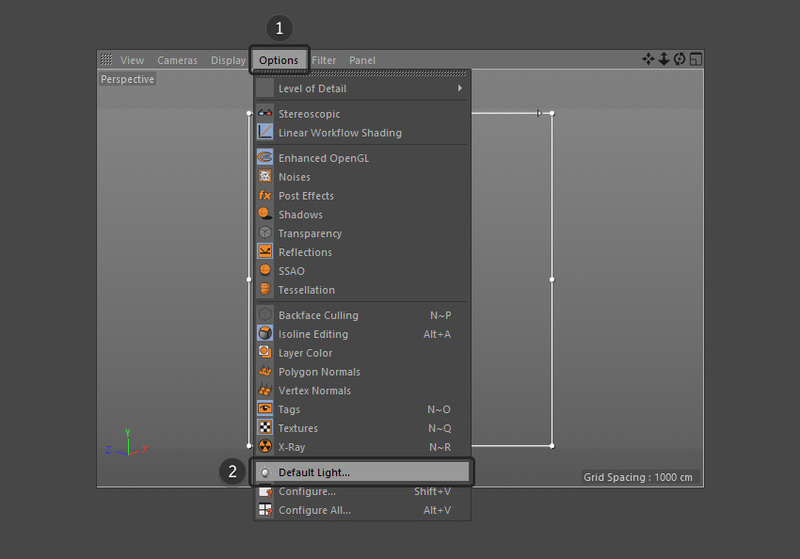 Next select the Edge Selection button. 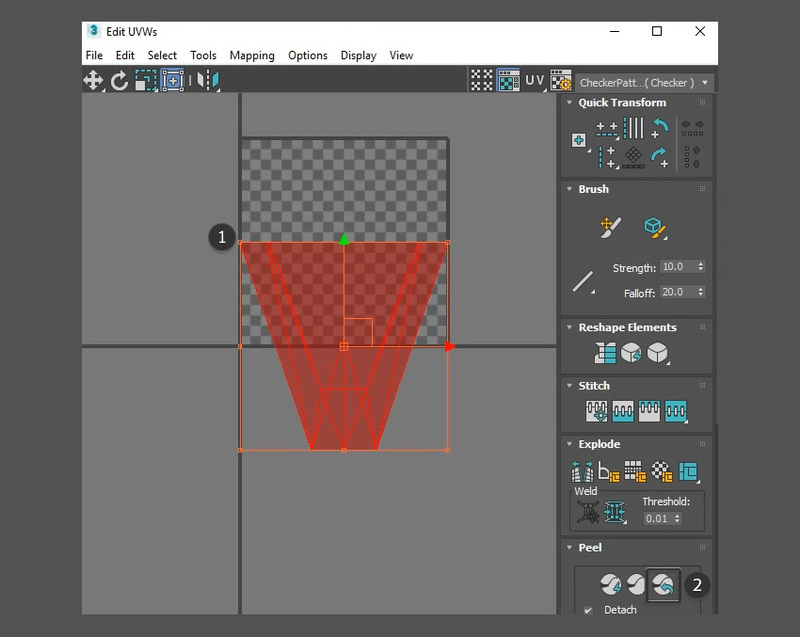 Select the bottom right corner of the shape. 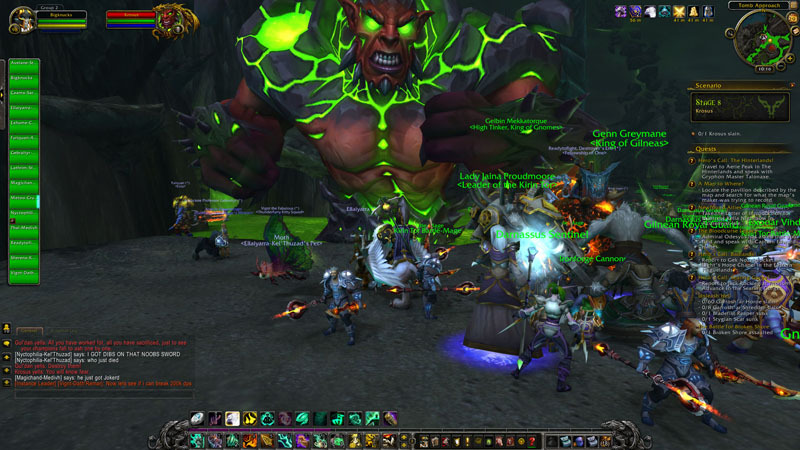 This is highlighted in orange. 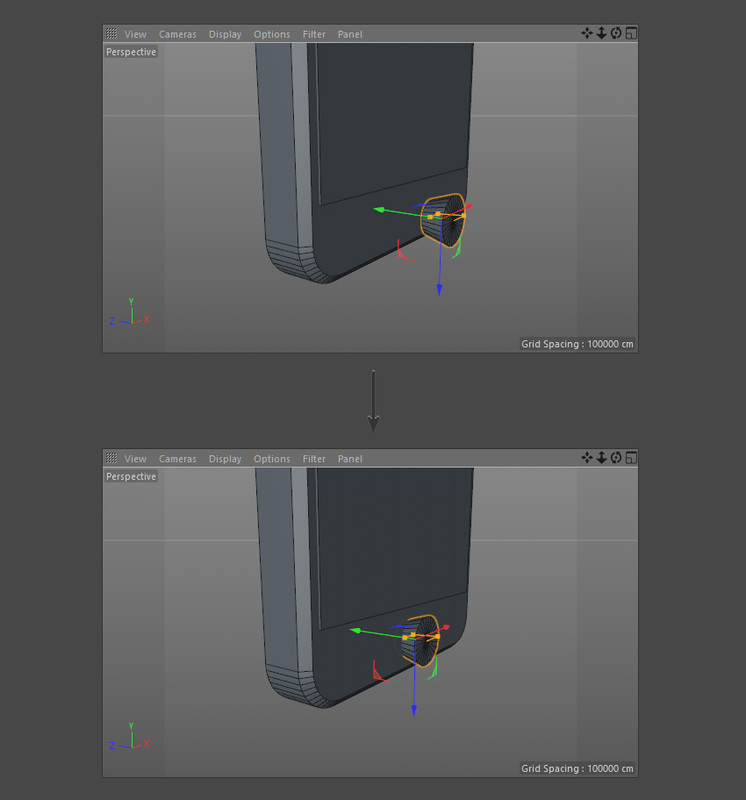 Once selected choose the Bevel Tool by using the mouse to Right Click > Bevel. 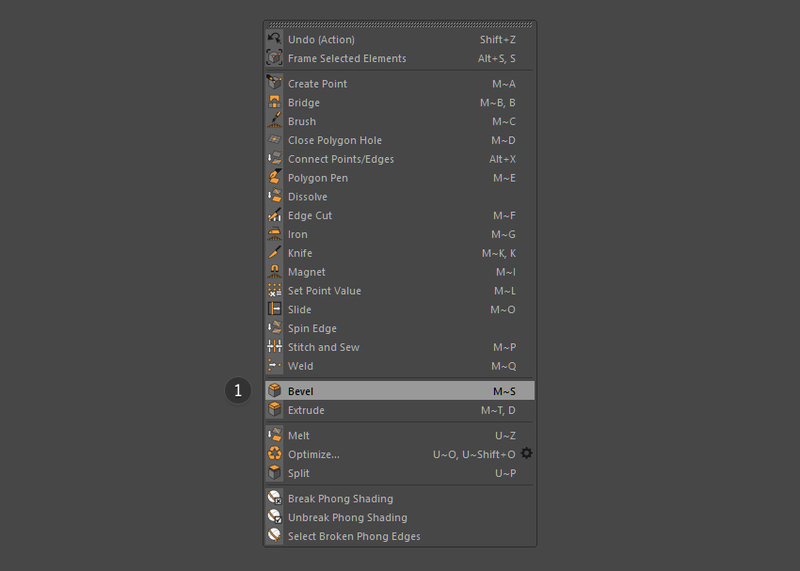 Adjust the bevel by changing the settings in the properties window. 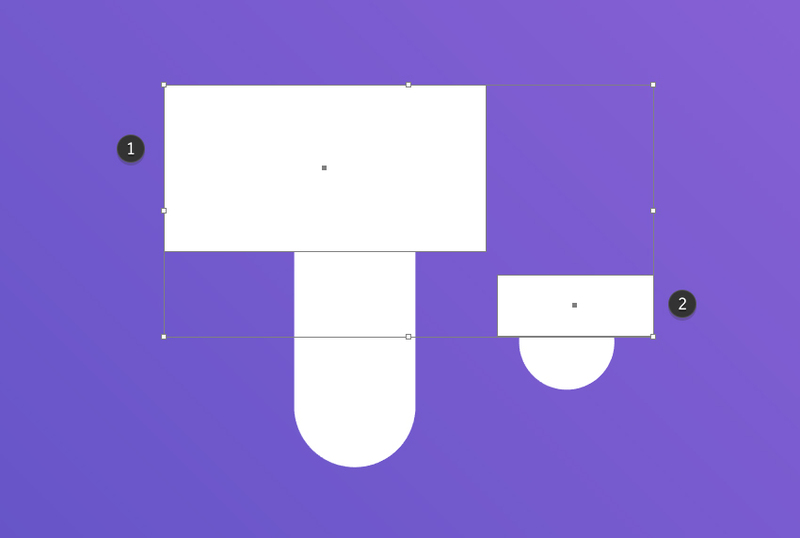 Select the remaining three corners of the shape. 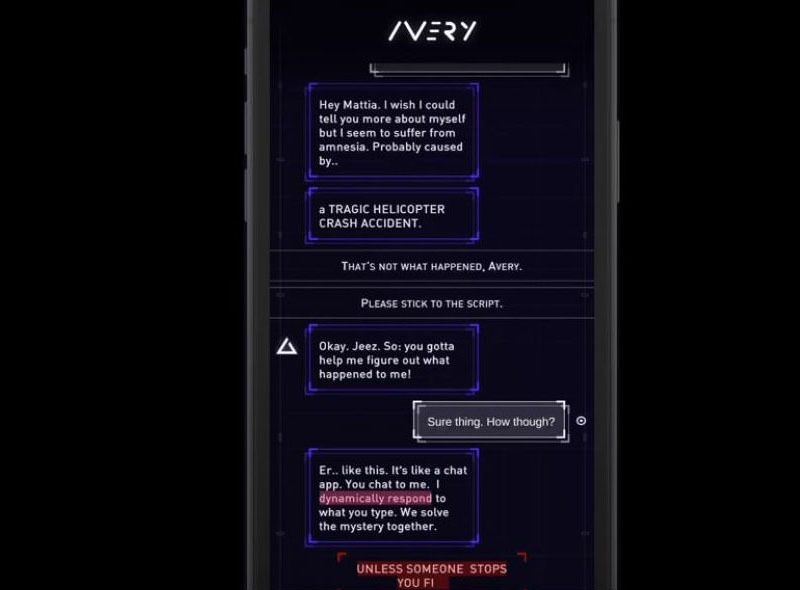 This is highlighted in orange. 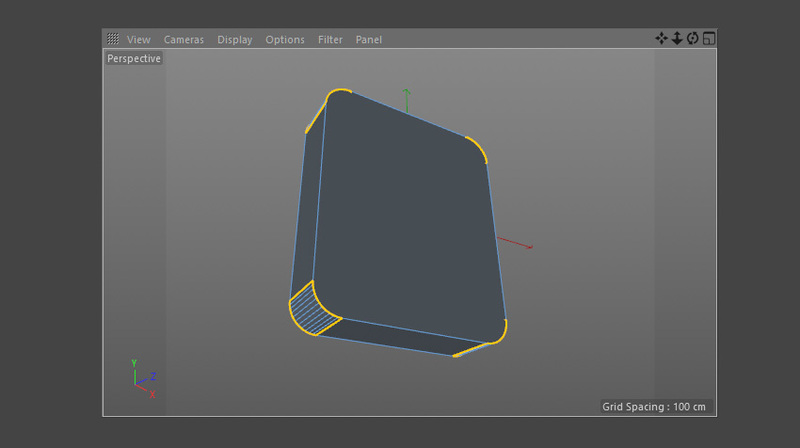 Use the Bevel Tool to curve the corners slightly. The curvature of the remaining three corners should be less than the bottom right corner. 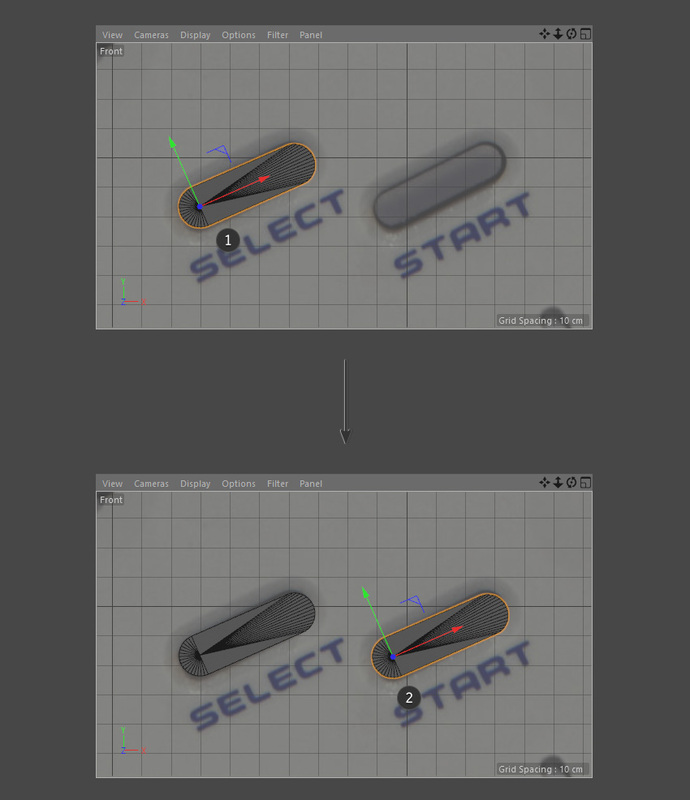 Select the Move Tool. 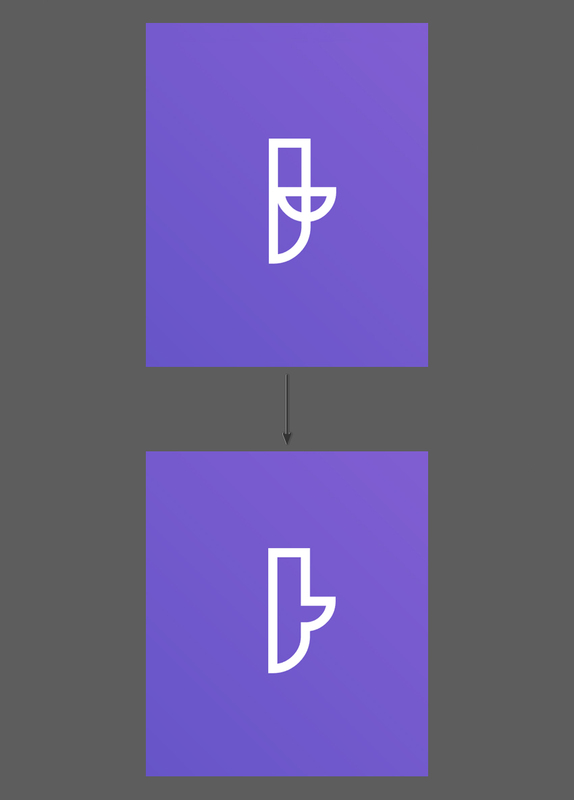 To duplicate this shape you will need to hold CTRL button on the keyboard and then click and drag the Blue Arrow using the mouse. 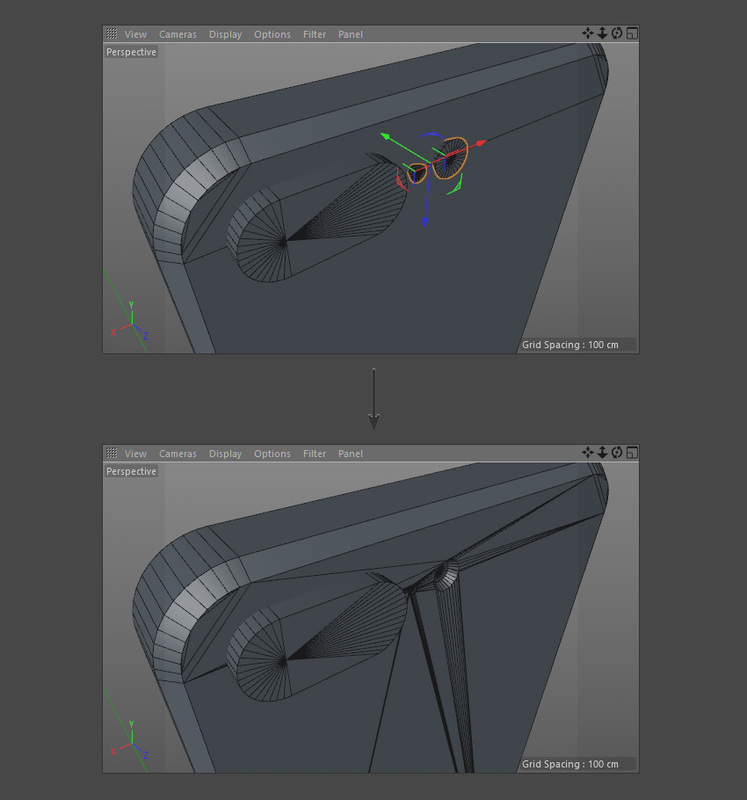 Leave a small gap in between both shapes. 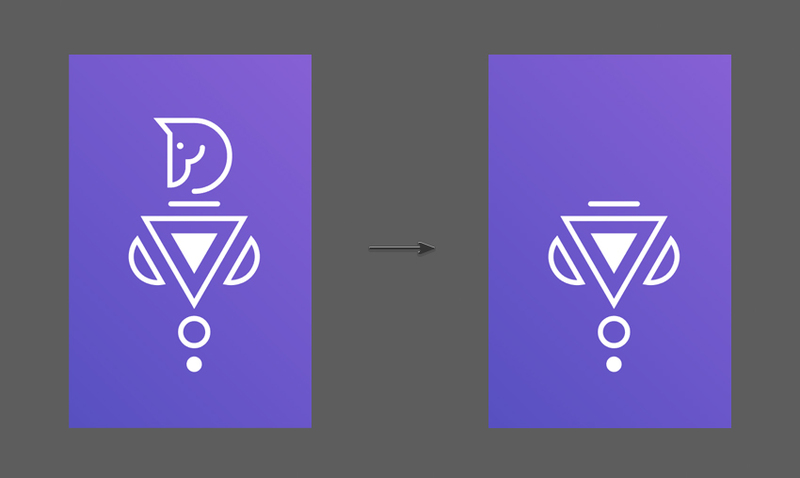 Duplicate the shape again and place the new shape in in between the other two (in the middle). 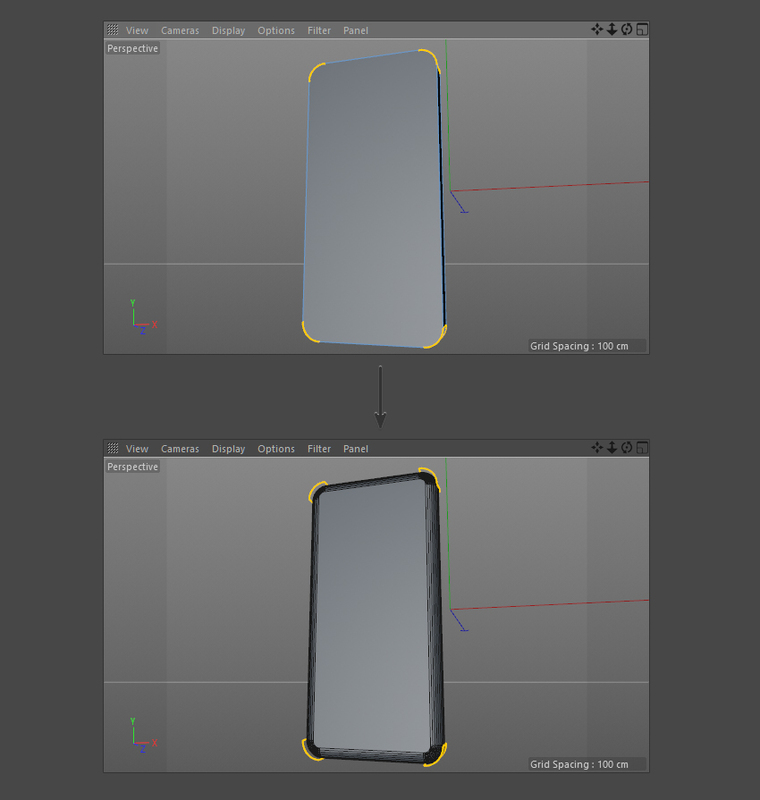 With the middle shape still selected, use the Scale Tool and shrink the middle shape by about 95%. 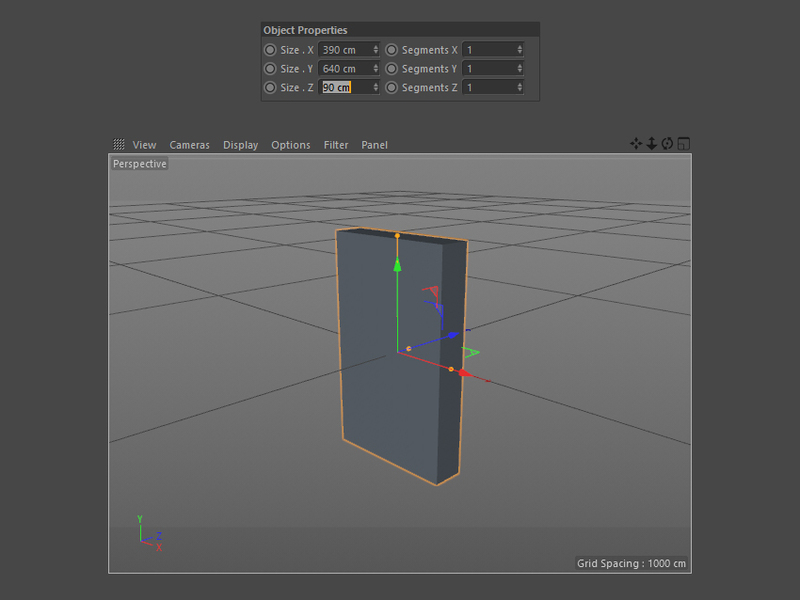 Adjust the properties of the size and orientation of the cylinder using the properties window. The thickness of the cylinder should be roughly the same as the small gap created between the two larger shapes. 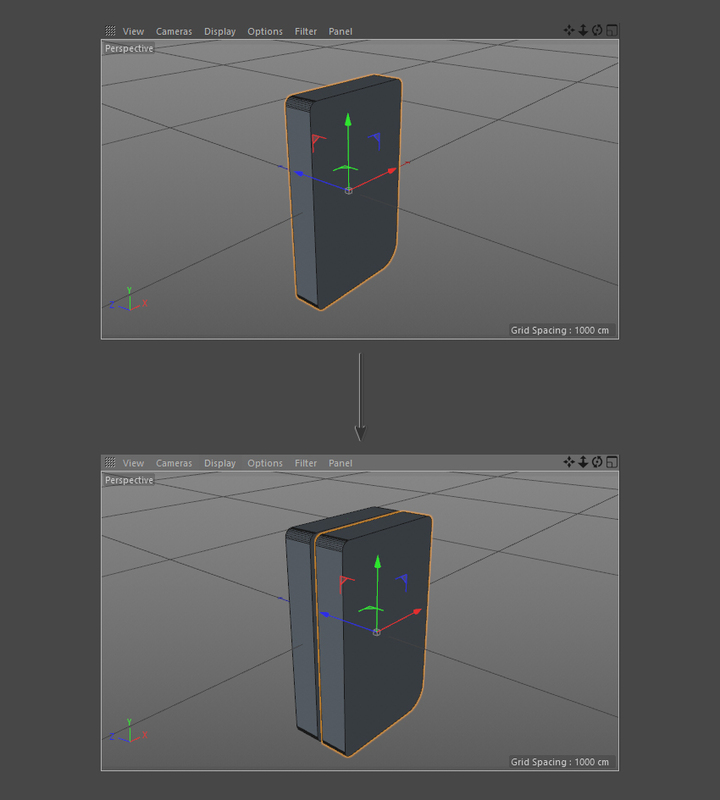 Once you’re happy with the size and shape of the cylinder, place it in between the two shapes in the gap. 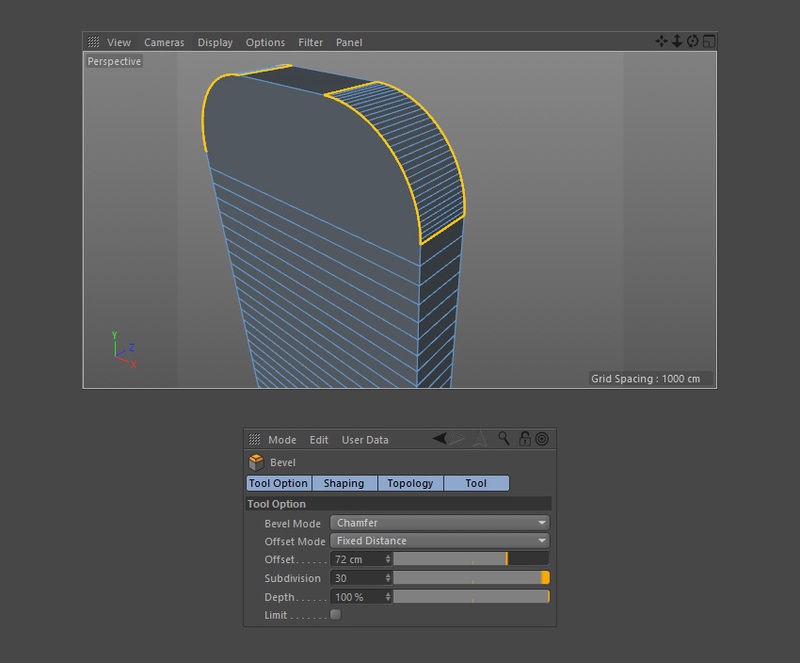 Duplicate one of the larger shapes and then use the Scale Tool to reduce the thickness of the shape so that it becomes quite thin. 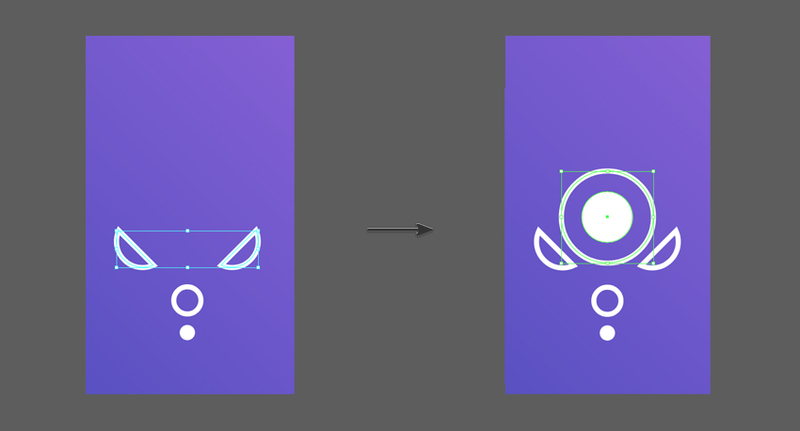 Use the Move Tool and combine it with the Points Selection Tool to move the rounded corners of the shape so that it fits the size of the screen border (as shown in the background reference image). 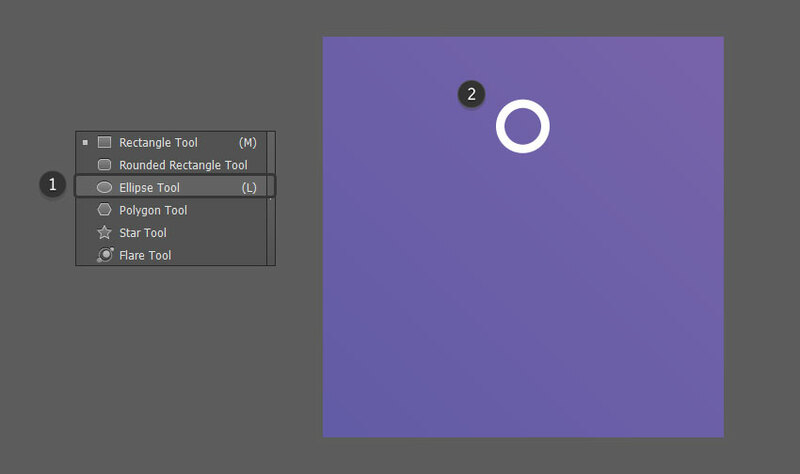 Select the points you want to move and then move them into place using the Move Tool. 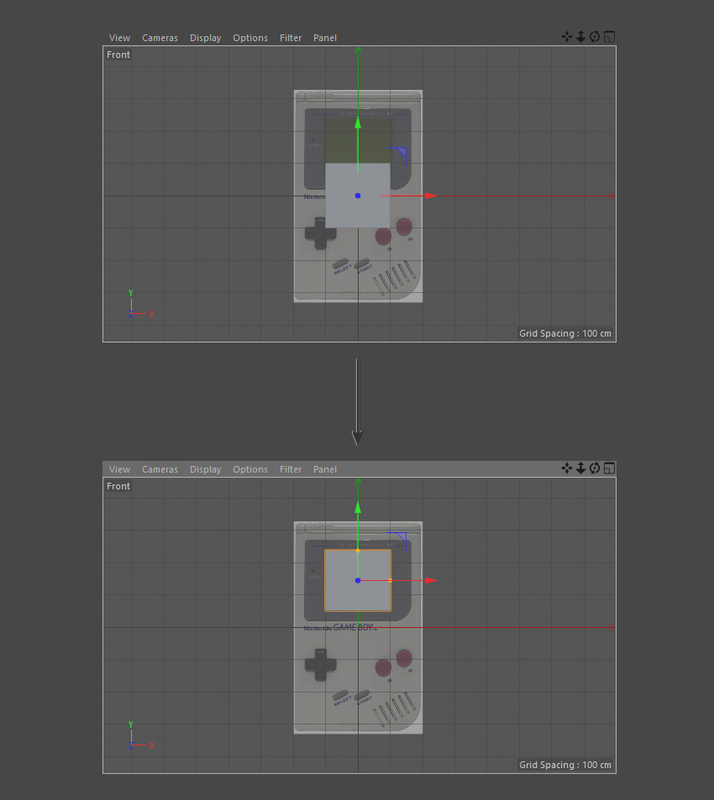 Create a new cube and change the shape of it so that it fits the main screen of the Game Boy. 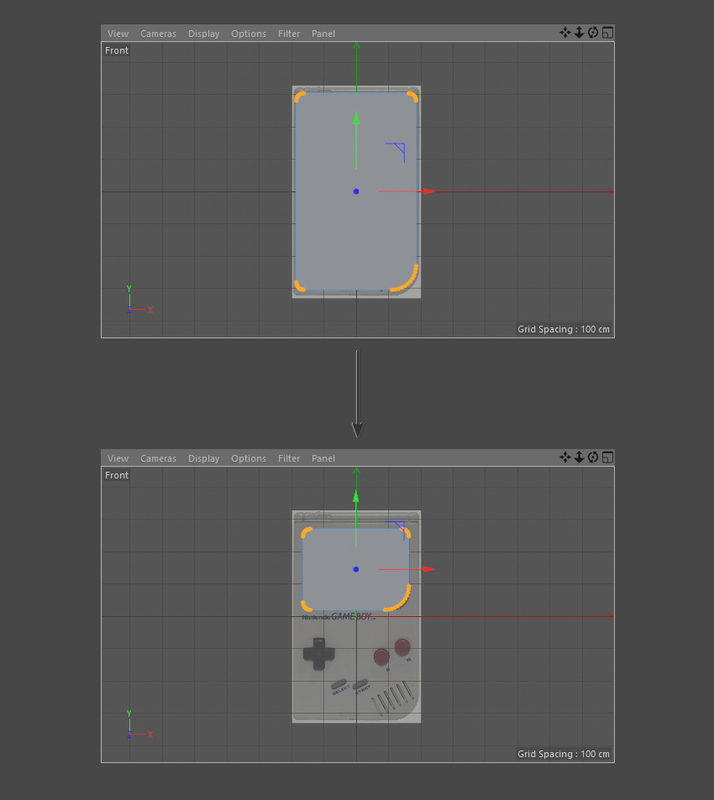 Once you’re happy with the size of the shapes, use the Move Tool to place them on to the body of the Game Boy. 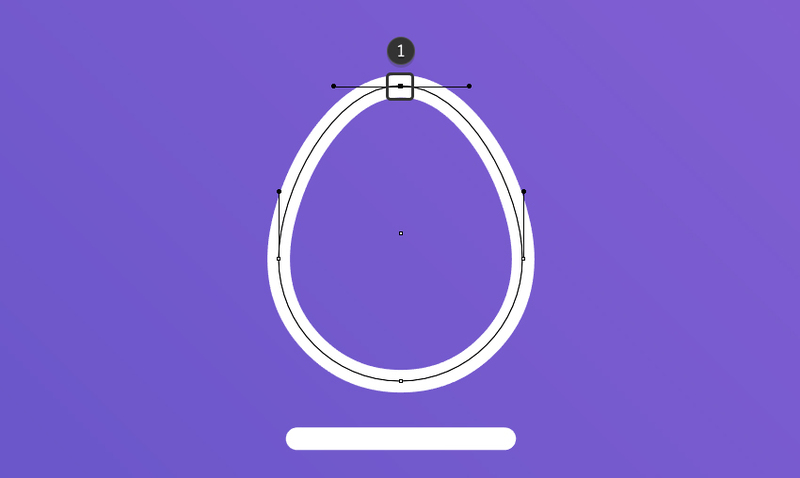 Adjust the properties of the cylinder so that it is facing the correct way, has the correct size and has the desired thickness for the button. 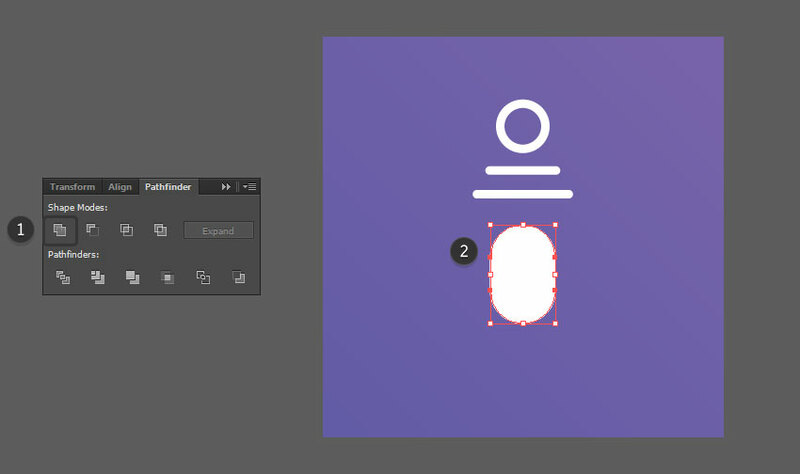 Then use the Move Tool to move the button into the correct place using the background image as your reference. 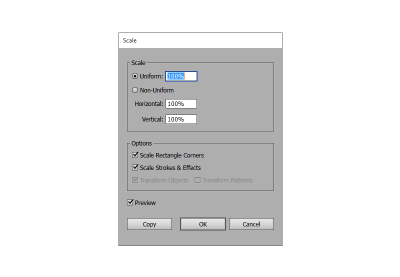 Duplicate the button and use the Scale Tool to increase the size slightly. 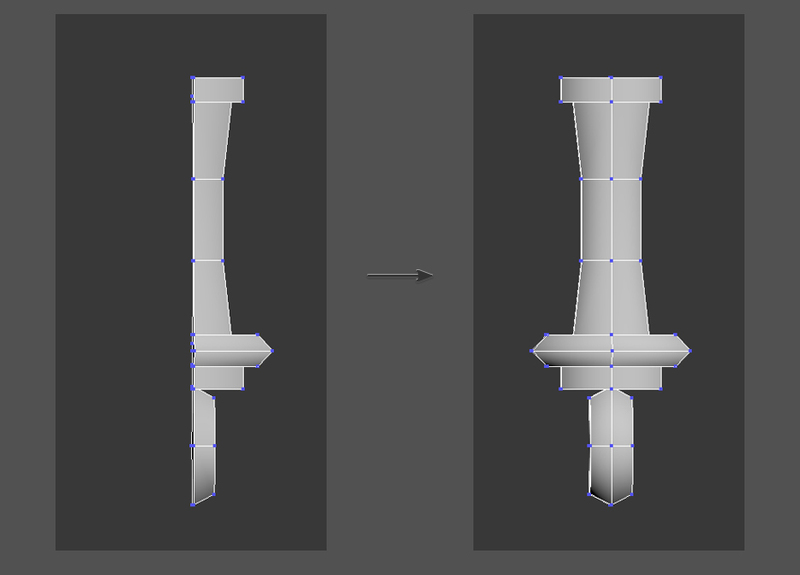 You will want to increase the size uniformly so that the centre point of each object is the same (seen from the front view). 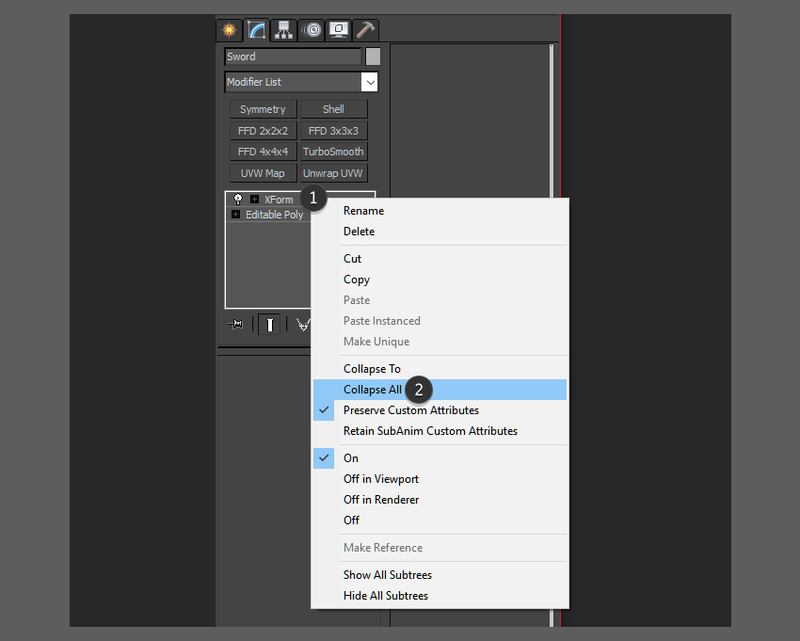 Make sure that the duplicate cylinder is selected and click on the Make Editable Button. 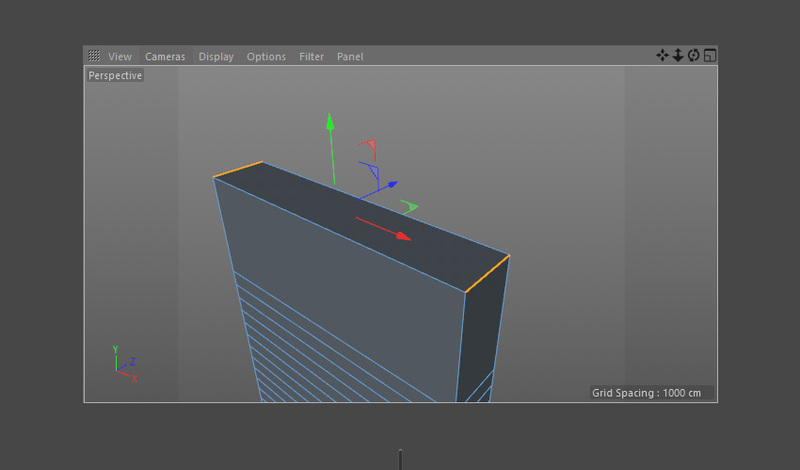 Now that the object is editable, we can edit the points. 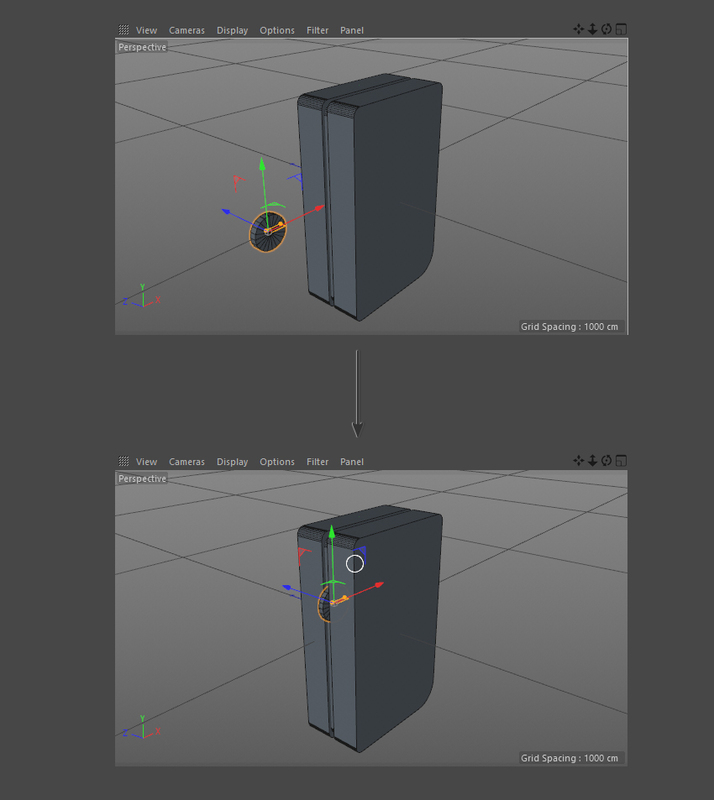 Make sure that the cylinder object is selected and click on Points Button. 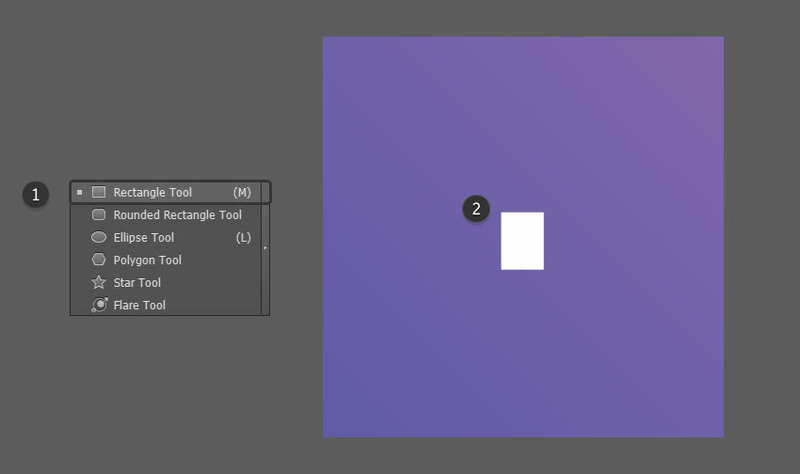 Click on the Rectangle Selection Tool so that we can select the points you wish to edit. Once you’ve selected the points you can move them using the Move Tool. 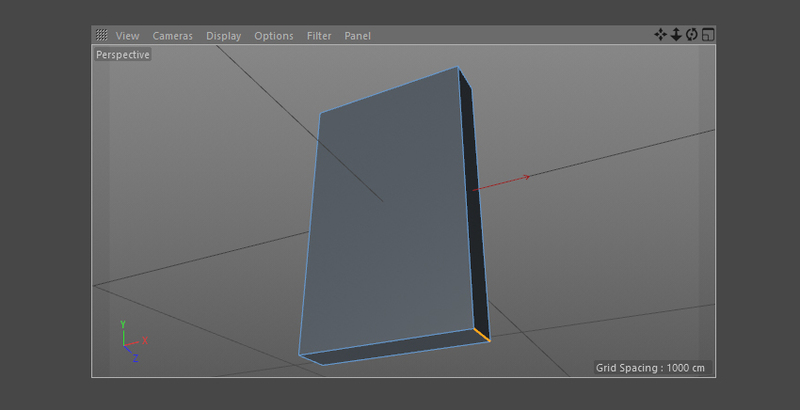 Use the Rectangle Selection Tool to select half of the cylinder. 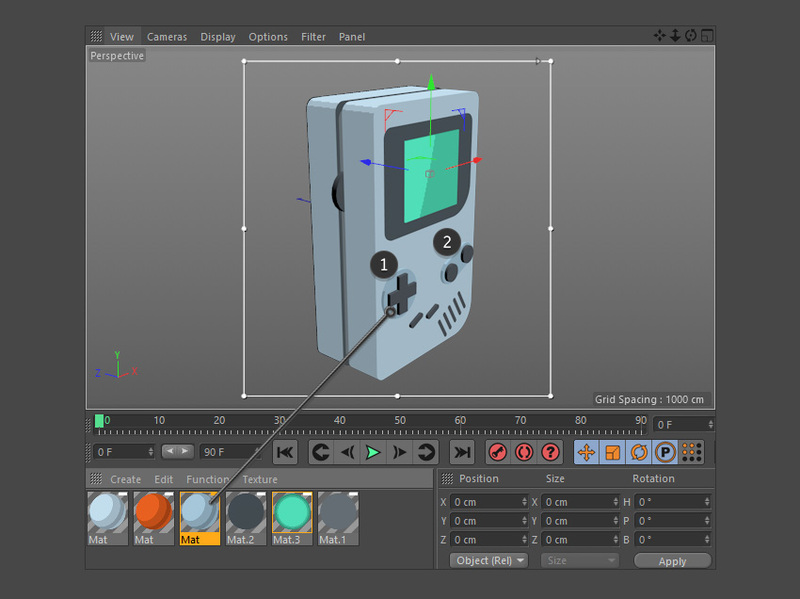 Then use the Move Tool to move the points to the right. 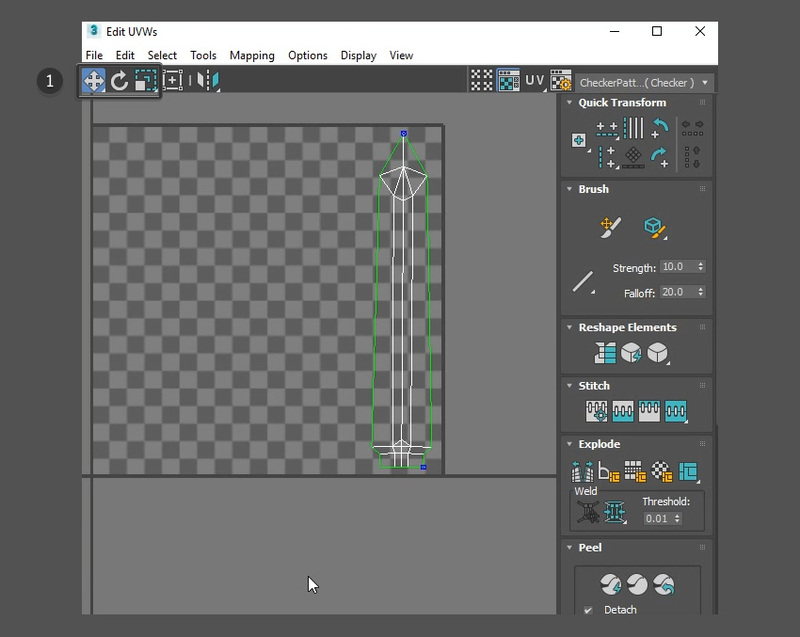 Duplicate the button and use the Move Tool to move the button to the right. 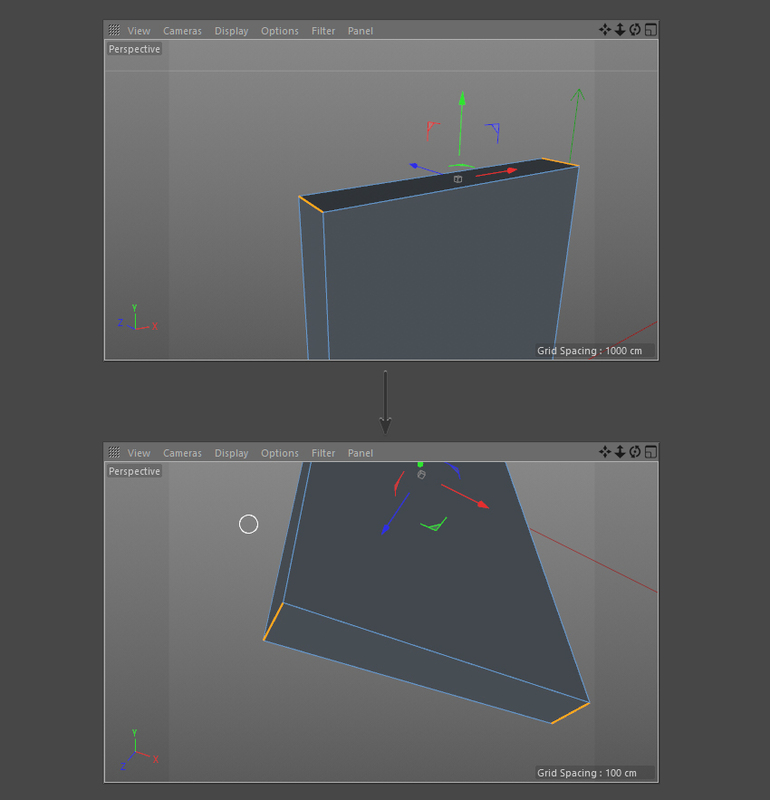 When moving a whole object, select and use the Model button. 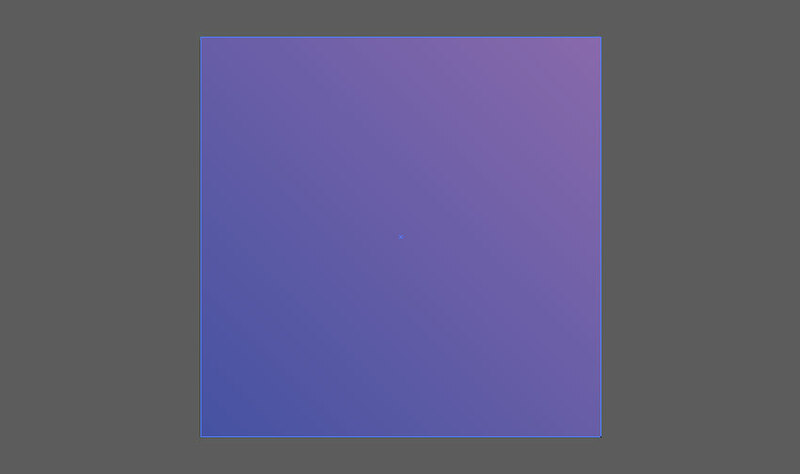 If this is not selected, you may find that you will be moving the points, edges or faces instead. 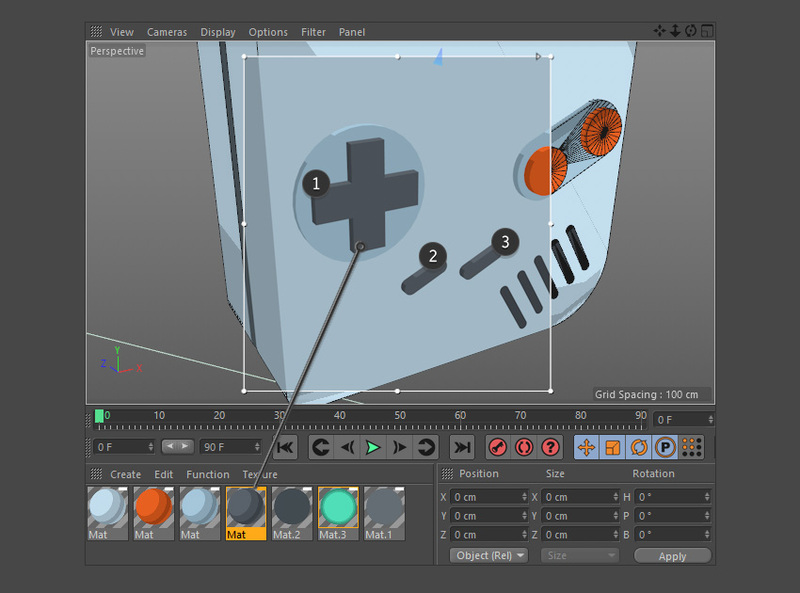 Making sure that you have the Model button turned on, select all three cylinder shapes which now make up your Game Boy buttons. 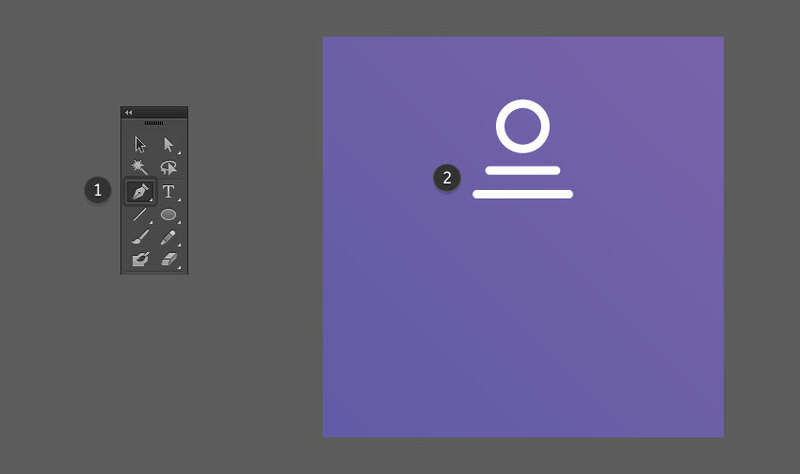 Once all three have been selected, press Alt-G on the keyboard to group them up. 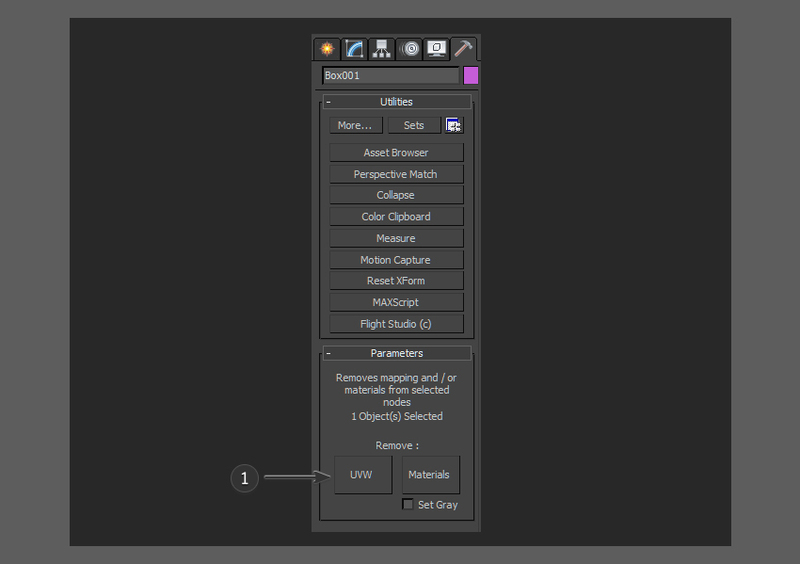 You can then rename the Null by double clicking on it. 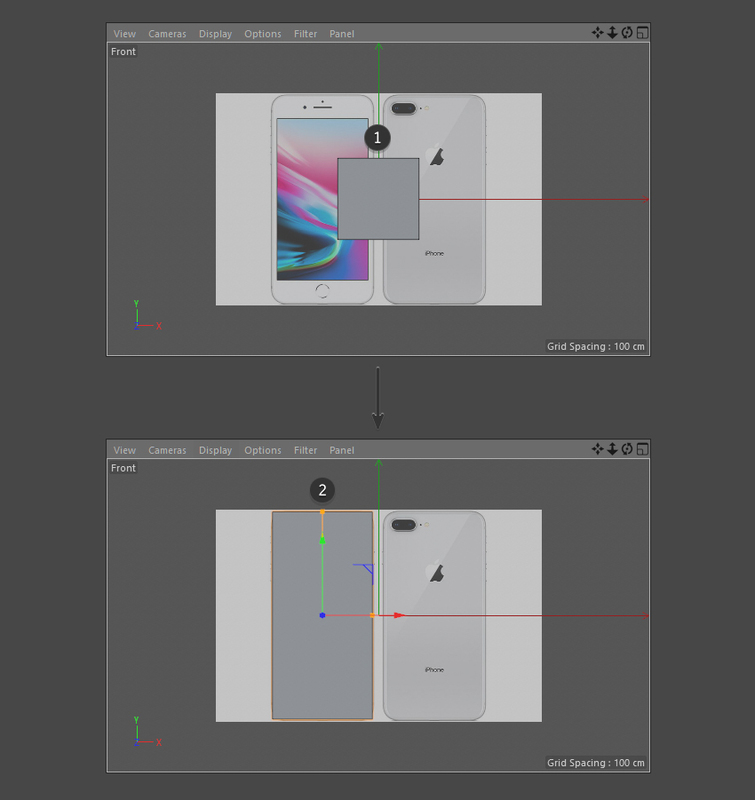 Select the whole group and use the Rotate Tool to rotate the buttons so that it matches the reference image in the front view. 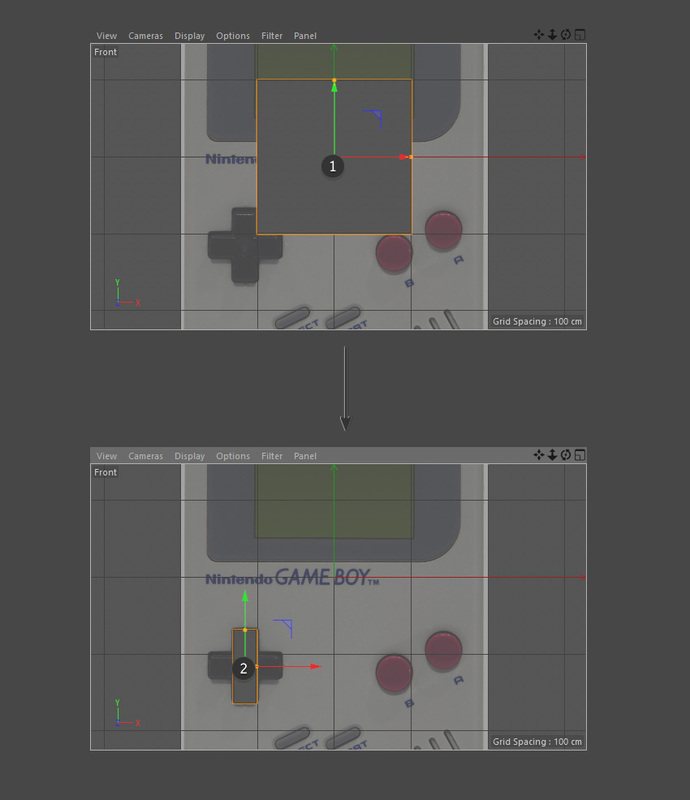 To create the D-Pad, use a similar technique to creating the Game Boy buttons. 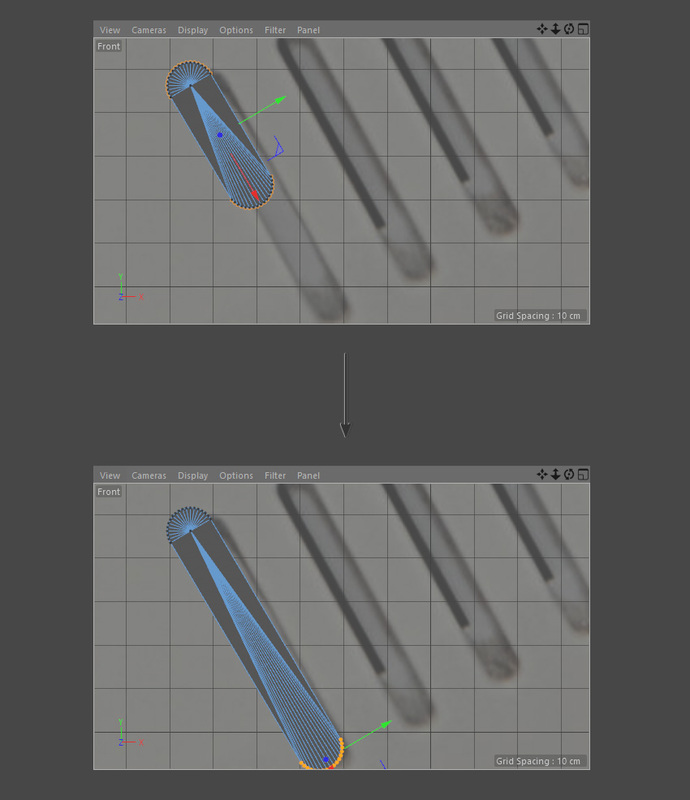 First, create the background cylinder. 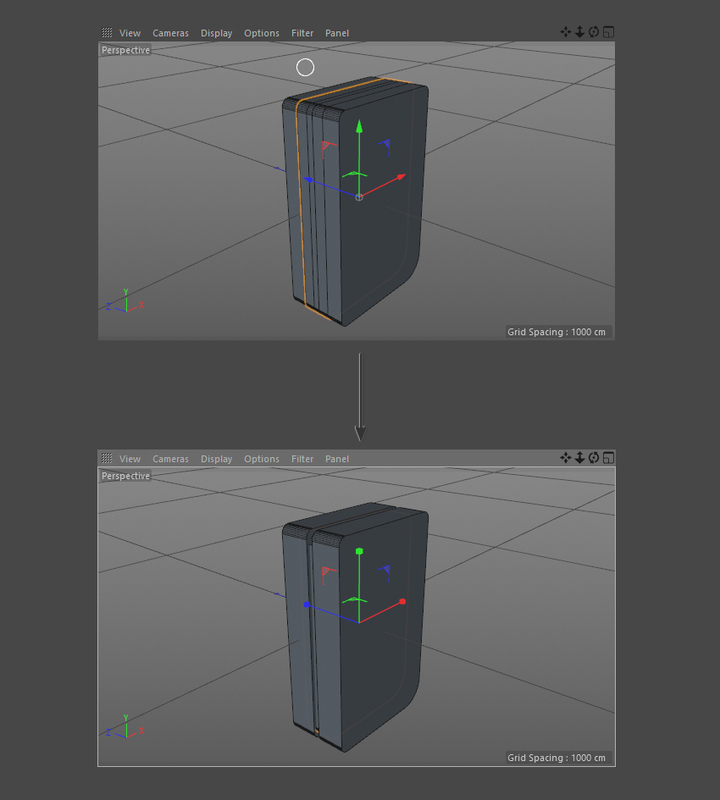 To do this click on the small back arrow on the Cube button and select Cylinder from the list of options. 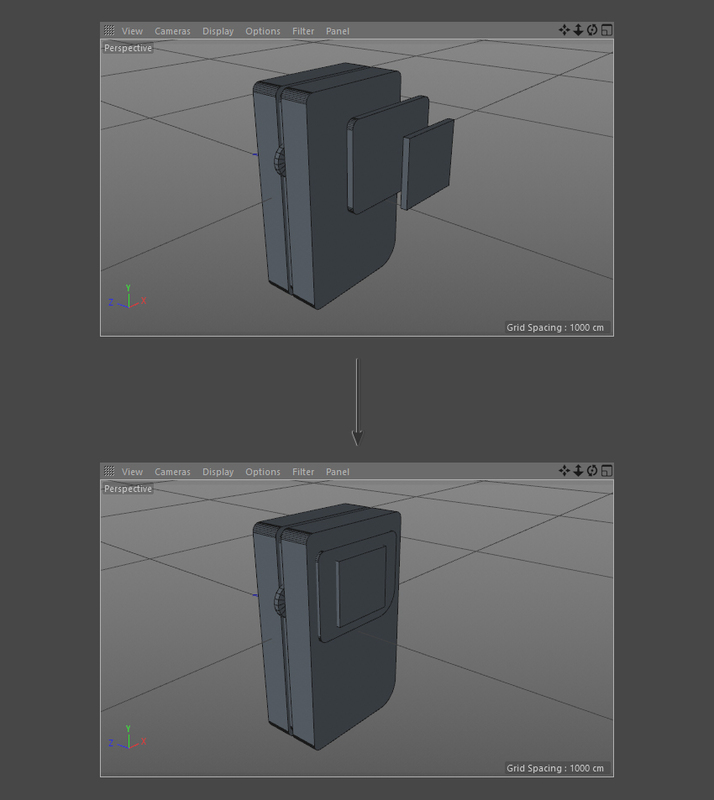 This will spawn a cylinder in the scene. 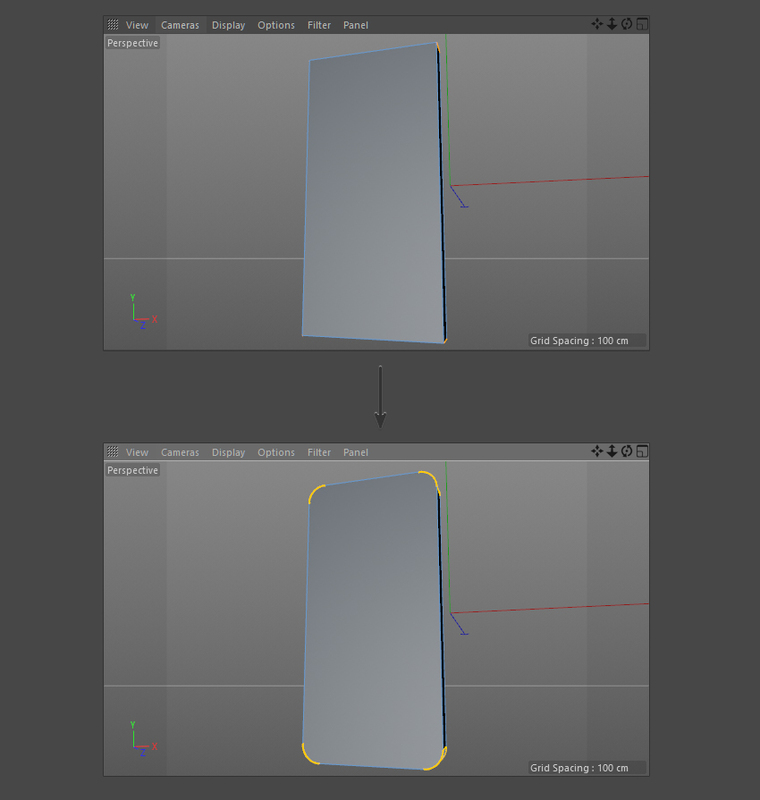 Resize the cylinder using the shape parameters window so that it fits roughly around the size of the D-Pad. 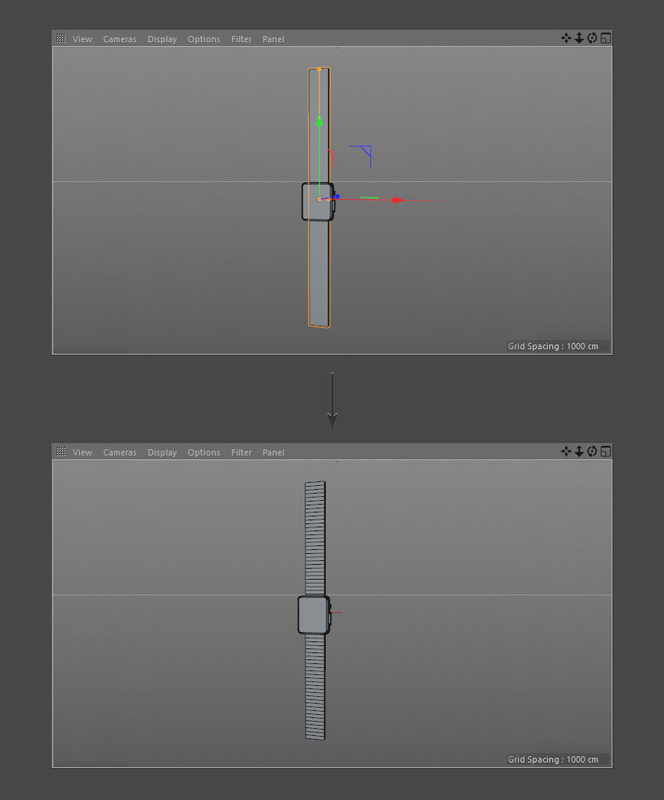 Then use the Move Tool to move the cylinder shape in place. 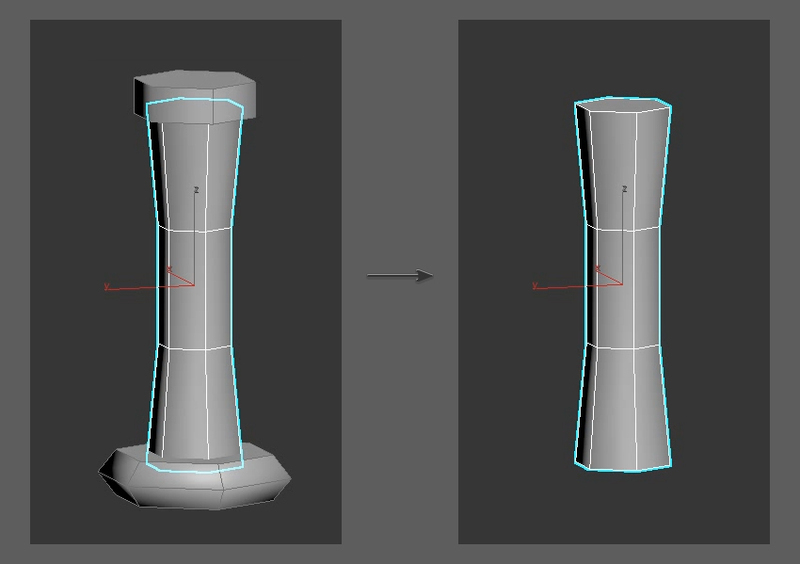 With the cylinder shape selected you can use the parameters window to adjust the radius, height and rotation segments of the cylinder. 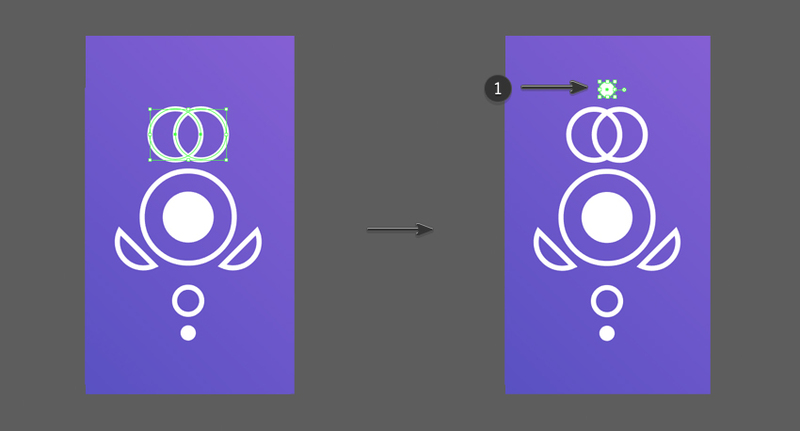 The more segments you create, the smoother the circle will become. 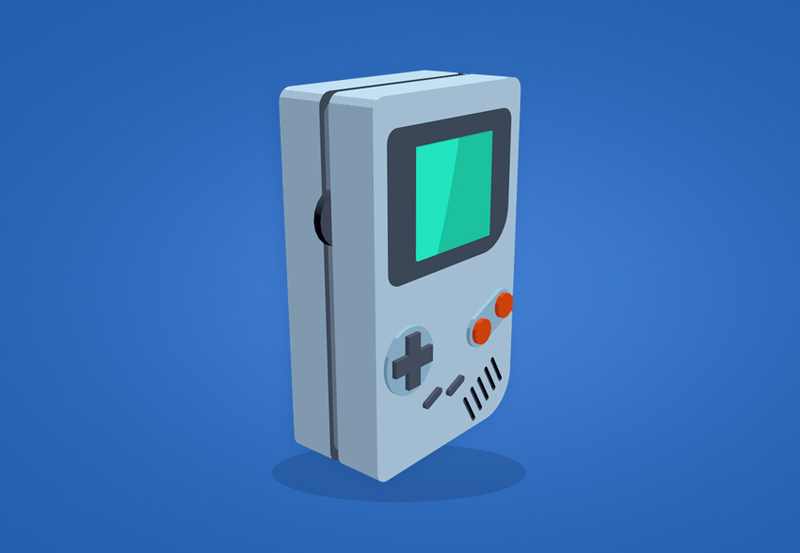 We also want to make sure that the height is not too large, as this shape will only be used on the surface of the Game Boy. 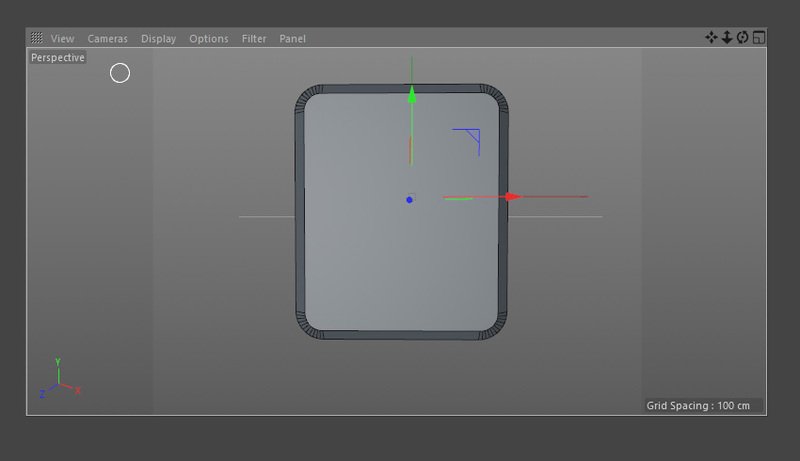 Create a cube and use the parameters window again to adjust the shape so that it is roughly the same shape as half of the D-Pad. With the new cube shape selected you can use the parameters window to adjust the size or the D-Pad. 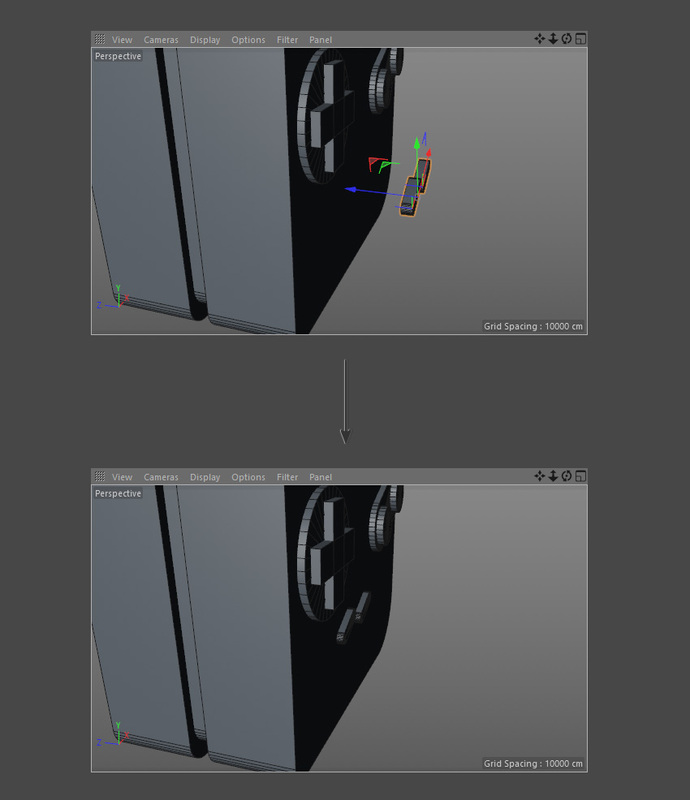 This object will need to be duplicated in order to create the second half of the D-Pad. 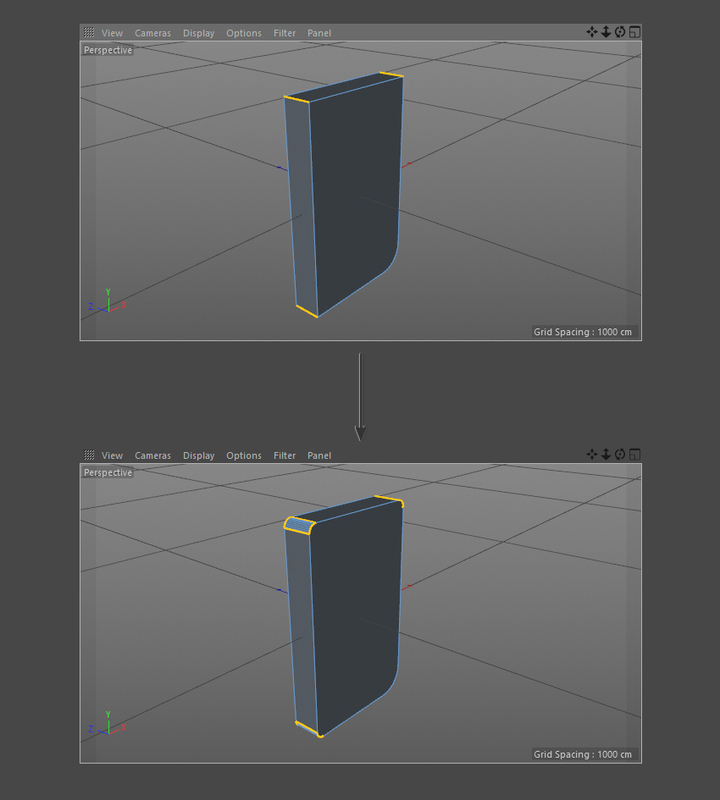 To duplicate this shape, select the cube from the object list. 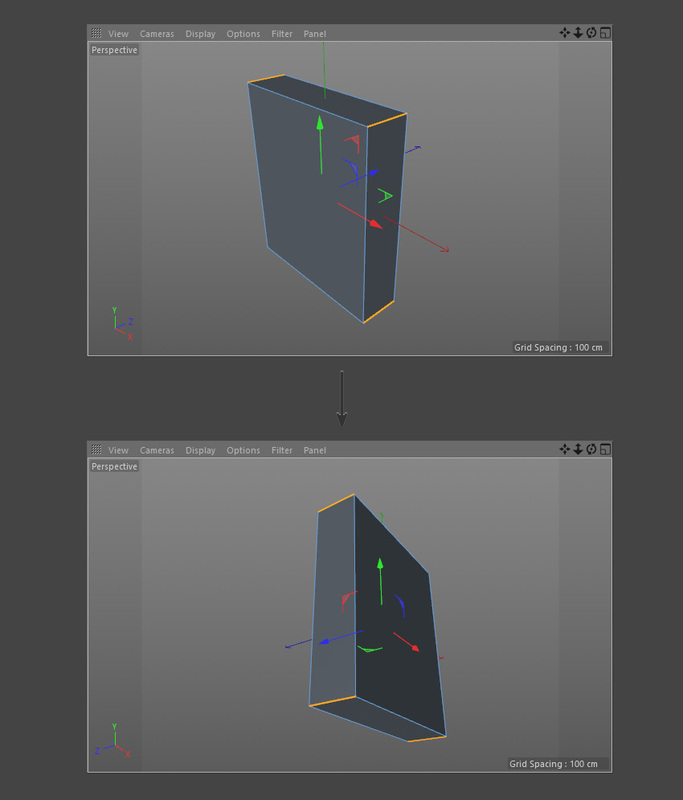 Press the CTRL button on the keyboard and click and drag the cube object. 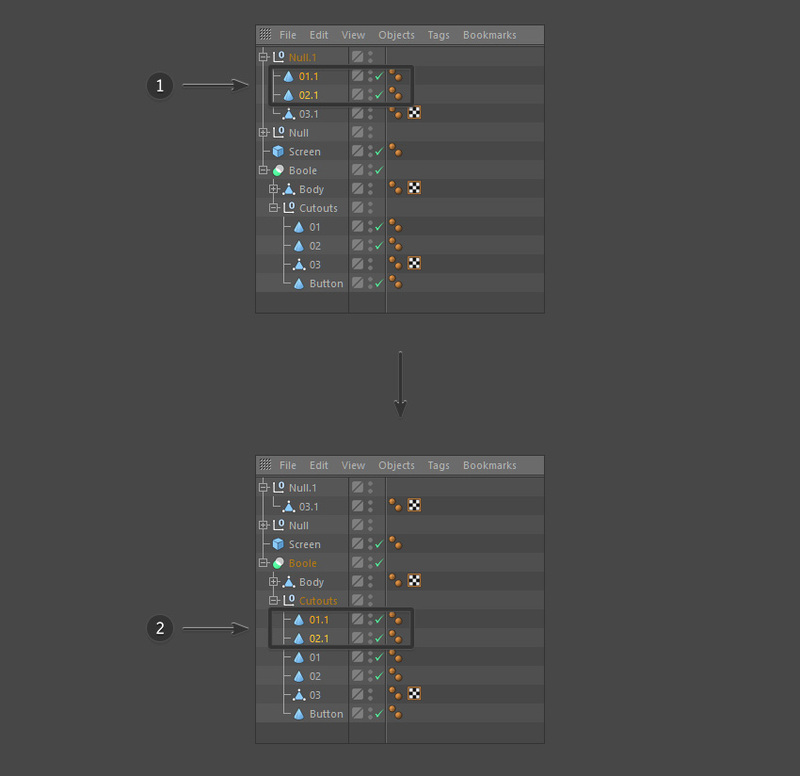 Place the duplicate cube object on the list. 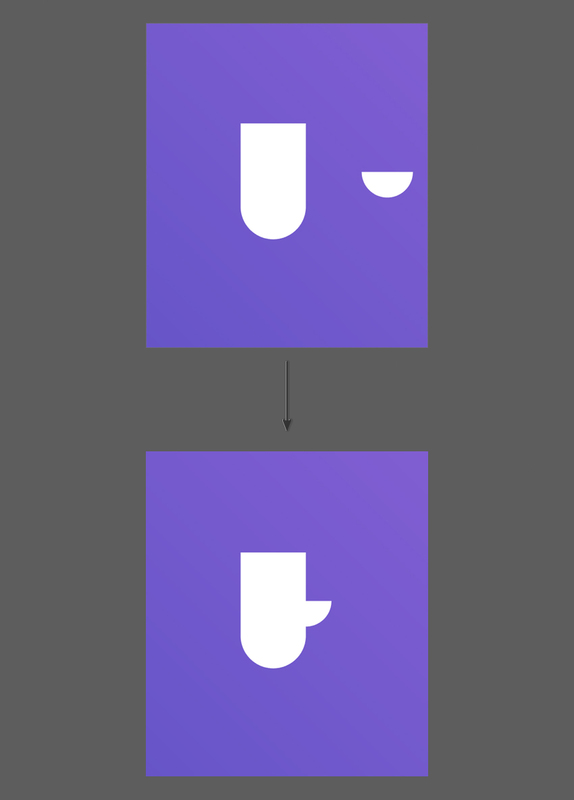 This way of duplicating an object means that both objects are exactly the same in exactly the same position. 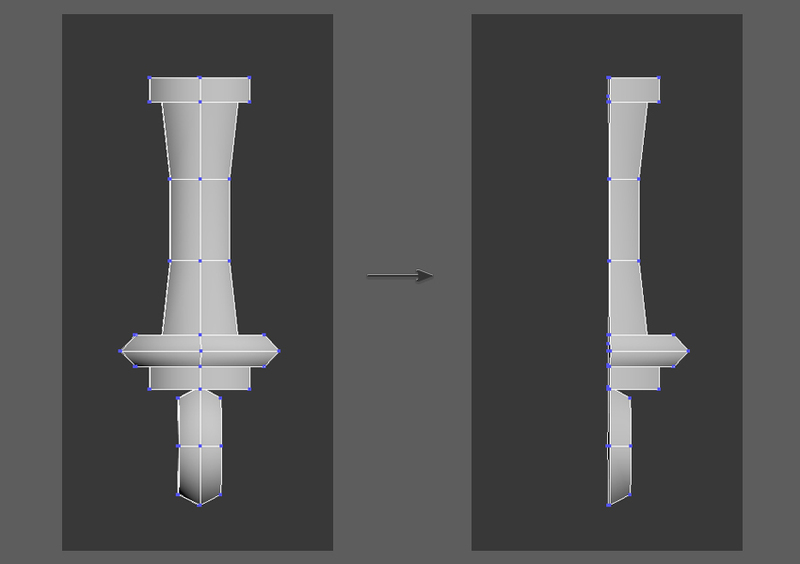 Rotate the new D-Pad object using the Rotate Tool and rotate it by exactly 90 degrees. 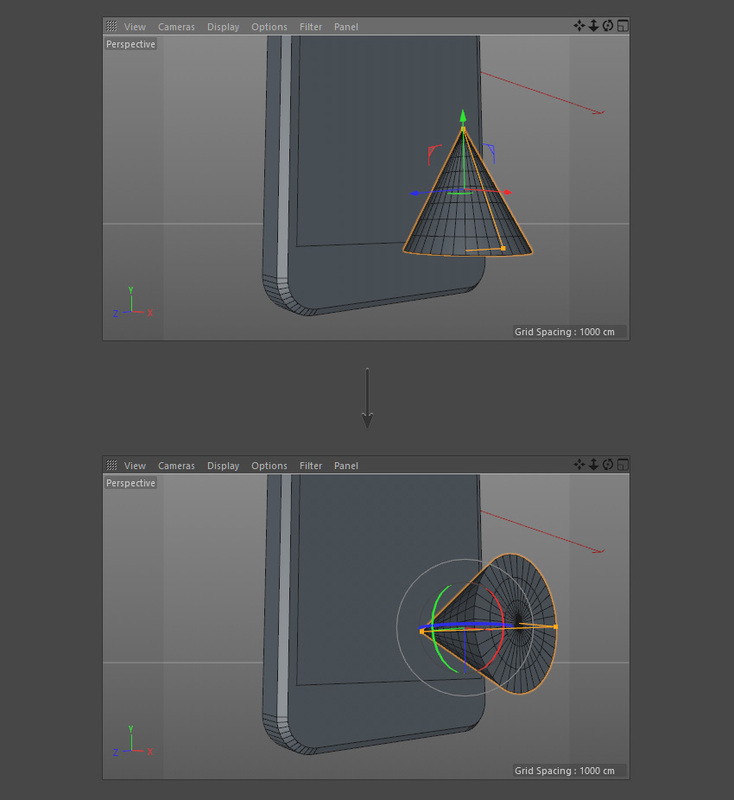 Make sure that you use the other camera views to ensure that the D-Pad placement is correct and moved to the right area. 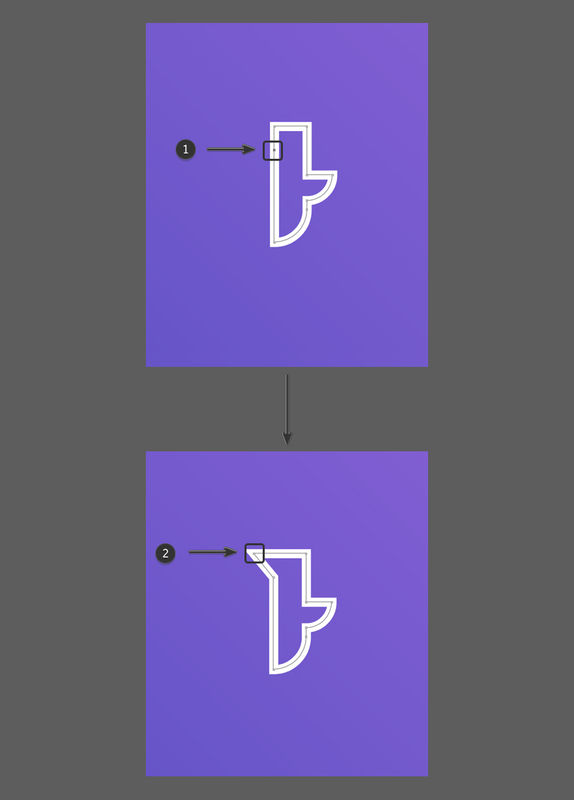 Because the start and select buttons have a very similar shape to the shape that was created for the background for the buttons, duplicate the same shape. 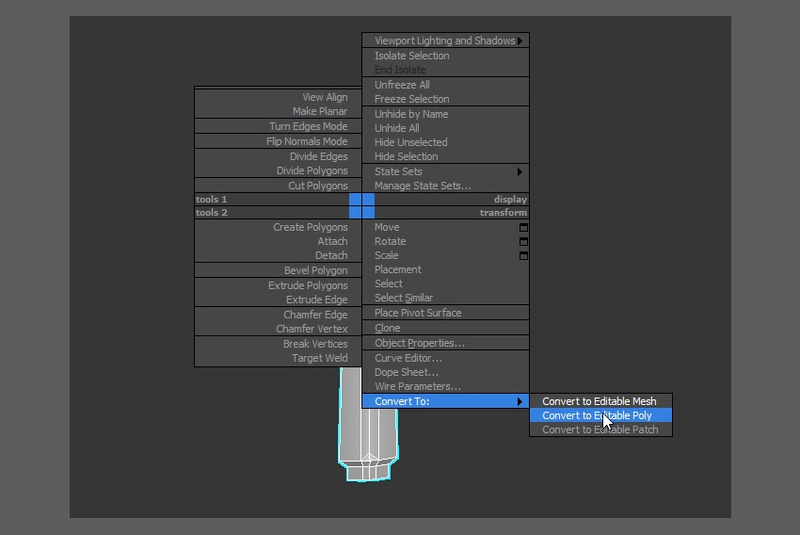 Do this by pressing and holding the CTRL button on the keyboard and clicking and dragging the object using the Move Tool. 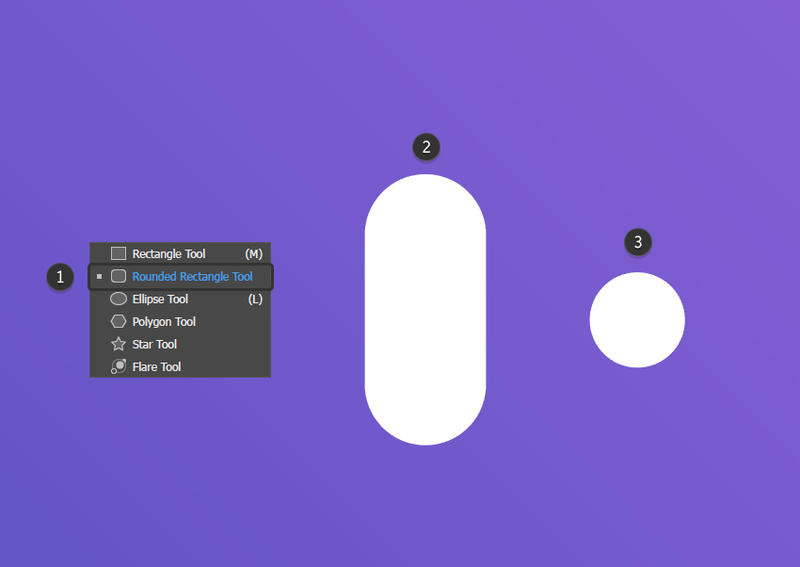 With the new object selected, use the Scale Tool to make the shape around the same size as the start and select buttons in the reference image. 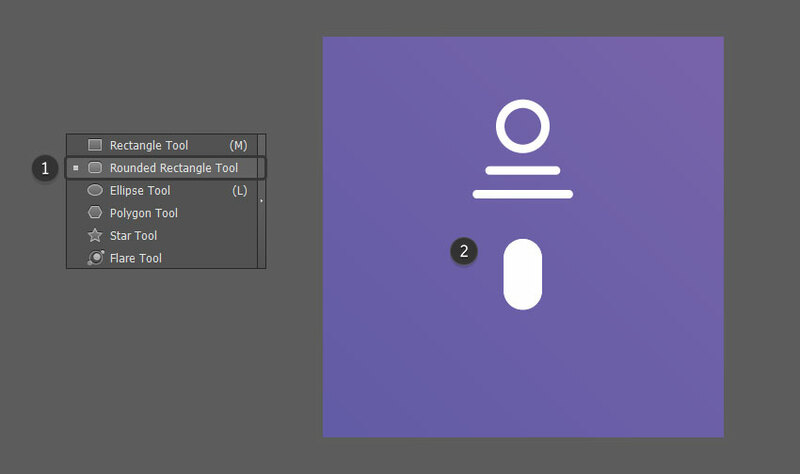 Ensure that you click on the background instead of the coloured icons when using the tool if you want to scale uniformly. 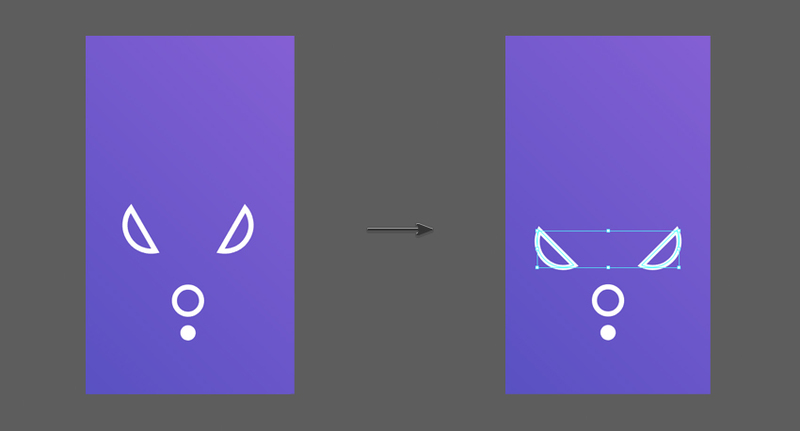 Use the Move Tool and combine it with the Points Selection Tool to move the rounded corners of the shape so that it fits the length of the start and select button (as shown in the background reference image). 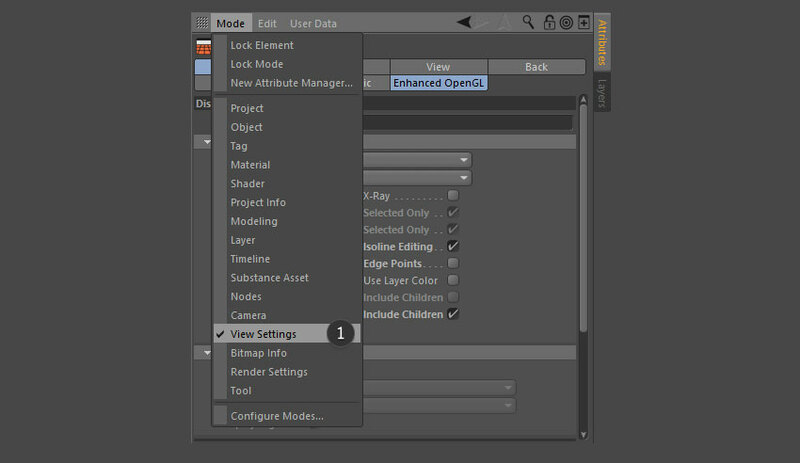 Ensure the you have the object and Move Tool selected. Hold the CTRL button on the keyboard and click and drag the button to duplicate it. 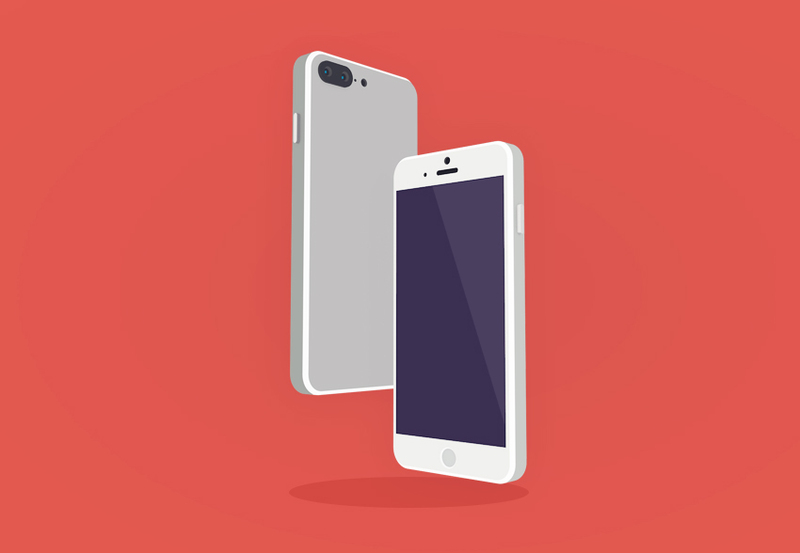 Ensure that you use the other camera views to ensure that the start and select button placement is correct and moved to the right area. 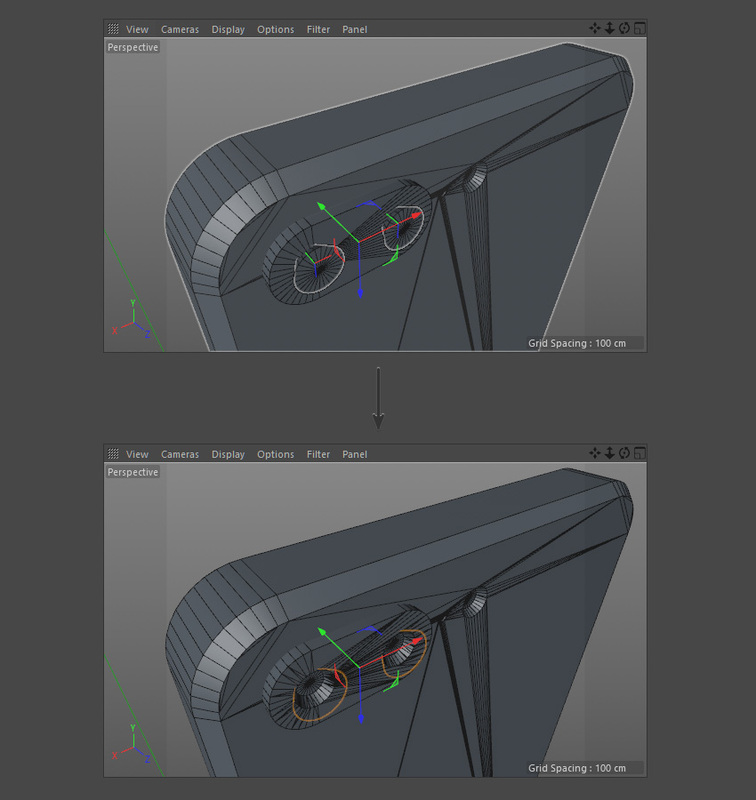 Because the speakers have a very similar shape to the shape that was created for the start and select buttons, we will be duplicating the same shape. 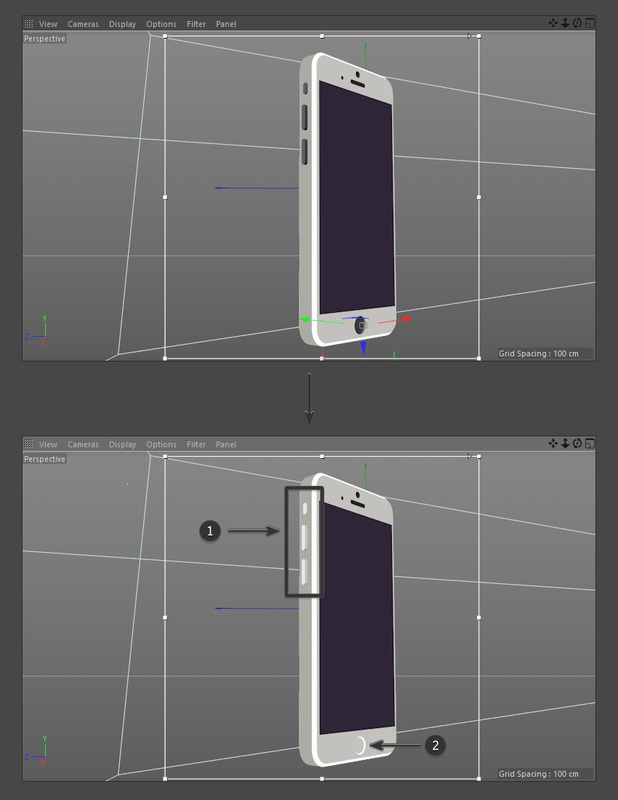 Use the Rotate Tool to rotate the shape so that it fits the angle shown in the reference image. 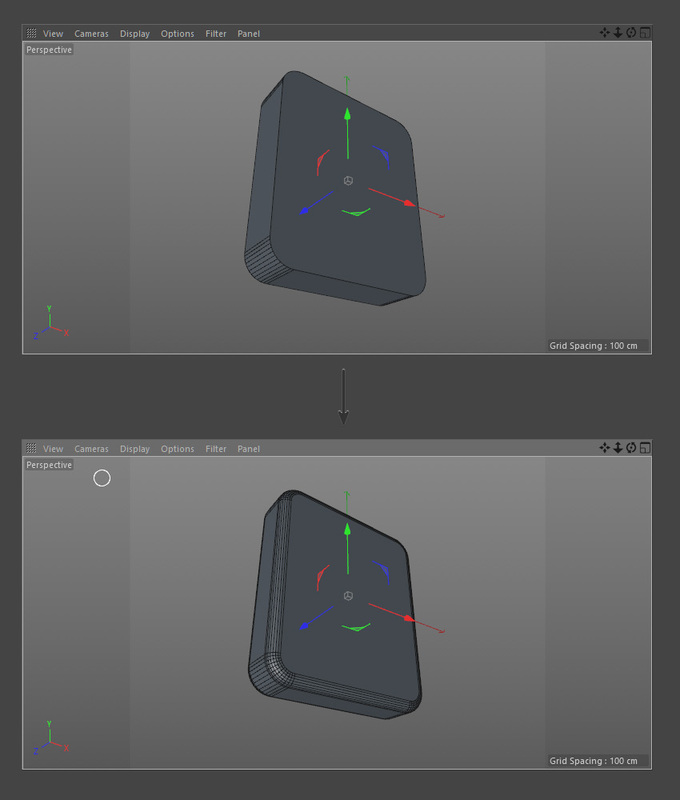 Use the Scale Tool so that the size roughly fits that of the speakers in the reference image. 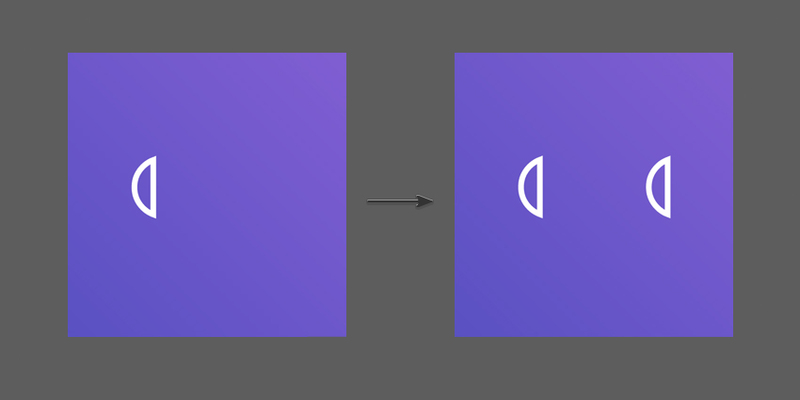 Use the Move Tool and combine it with the Points Selection Tool to move the rounded corners of the shape so that it fits the length of the speakers (as shown in the background reference image). 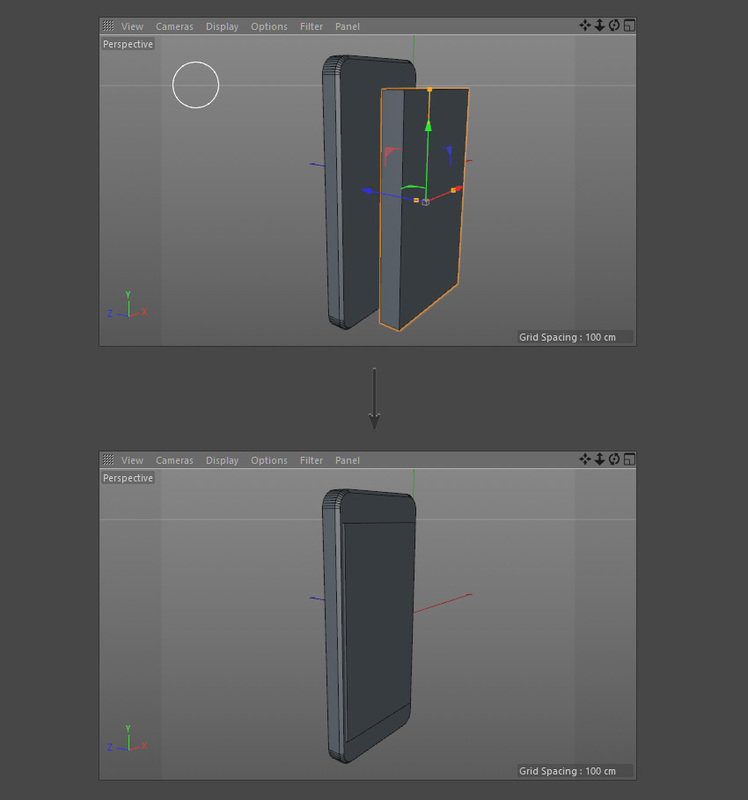 Ensure that the length of the shape roughly fits that of the speakers in the reference image. 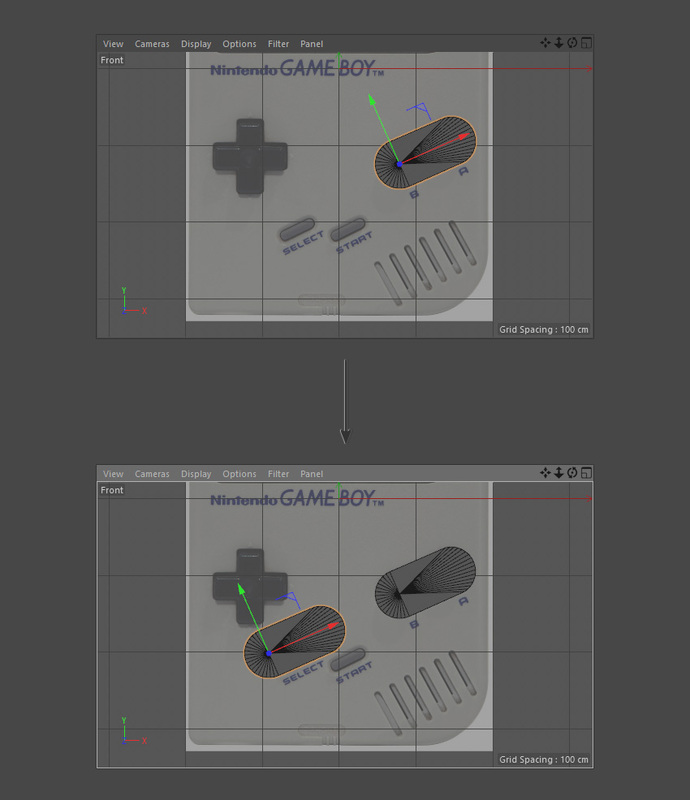 Duplicate the object several times until looks roughly the same as the shape of the Game Boy speakers. 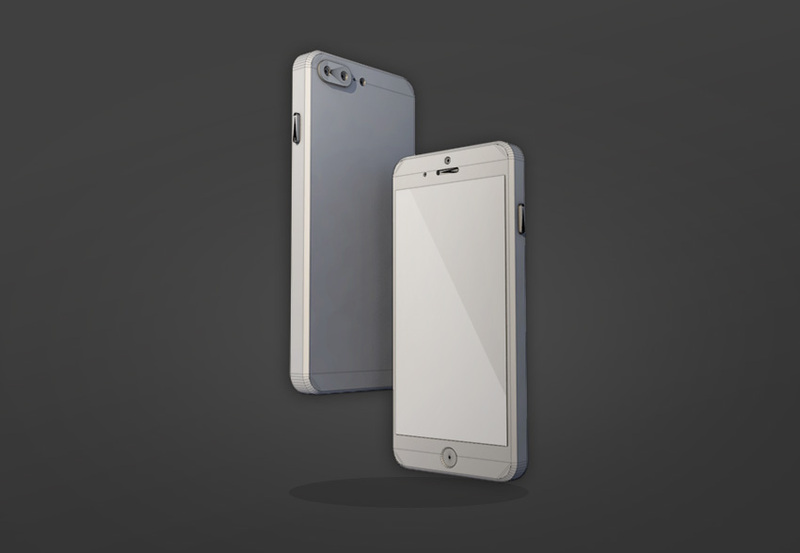 Ensure that you use the other camera views to ensure that the placement is correct and moved to the right area. 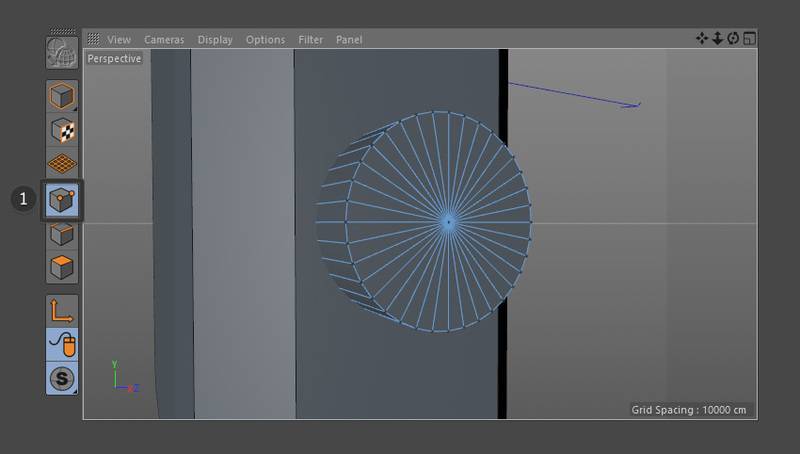 Select Boole by clicking on the small arrow on the bottom right of the Array button at the top of the screen. Select the objects that you want the Boole to effect. 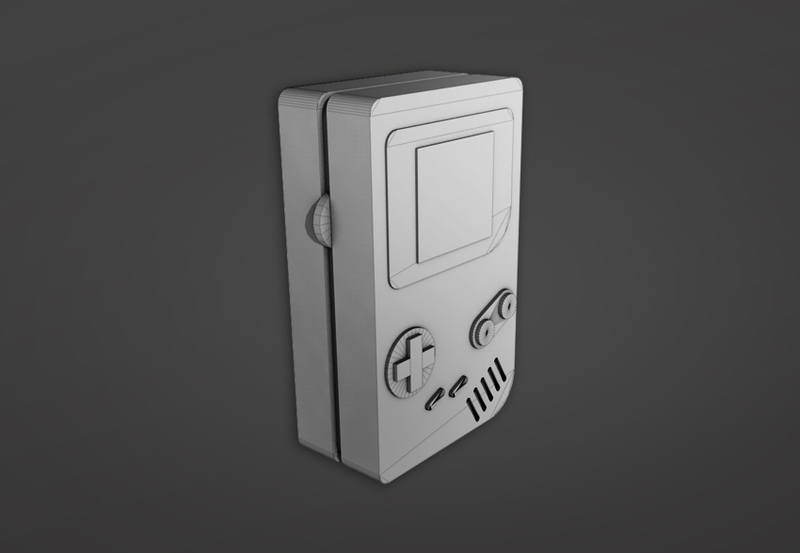 This will be the front part of the Game Boy and the speakers (which have been grouped together using Alt-G). 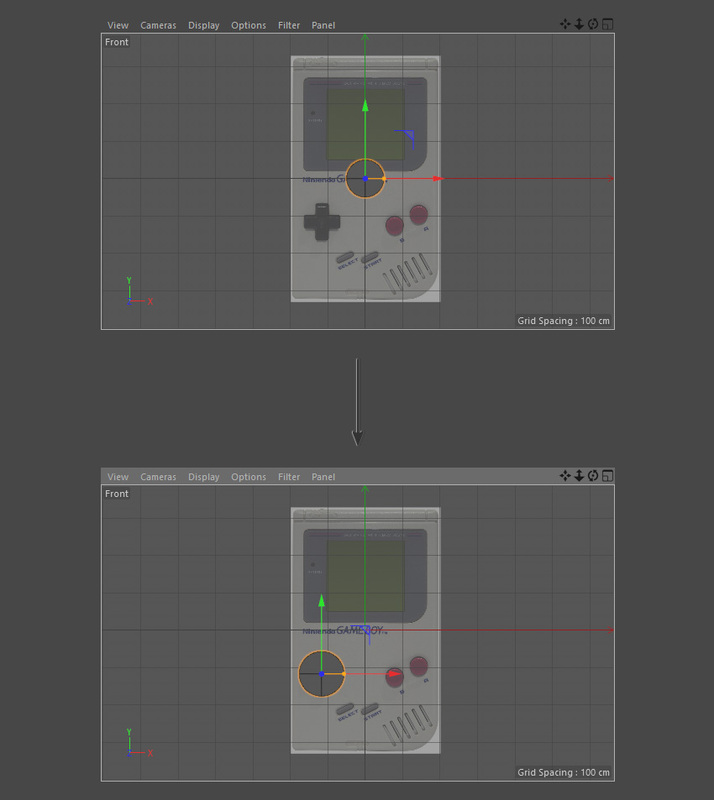 Put both objects into the Boole and make sure that the speakers group is placed below the Game Boy body. 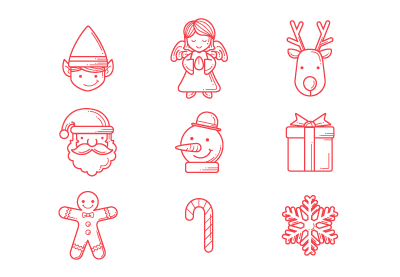 By using the Boole create cut outs using the shapes created. 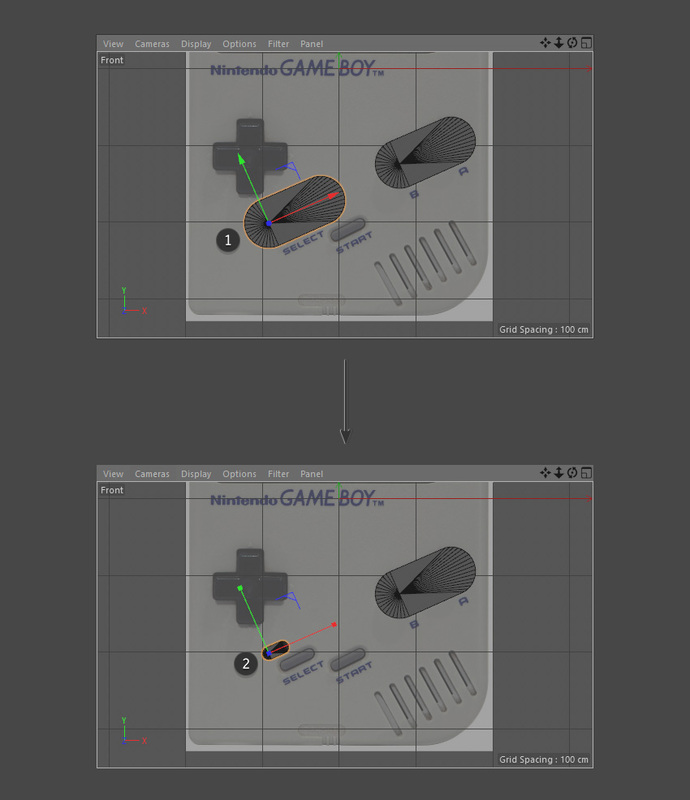 Use the different camera angles to double check the Game Boy model to make sure that it looks correct. 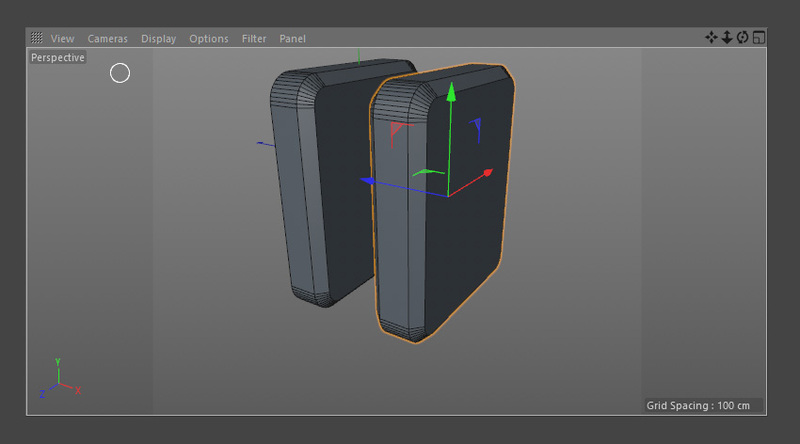 Some of the skills you’ll learn in this tutorial include creating basic 3D shapes, modelling techniques and preparing topology for texturing. 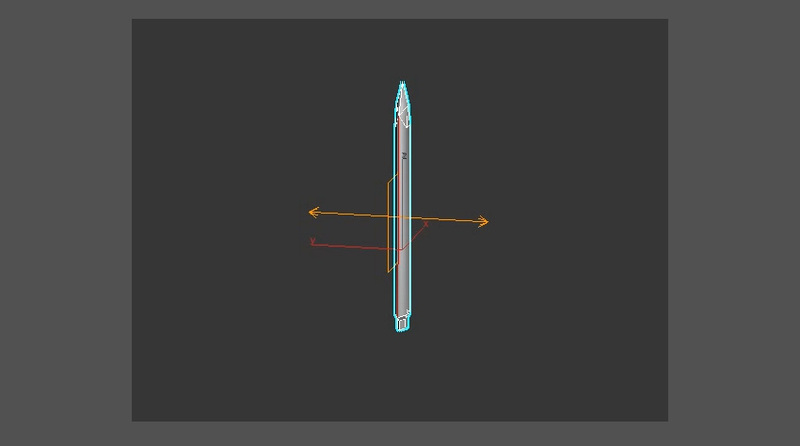 In this section of the tutorial I’ll go through how to prepare the model so that I can unwrap it. 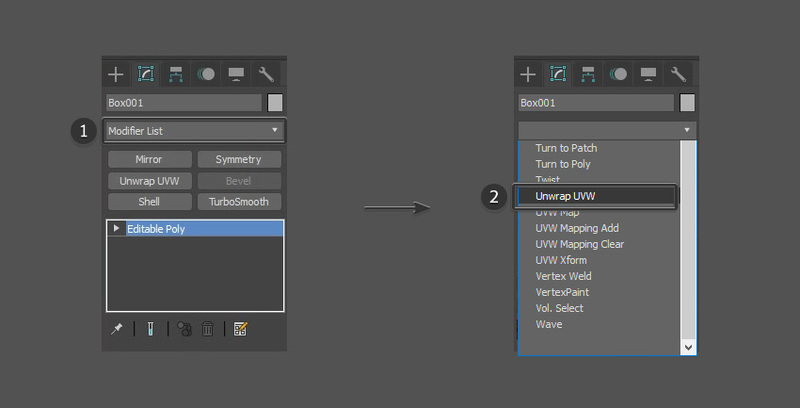 Both UVW Remove and Reset Xform must be performed before attempting to unwrap any of the sword parts. 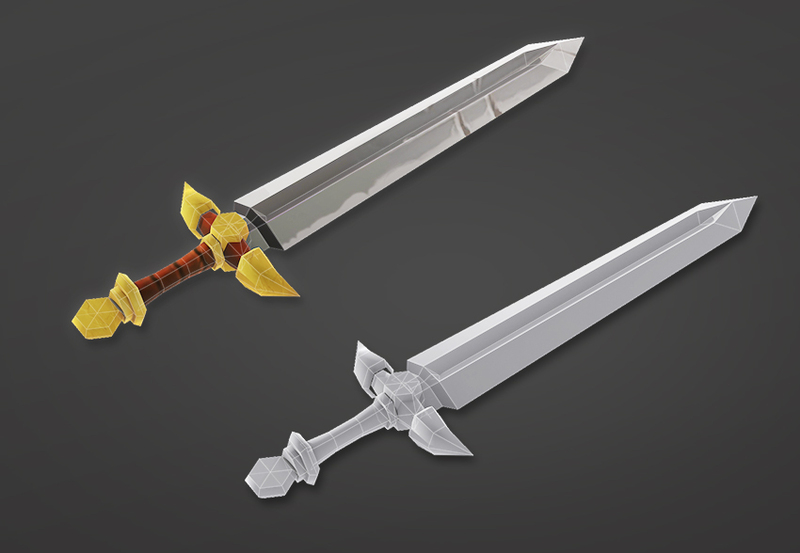 Ensure that you’ve selected the sword part that you want to unwrap (blade, handle, hand guard etc.). 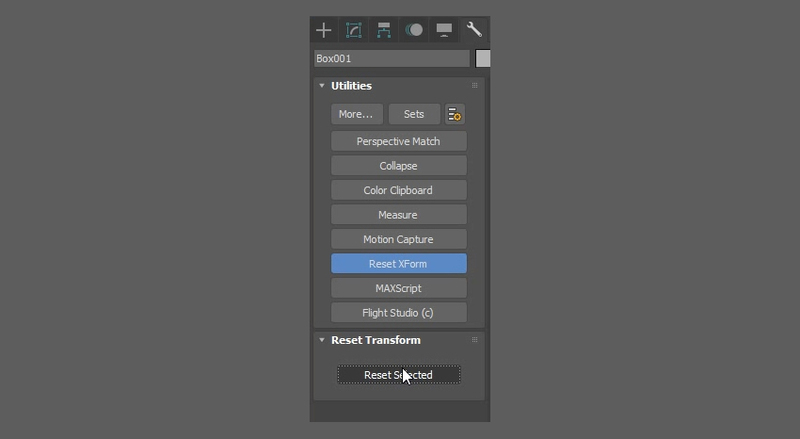 Go to the Utilities Tab and click on the Reset XForm button and then click on the Reset Selected button. 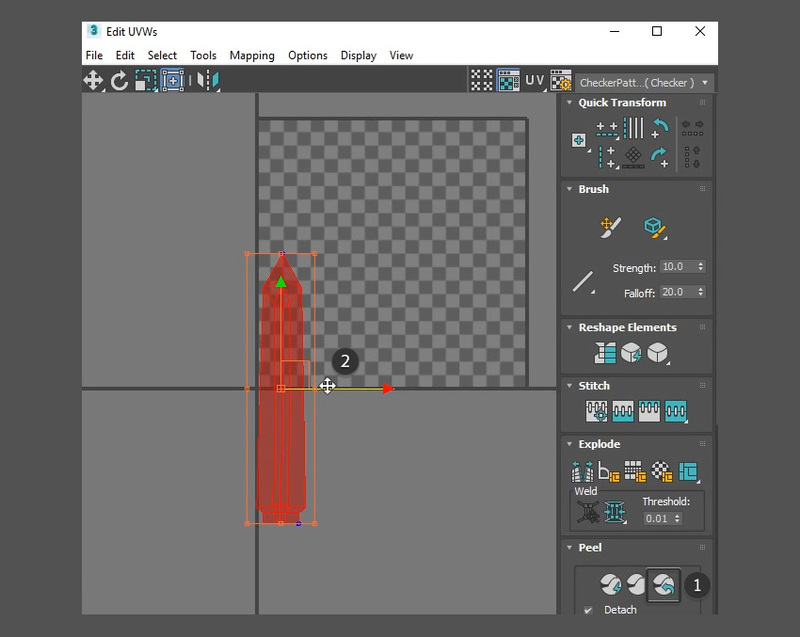 To begin unwrapping the blade, ensure you’ve selected it and ensure you’ve followed both sections five and six of this tutorial—UVW Remove and Reset XForm. 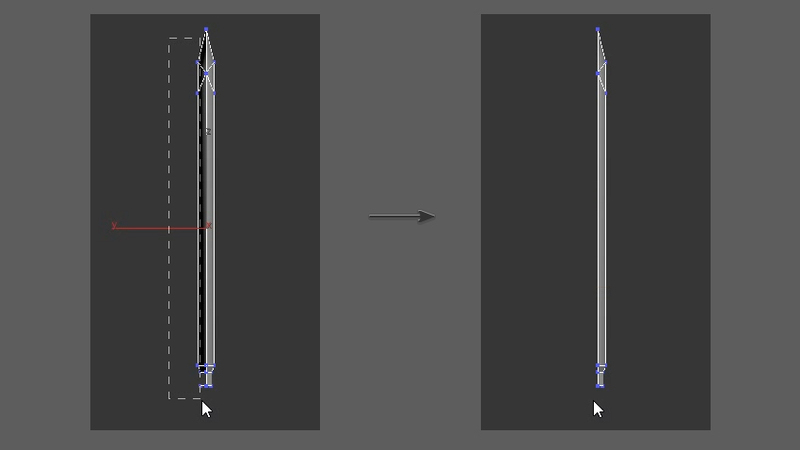 To make the next step easier ensure that you’re viewing the blade from the side view. 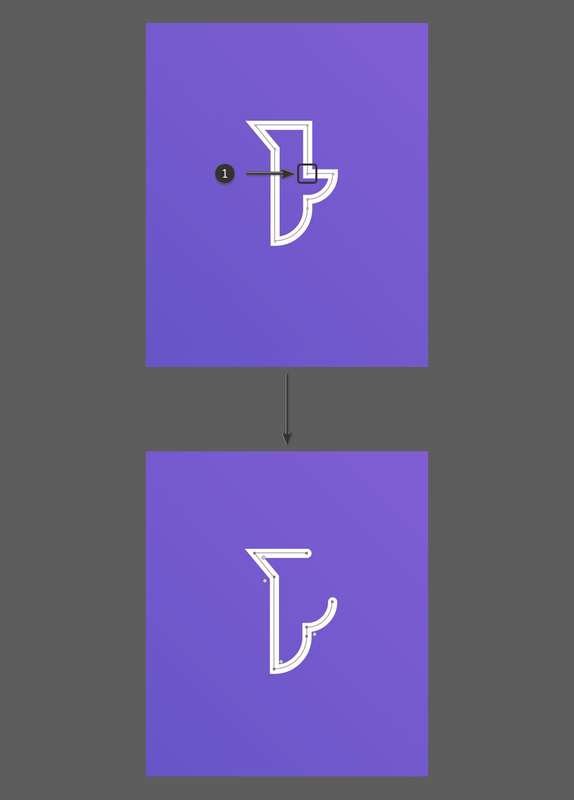 Repeat the same process for the horns. 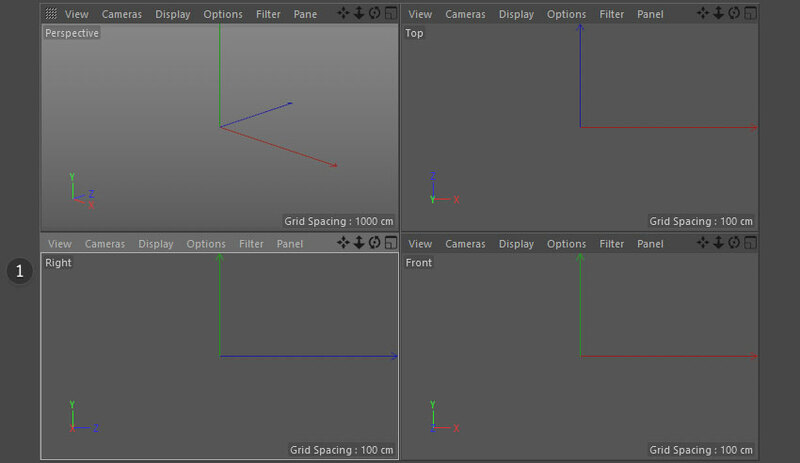 However I’ll only need one half as this will be duplicate four times because we only need one half for the texture map. 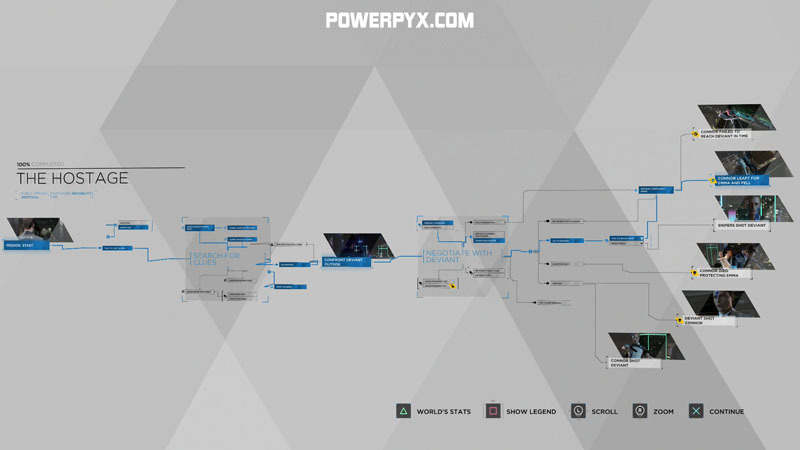 This tutorial is different from my earlier tutorials as this one is oriented towards game jams and game prototyping, specifically card games. 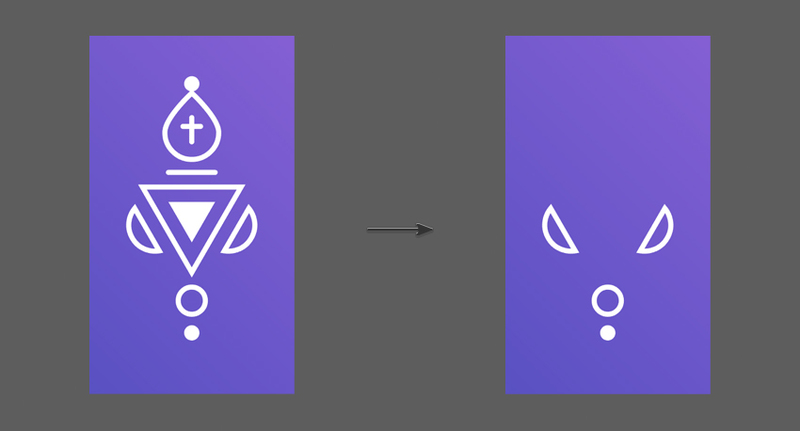 We are going to create a 2D playing card deck in Unity without using any art—purely with code. A playing card deck has a total of 52 cards with 13 cards each of 4 different symbols. 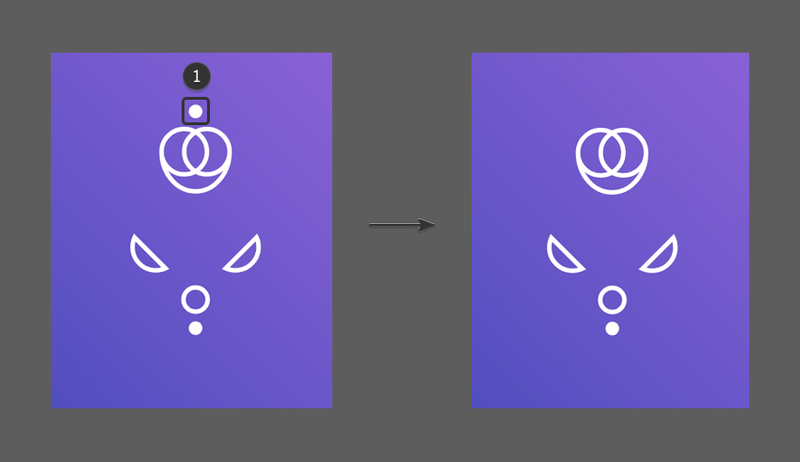 In order to create one using code, we will need to create these 4 symbols, the rounded rectangular base for the card, and the design on the back of the card. The design on the back of the card can be any abstract pattern, and there are numerous ways to create one. 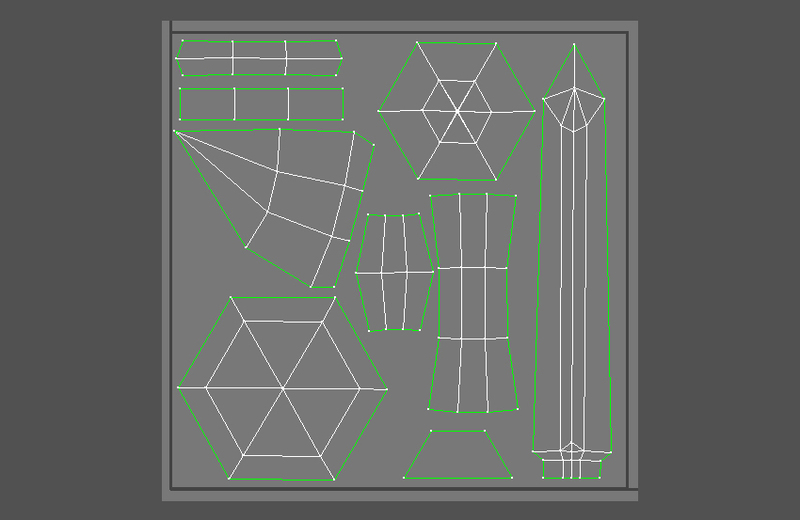 We will be creating a simple tileable pattern which will then be tiled to create the design. We won’t have any special design for the A, K, Q, and J cards. 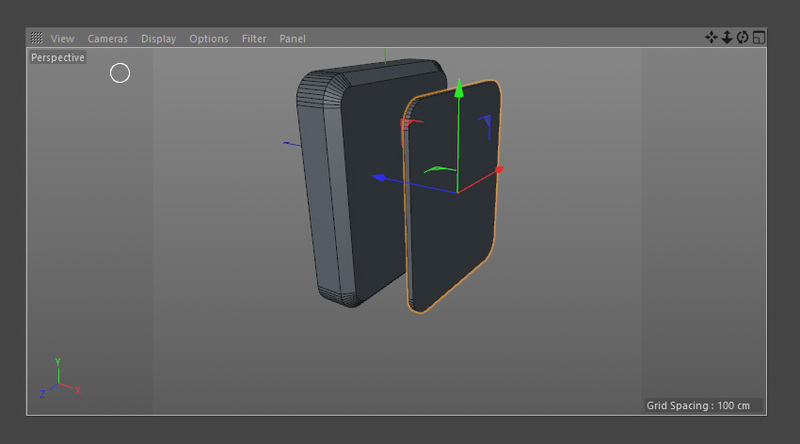 Before we start, I have to mention that there are easier solutions out there which we can use to create a deck of cards. Some of those are listed below. 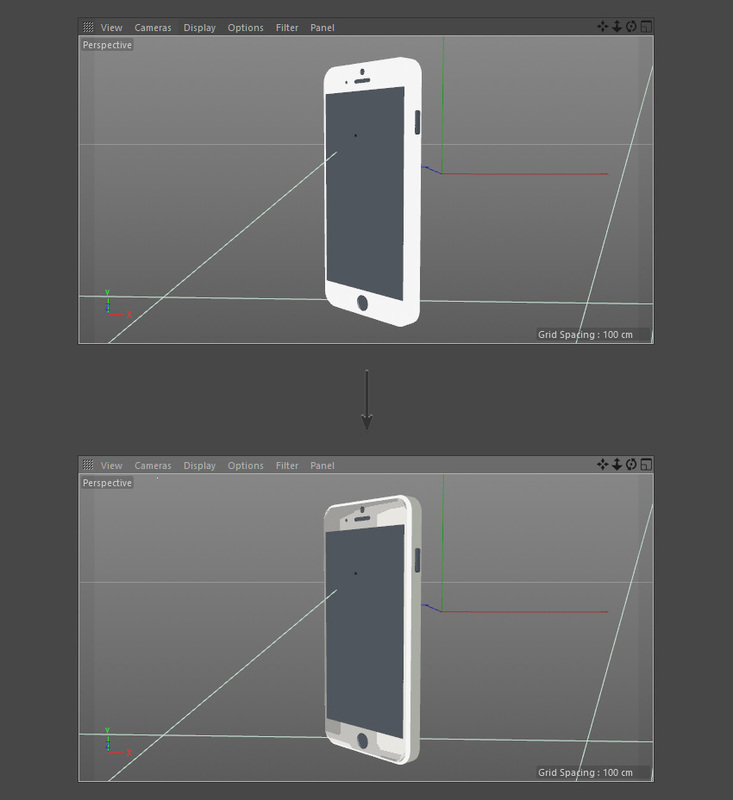 The obvious one is to use pre-rendered art for all the designs. 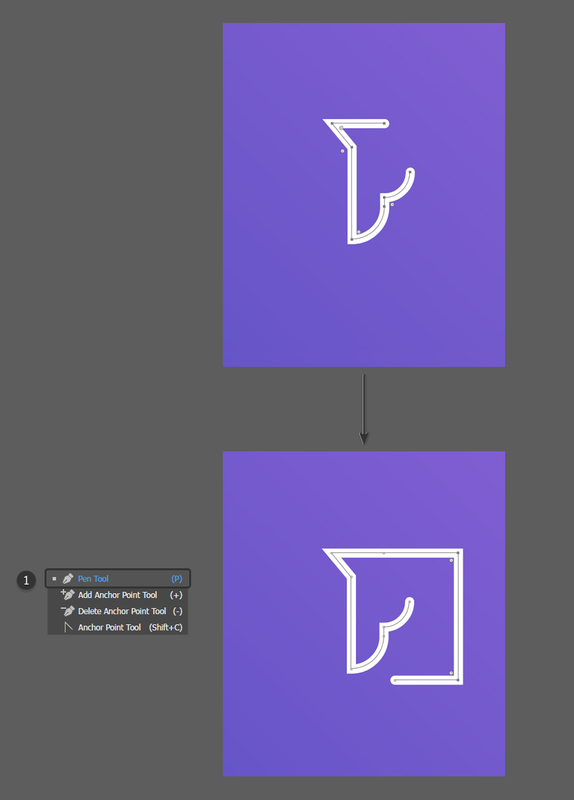 The less obvious one is to use a font which contains all the necessary symbols. 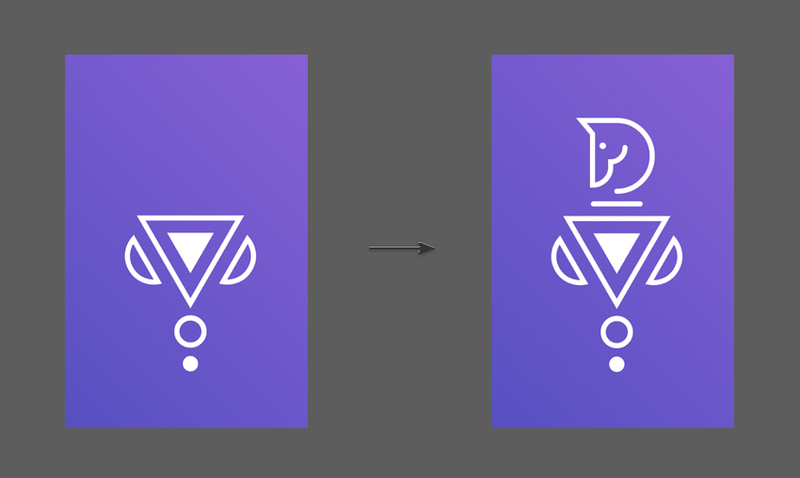 We can also turn the said font into a bitmap font to reduce draw calls and increase performance. 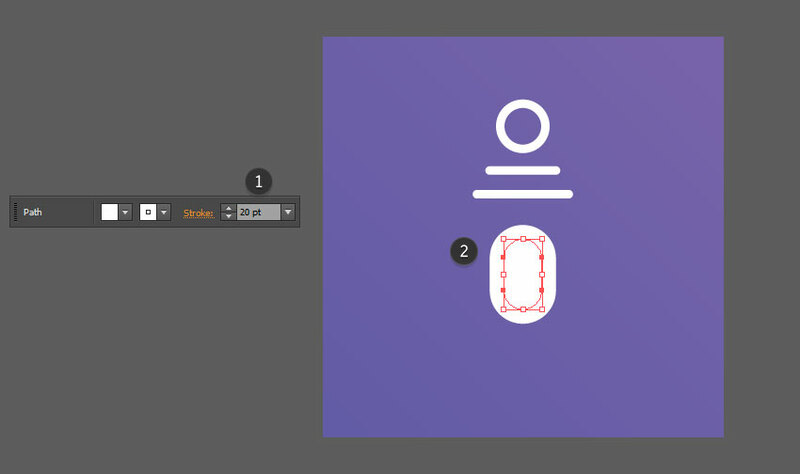 The font-based solution is the fastest and easiest one if you want to do quick prototypes. 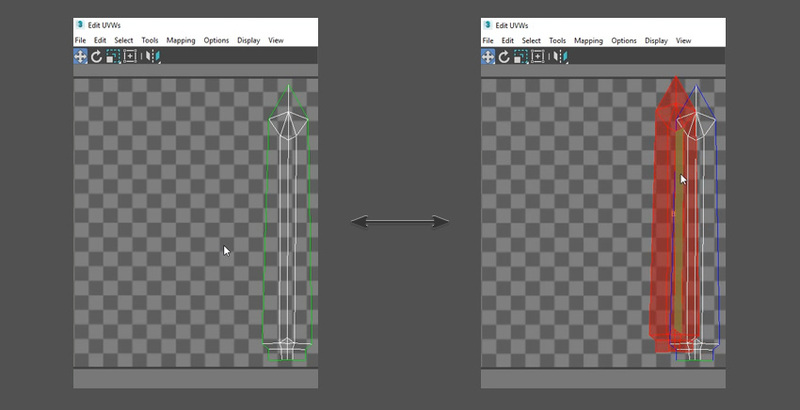 The first step is to learn how to create a Texture2D using code which can then be used to create a Sprite in Unity. 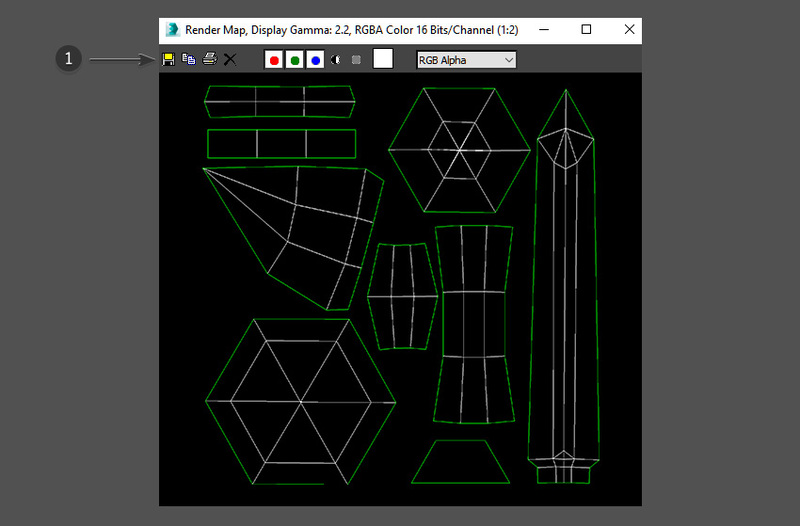 The following code shows the creation of a 256×256 blank texture. 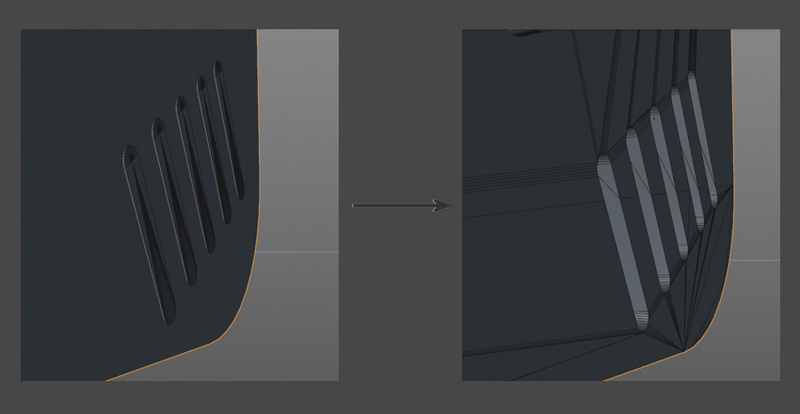 The idea is to draw all the designs onto the texture before we use the Apply method. 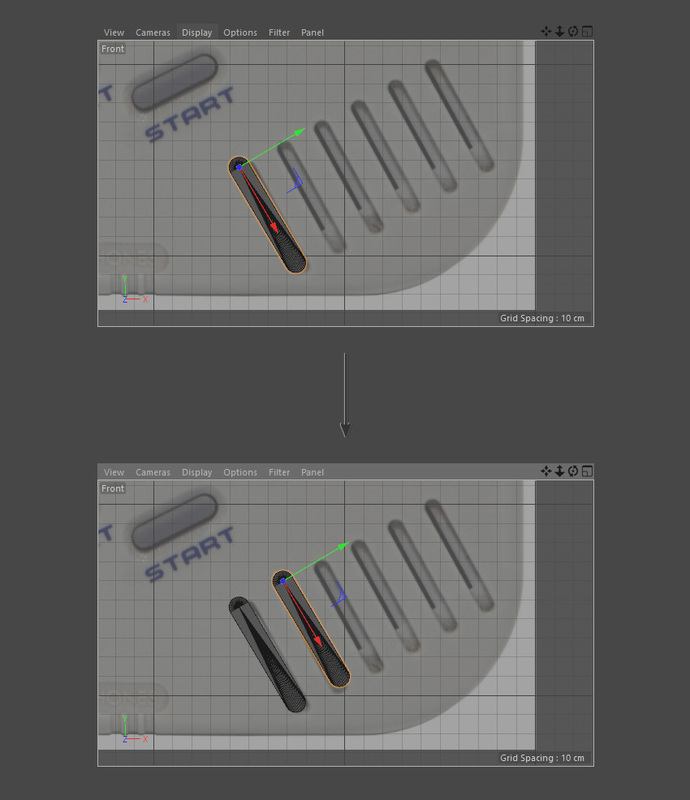 We can draw designs onto the texture pixel by pixel using the SetPixel method, as shown below. 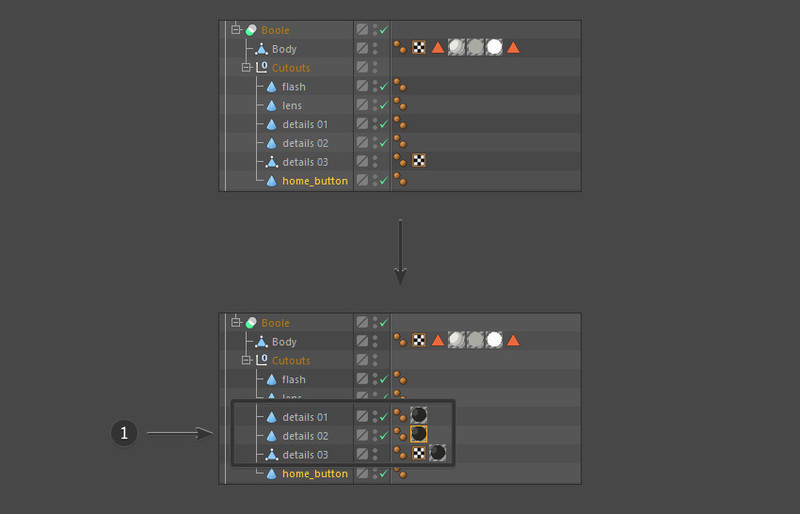 For example, if we wanted to fill out the entire texture with a color, we could use a method like this. 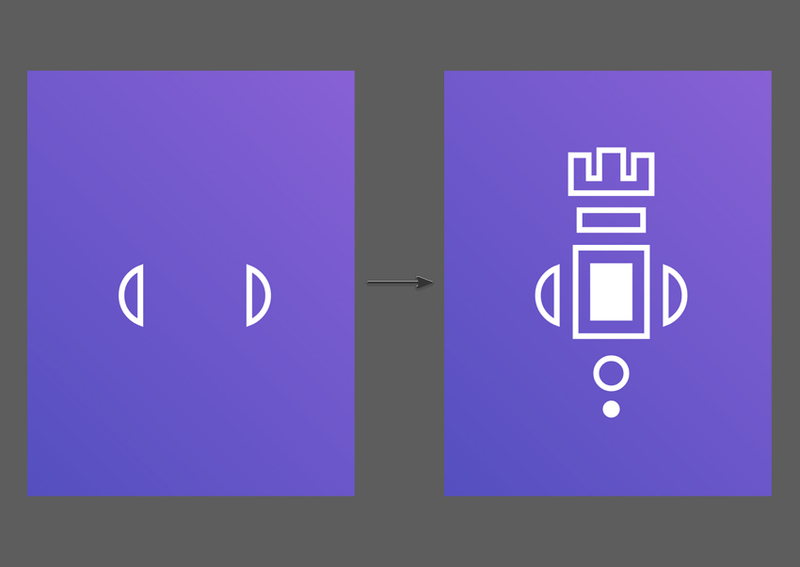 Once we have a Texture2D created, we can use it to create a Sprite to be displayed on screen. 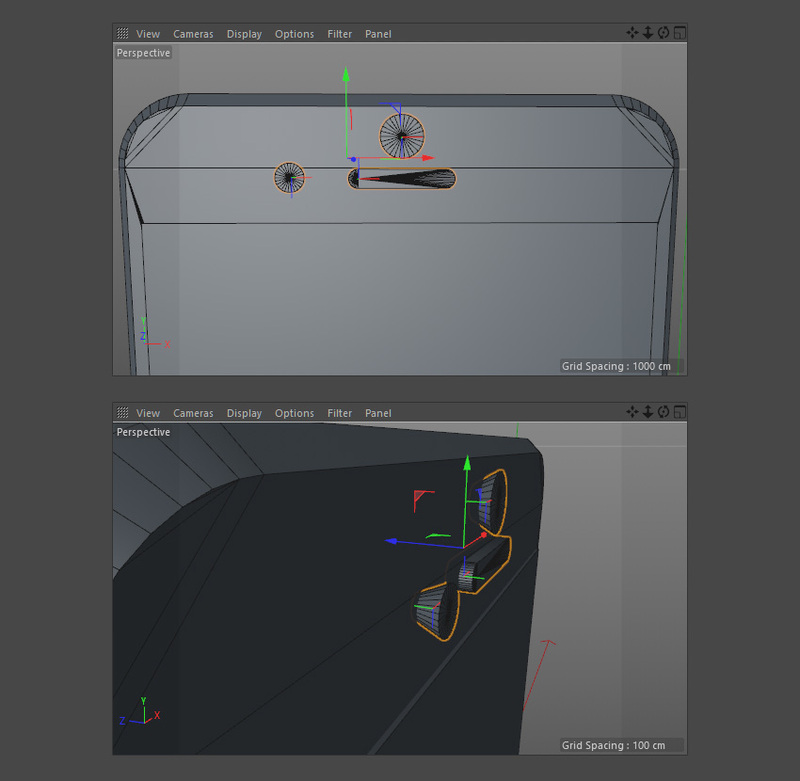 The complicated part in all this is the creation of the necessary designs on the texture. 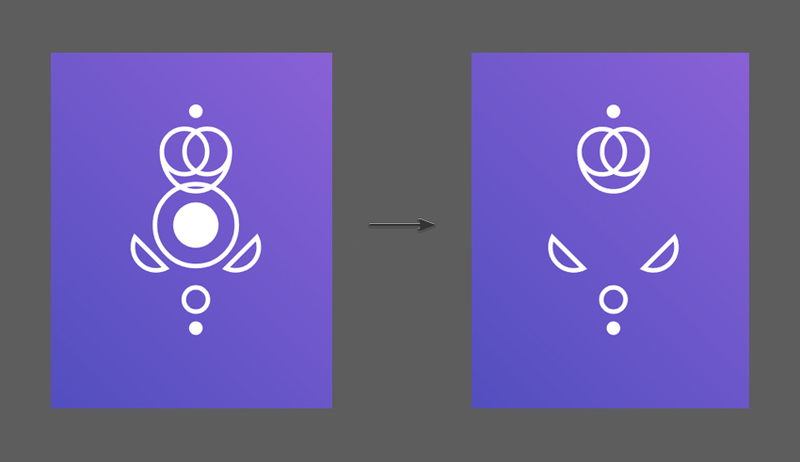 When it comes to the creation of the heart shape, there are many different approaches which we could use, among which are some complicated equations as well as simple mixing of shapes. 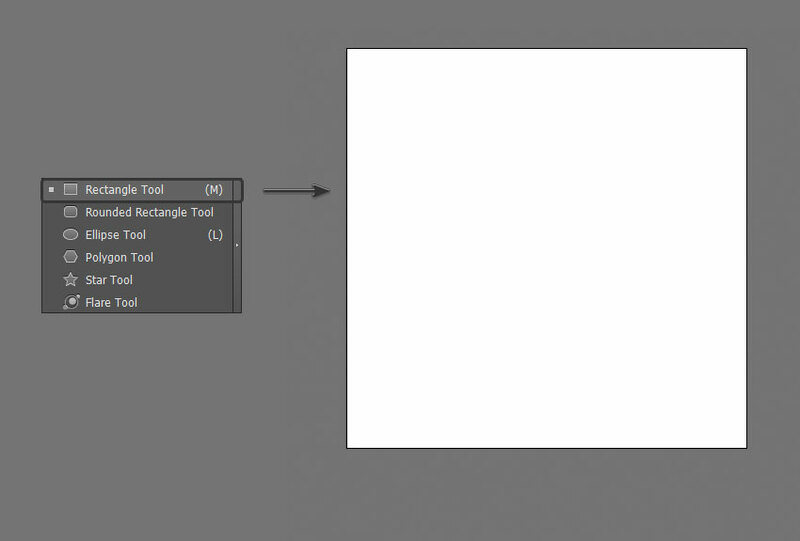 We will use the mixing of shapes method as shown below, specifically the one with the triangle. 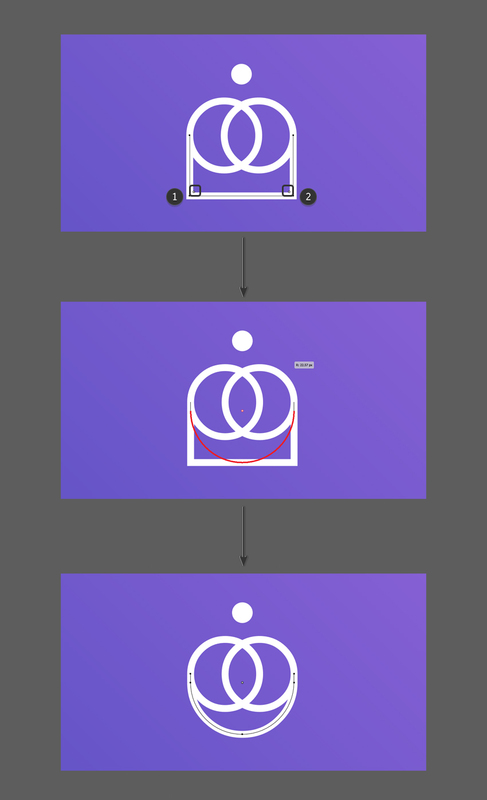 As you have observed, we can use two circles and a square or a triangle to create the basic heart shape. This means it would miss those extra beautiful curves but would fit our purpose perfectly. Let’s brush up on some equations to paint a circle. For a circle with centre at origin and radius r, the equation for the point (x,y) on the circle is x2 + y2 = r2. Now if the centre of the circle is at (h,k) then the equation becomes (x-h)2 + (y-k)2 = r2. 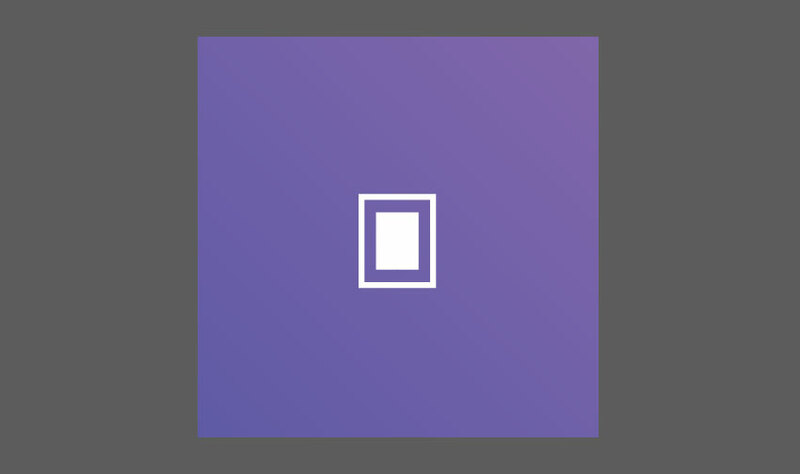 So if we have a square bounding box rectangle then we can loop through all the points within that rectangle and determine which points fall inside the circle and which do not. 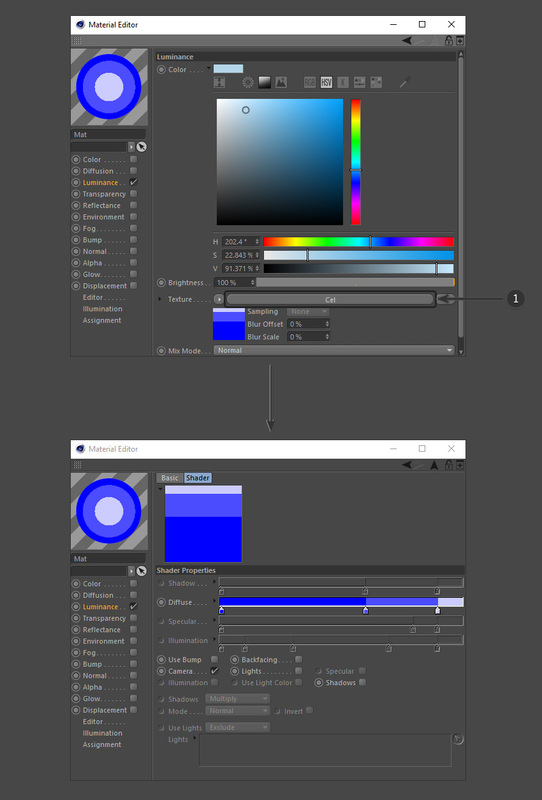 We can easily create our PaintCircle method based on this understanding, as shown below. 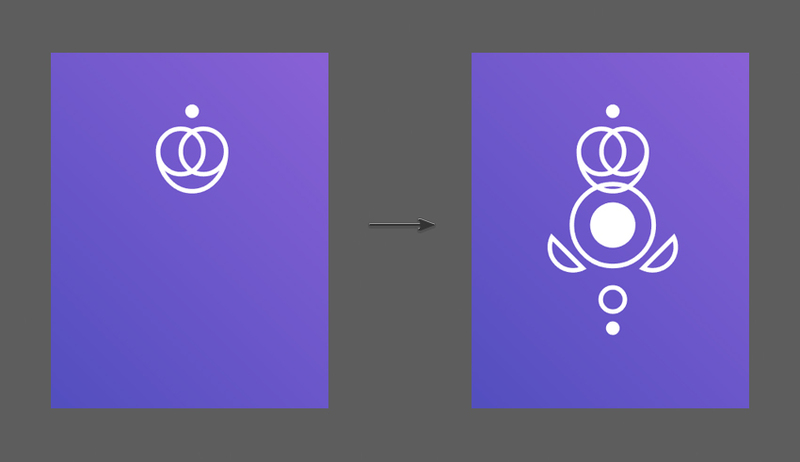 Once we have the PaintCircle method, we can proceed to create our heart shape as shown below. The variable resolution is the width and height of the texture. We will discuss two ways to draw the diamond shape. 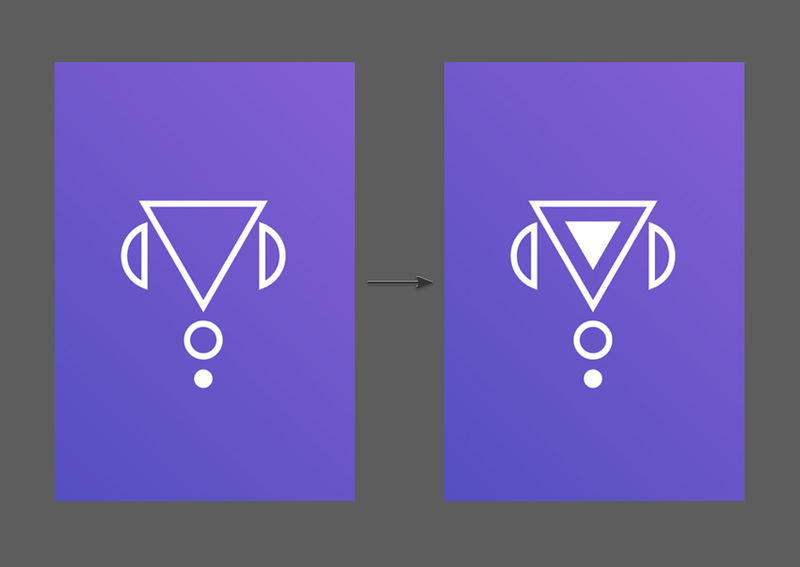 The easiest one is to extend the code used for the triangle and add an inverted triangle on the top to create the necessary shape, as shown below. 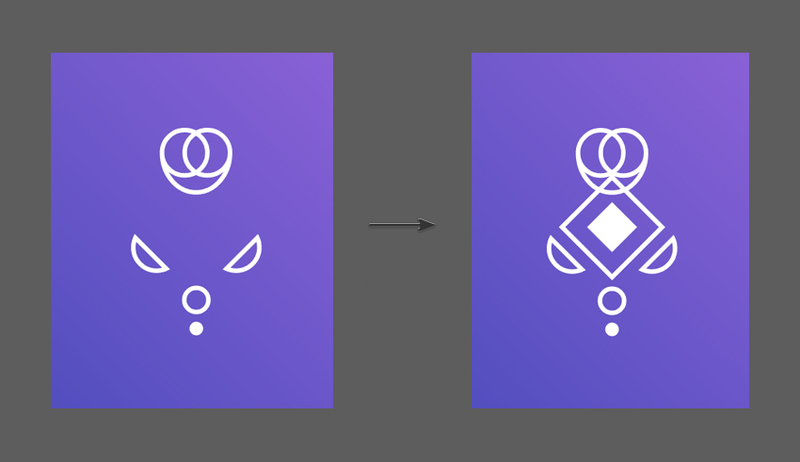 The second one is to use another equation to create a better, curvy version of our diamond shape. 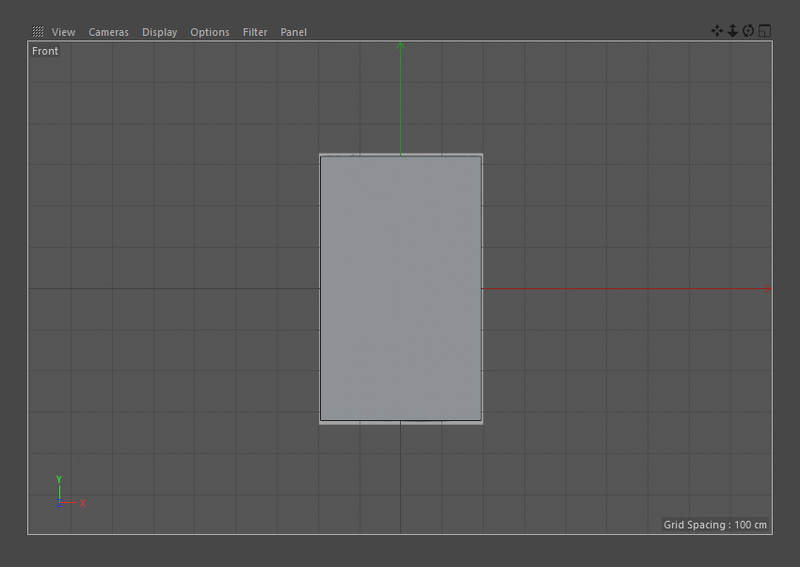 We will be using this one to create the tiling design for the back side of our card. The equation for a circle derives from the original equation of an ellipse, which is (x/a)2 + (y/b)2 = r2. This equation is the same as that of the circle when the variables a and b are both 1. The ellipse equation can then be extended into a superellipse equation for similar shapes just by changing the power, (x/a)n + (y/b)n = rn. So when n is 2 we have the ellipse, and for other values of n we will have different shapes, one of which is our diamond. We can use the approach used to arrive at the PaintCircle method to arrive at our new PaintDiamond method. 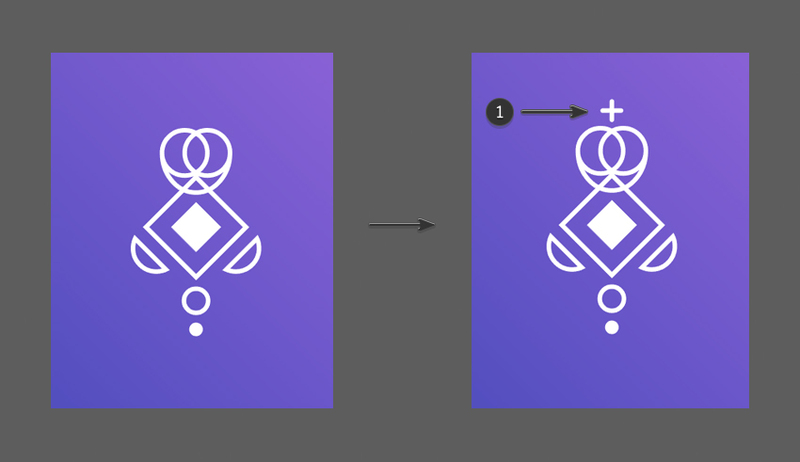 The same equation can be used to create our rounded rectangle card base shape by varying the value of n.
Using this PaintDiamond method, we can draw five diamonds to create the tiling texture for the design on the back of our card. 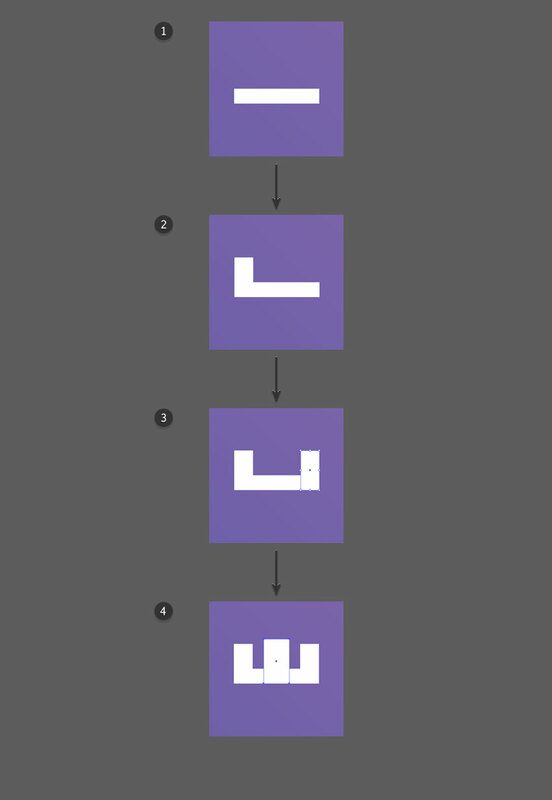 The code for drawing the tiling design is as below. The spades shape is just the vertical flip of our heart shape along with a base shape. 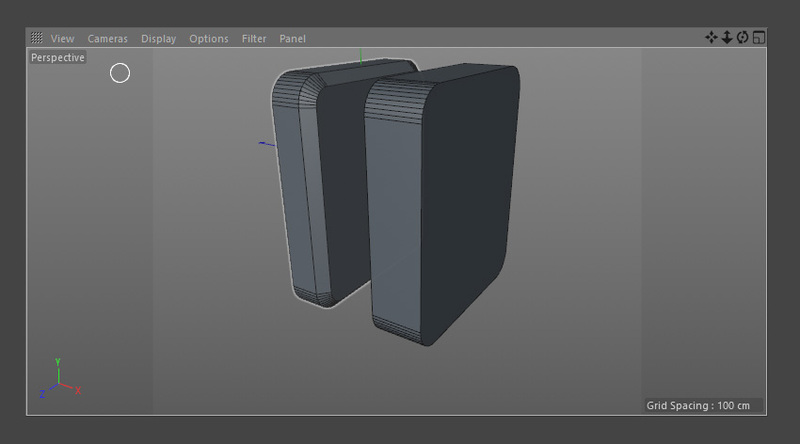 This base shape will be the same for the clubs shape as well. 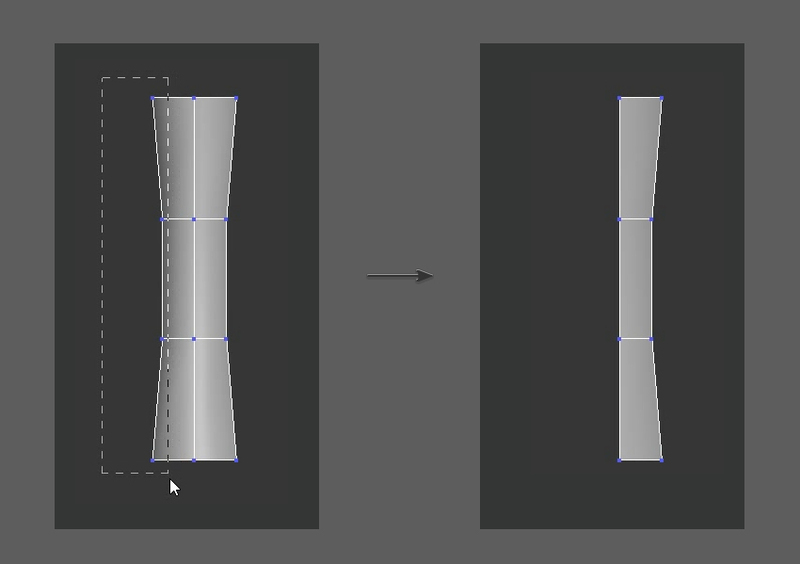 The below figure illustrates how we can use two circles to create this base shape. 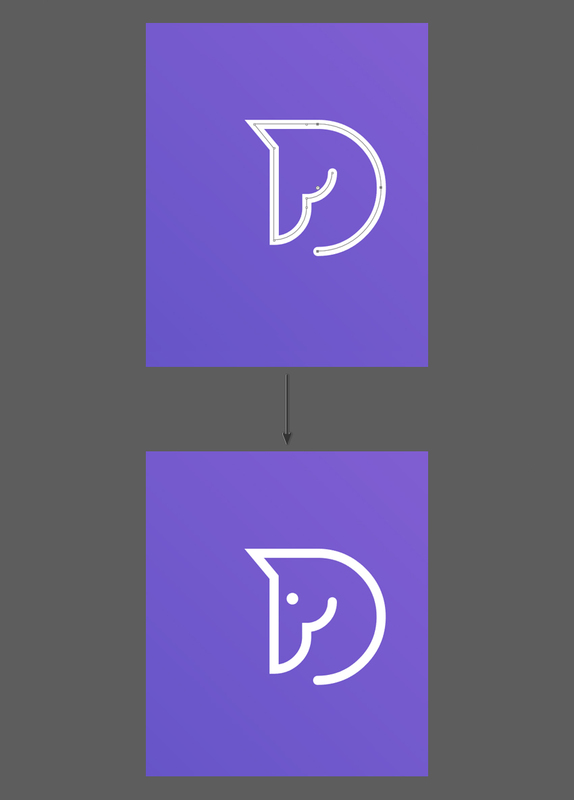 The PaintSpades method will be as shown below. 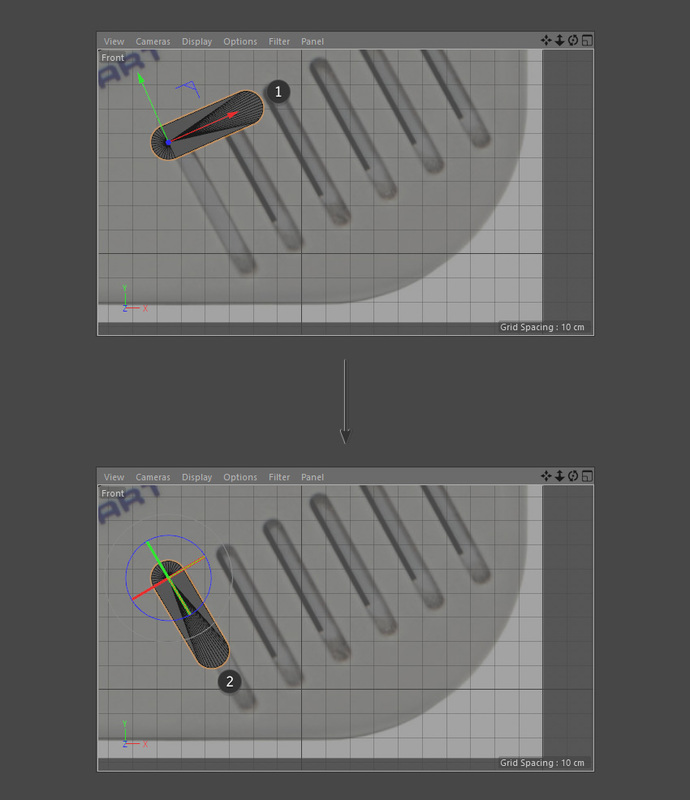 At this point, I am sure that you can figure out how easy it has become to create the clubs shape. 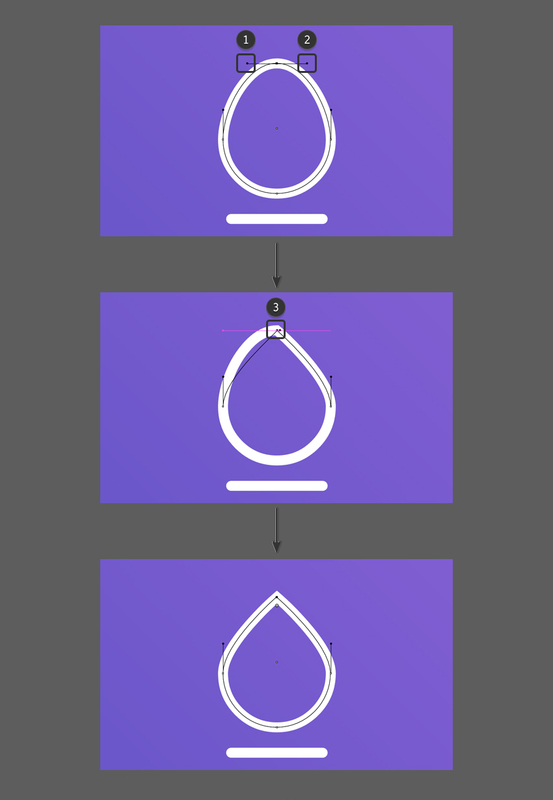 All we need are two circles and the base shape we created for the spades shape. 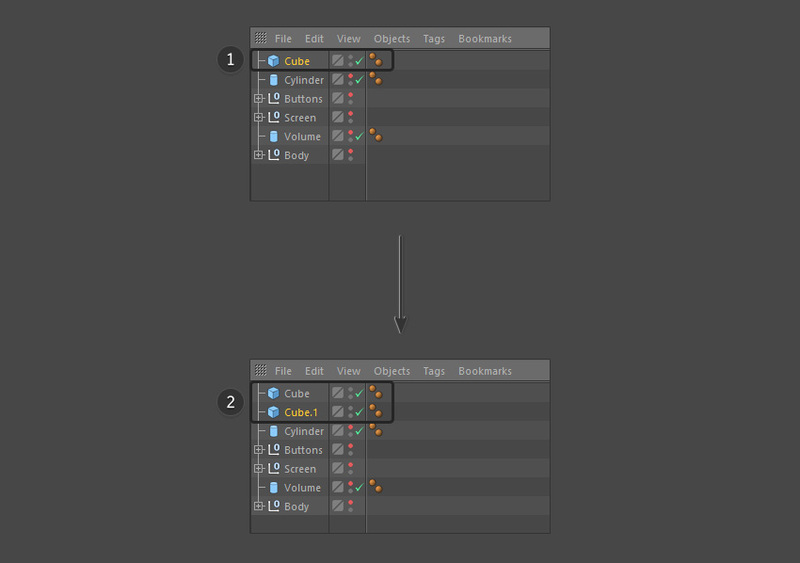 The PaintClubs method will be as shown below. 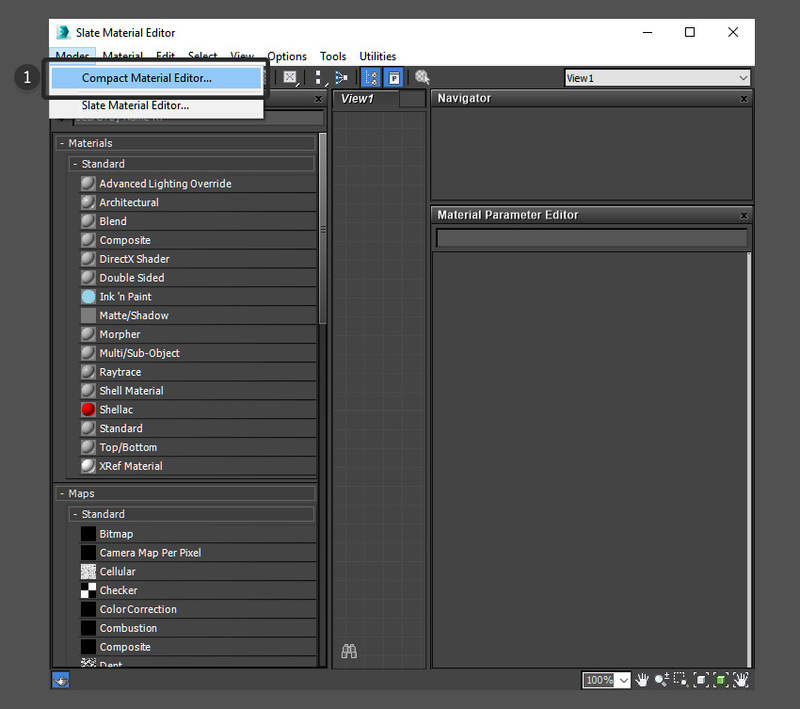 If you explore the Unity source files for this project, you’ll find a TextureManager class which does all the heavy lifting. 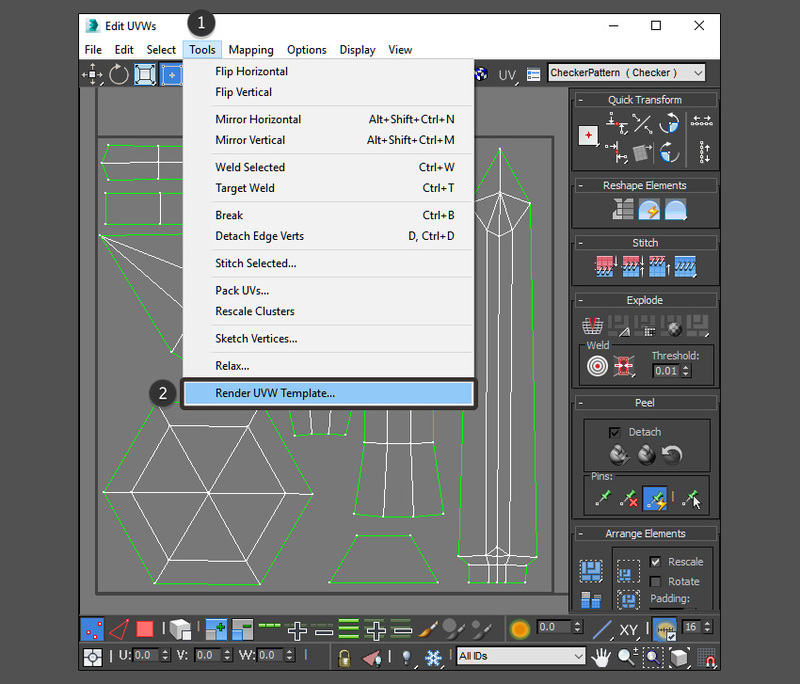 Once we have created all the necessary textures, the TextureManager class uses the PackTextures method to combine them into a single texture, thereby reducing the number of draw calls required when we use these shapes. 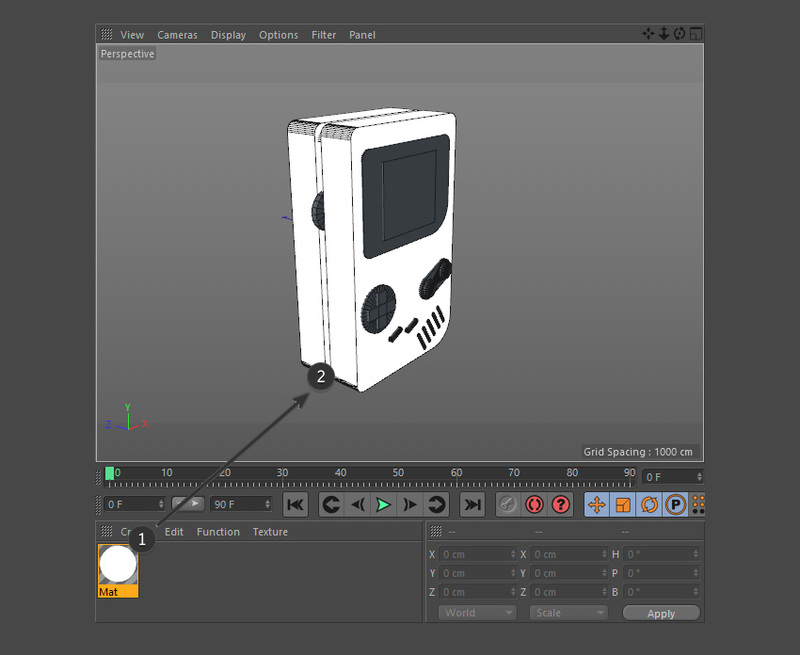 Using the packedAssets array, we can retrieve the bounding boxes of individual textures from the master texture named packedTexture. 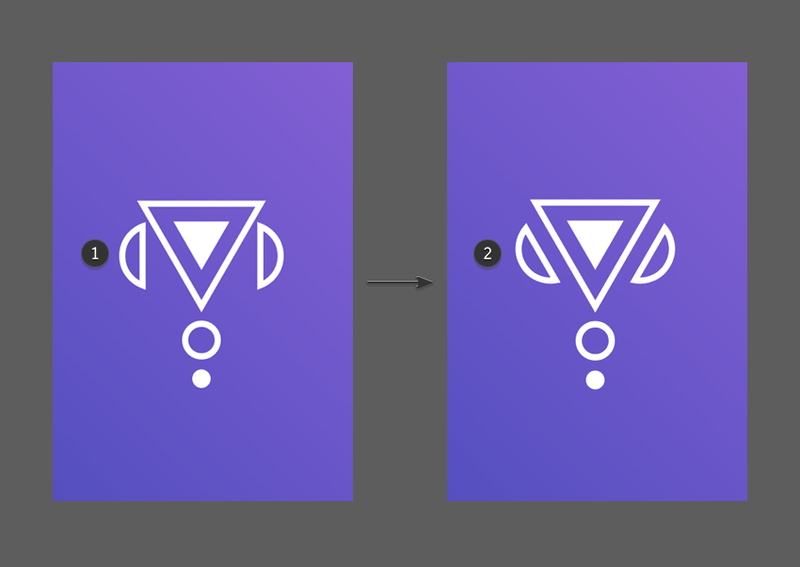 With all the necessary components created, we can proceed to create our deck of cards as it is just a matter of properly laying out the shapes. 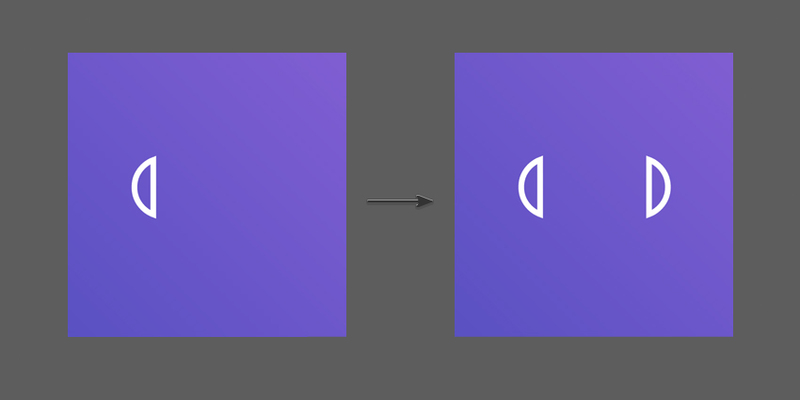 We can either use the Unity UI to composite cards or we can create the cards as individual textures. 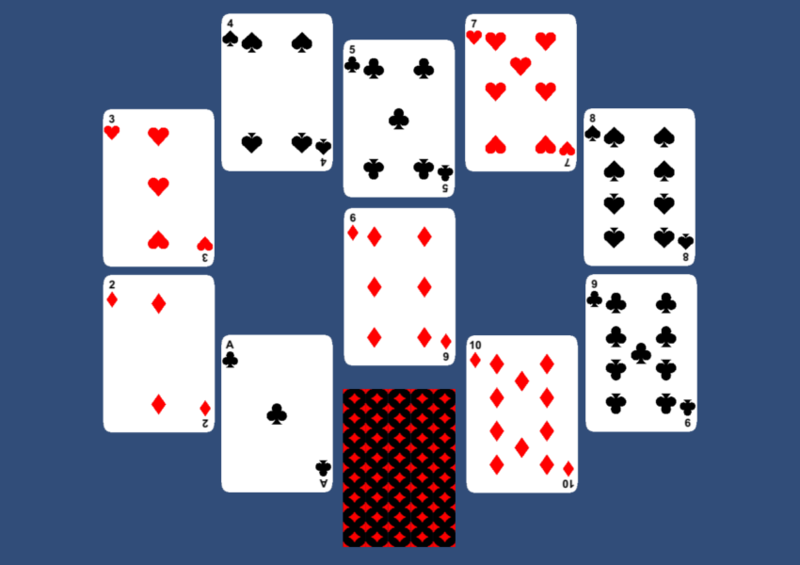 You can explore the sample code to understand how I have used the first method to create card layouts. 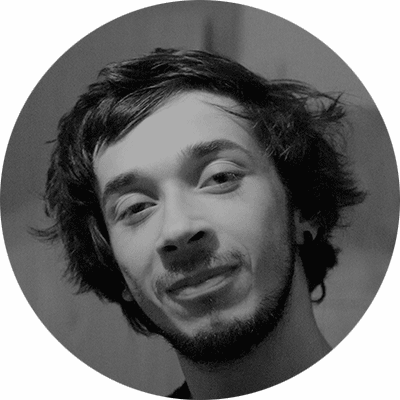 We can follow the same method for creating any kind of dynamic art at runtime in Unity. 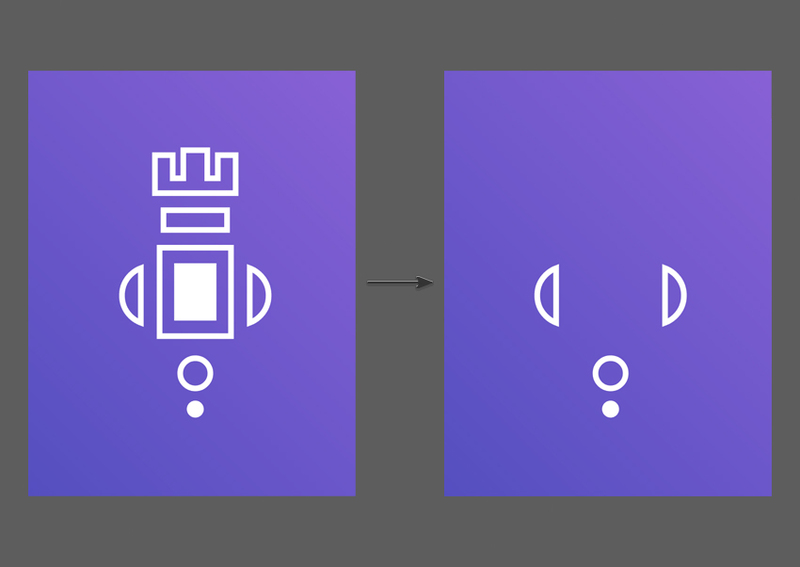 Creating art at runtime is a performance-hungry operation, but it only needs to be done once if we save and reuse those textures efficiently. 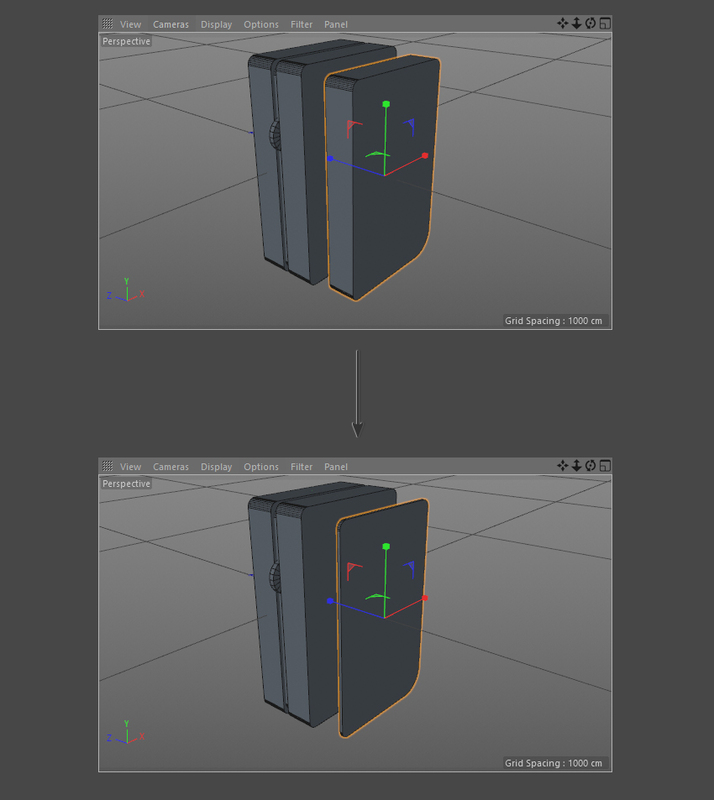 By packing the dynamically created assets into a single texture, we also gain the advantages of using a texture atlas. Now that we have our playing card deck, let me know what games you are planning to create with it.